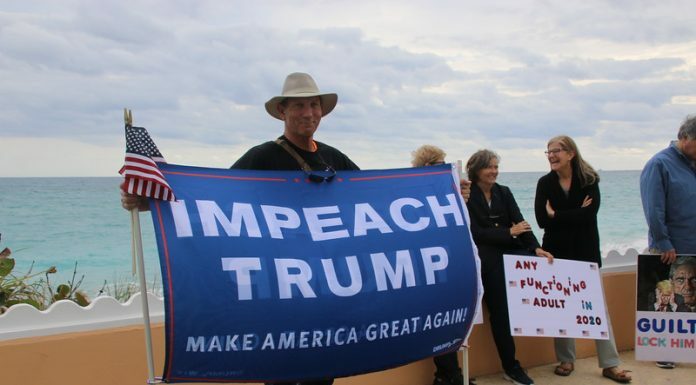 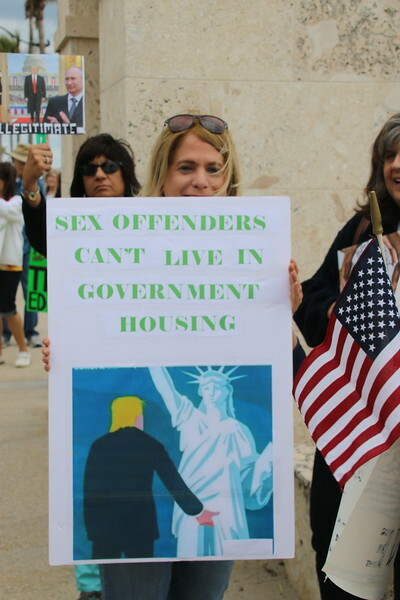 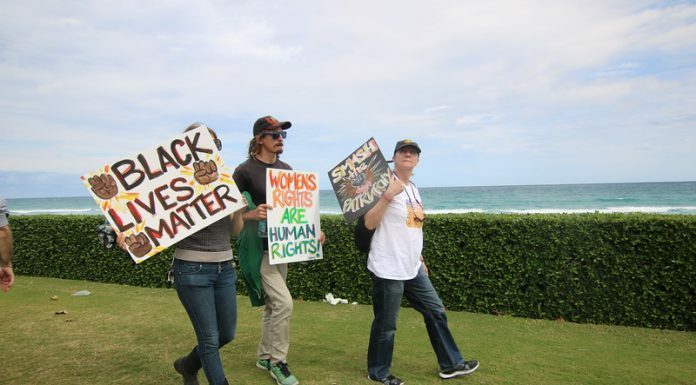 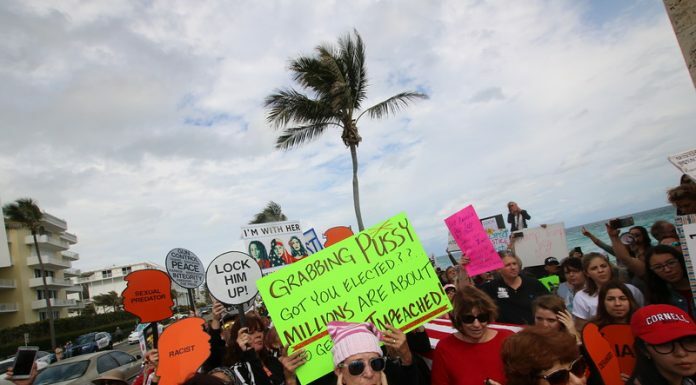 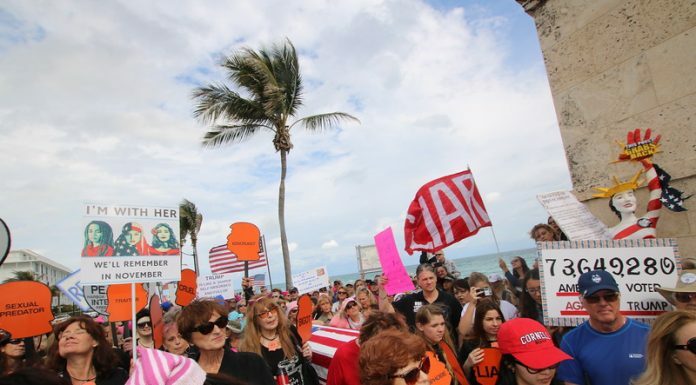 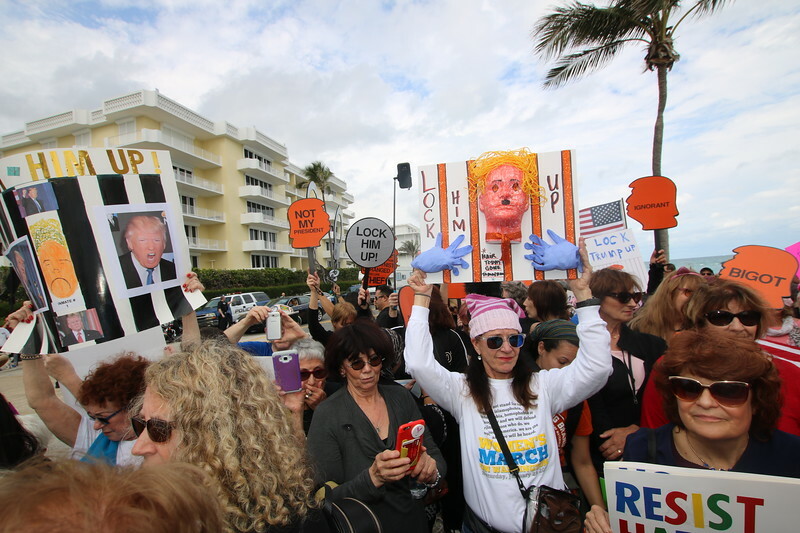 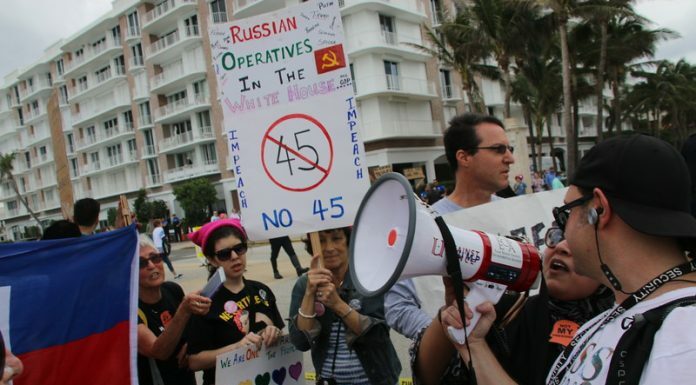 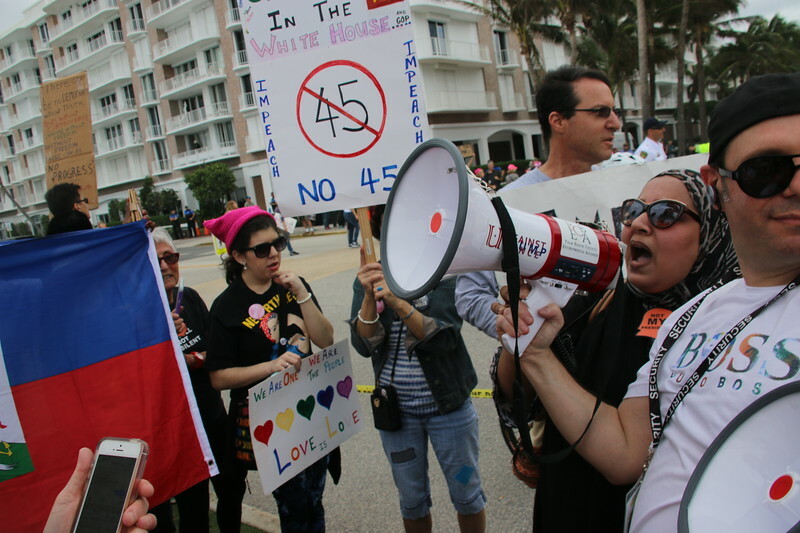 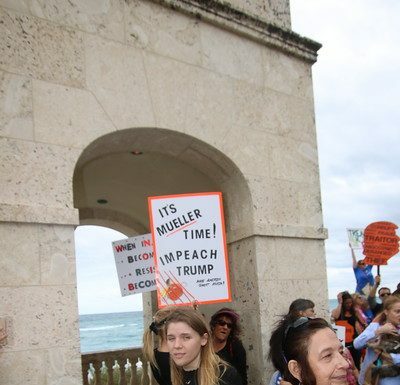 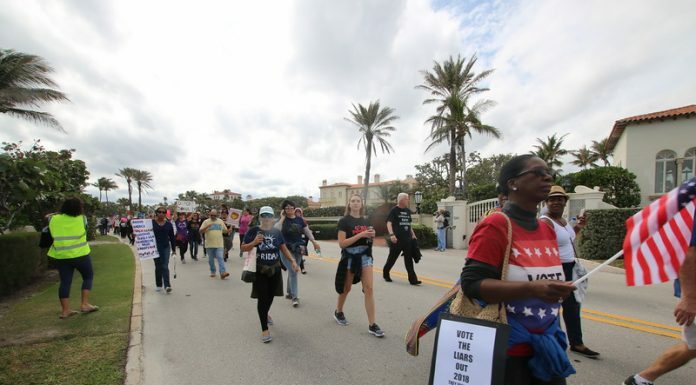 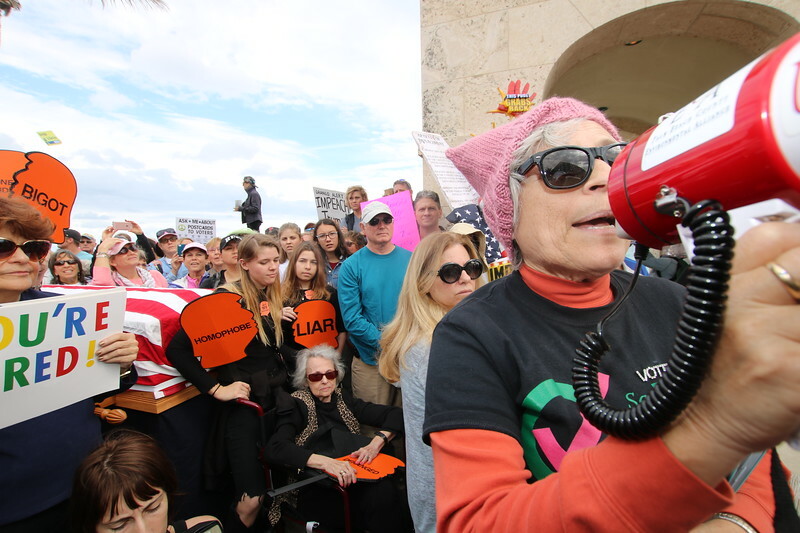 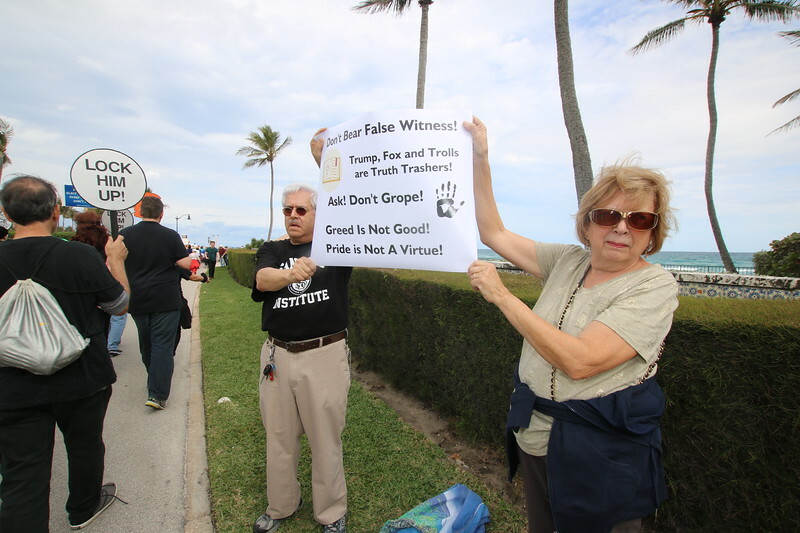 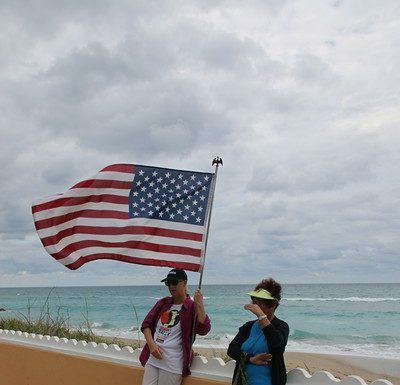 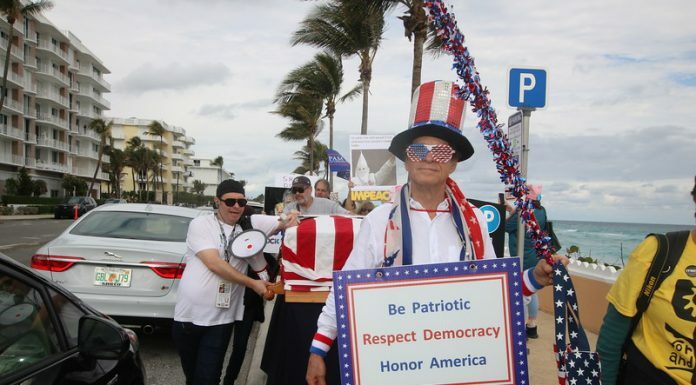 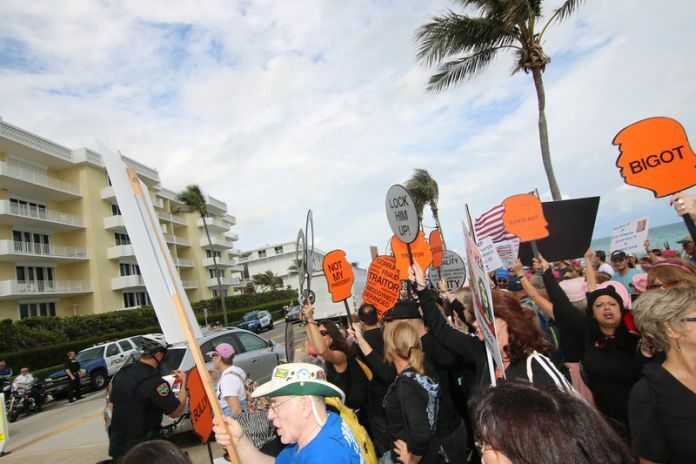 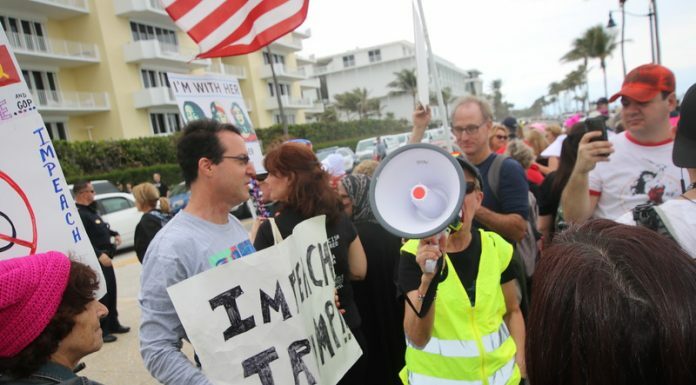 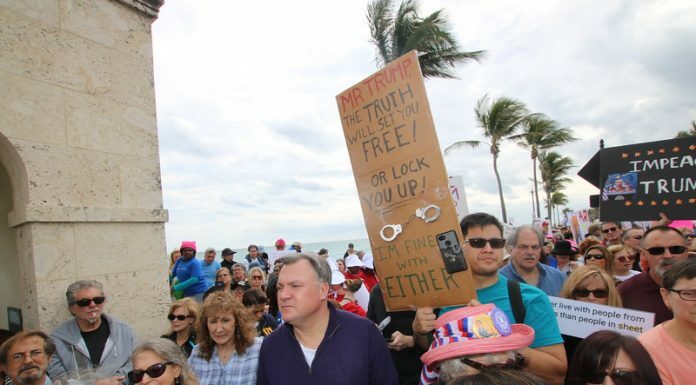 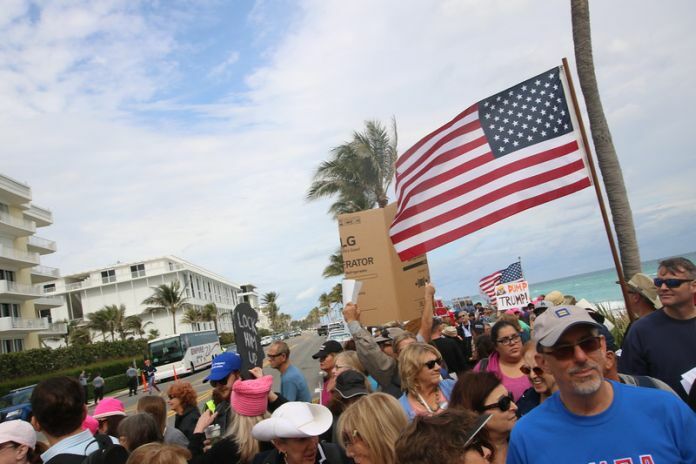 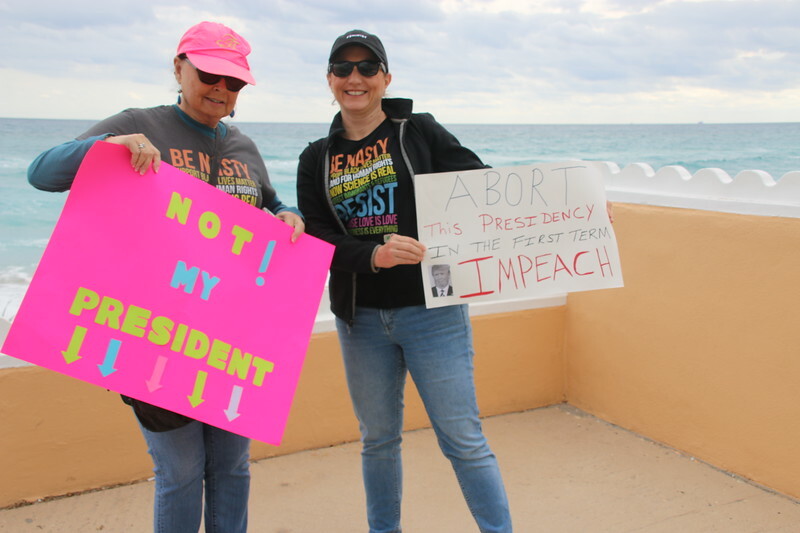 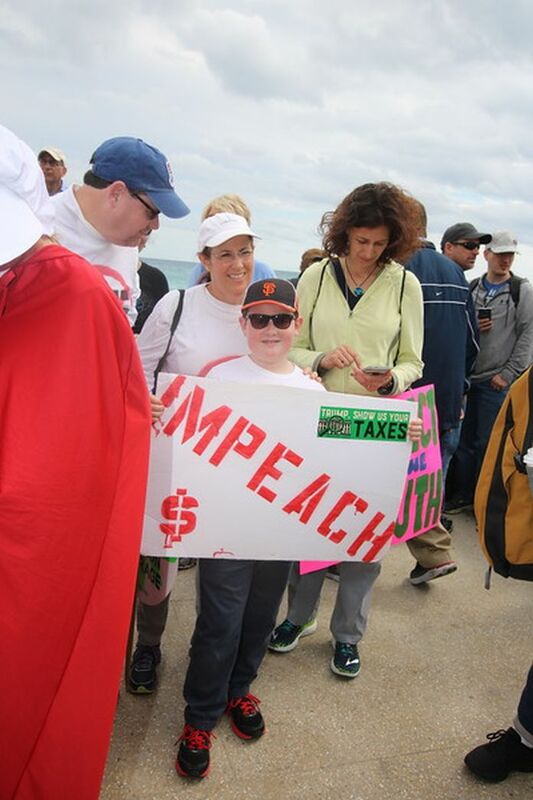 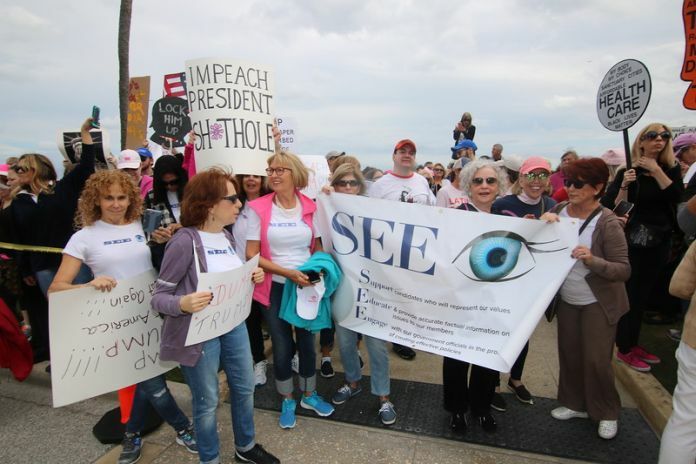 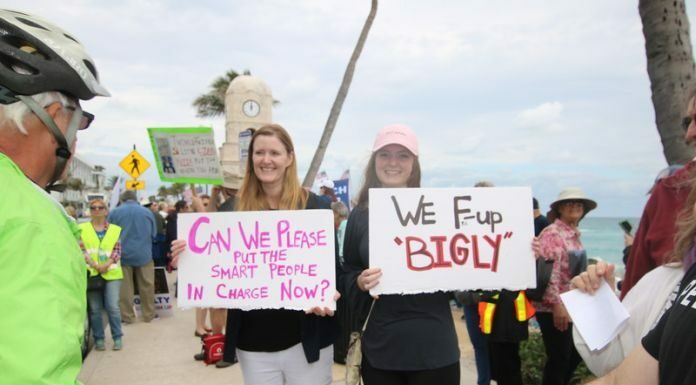 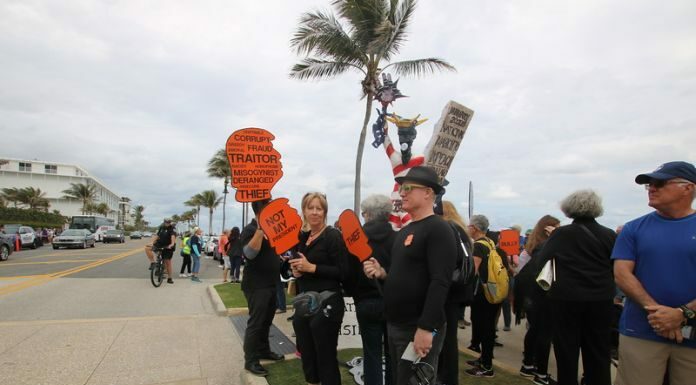 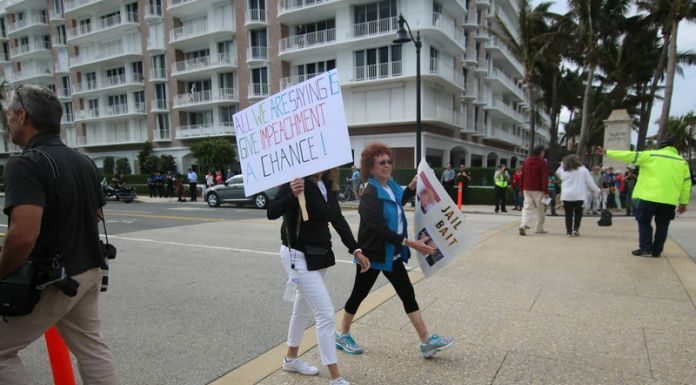 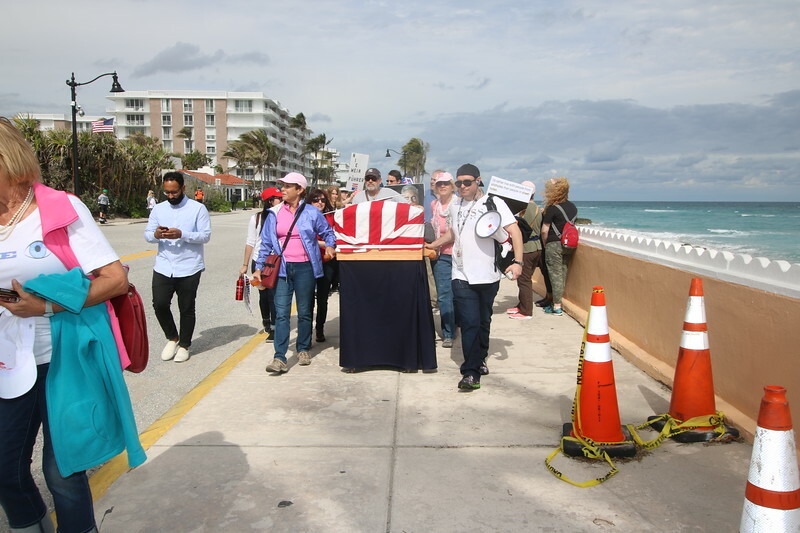 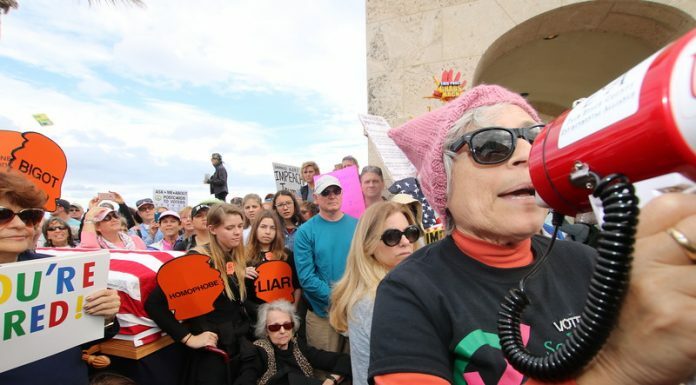 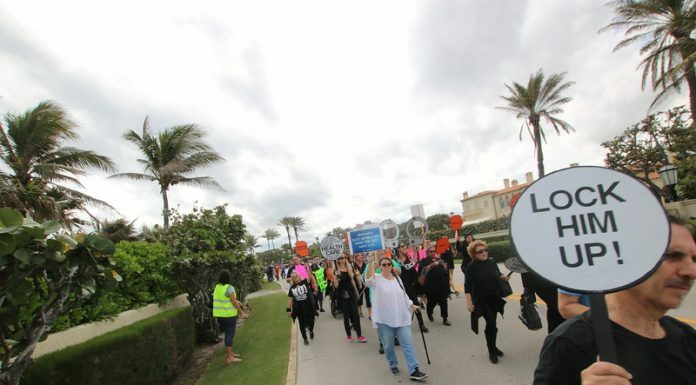 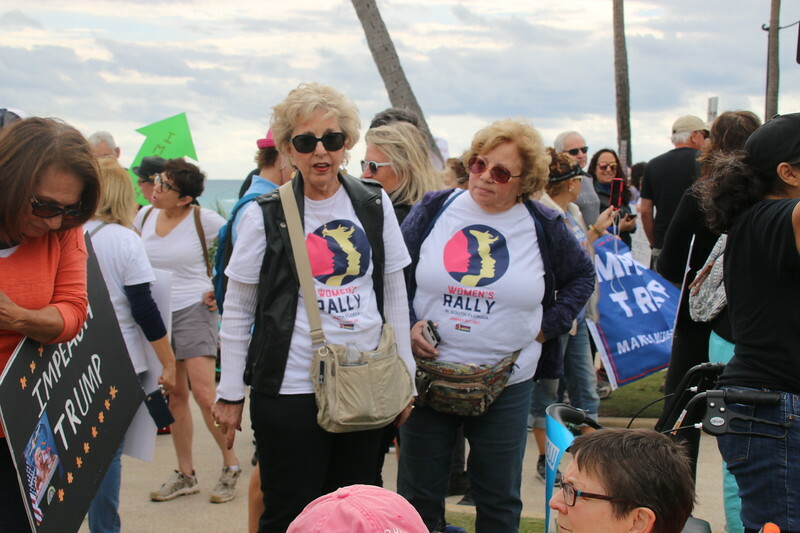 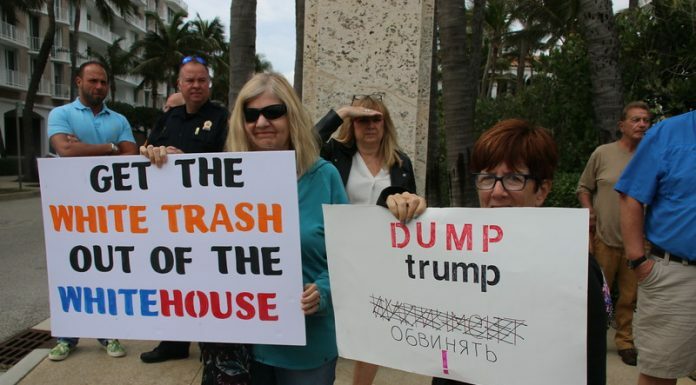 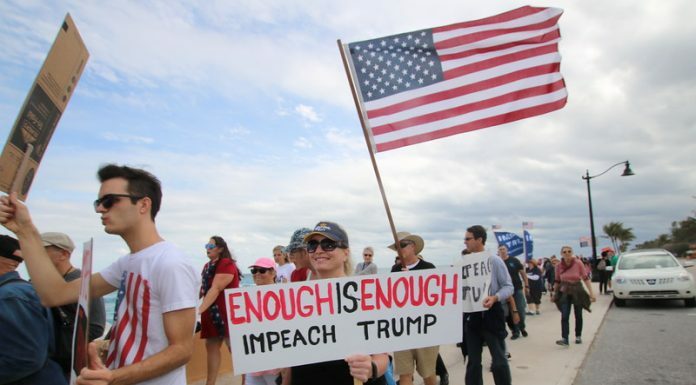 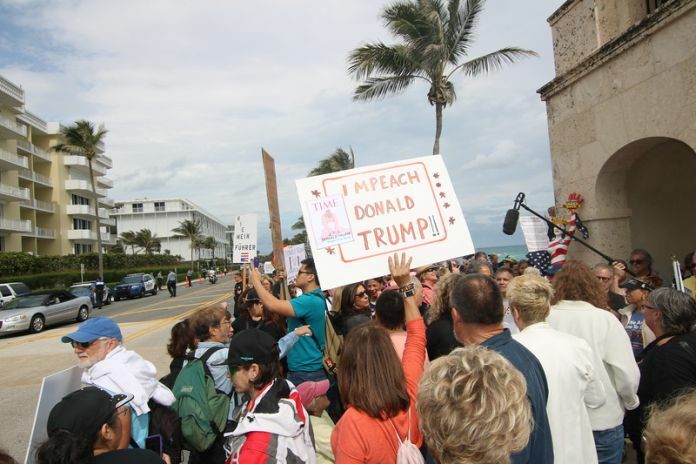 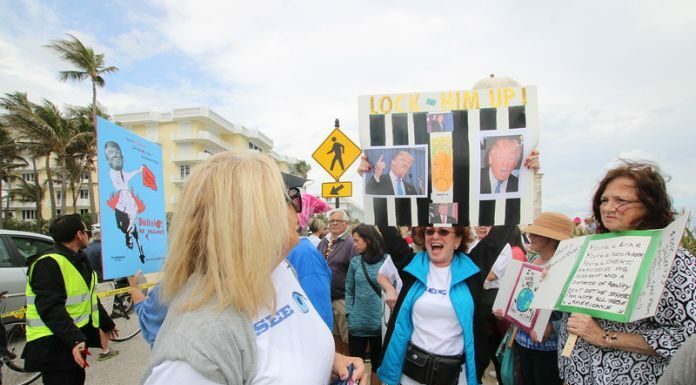 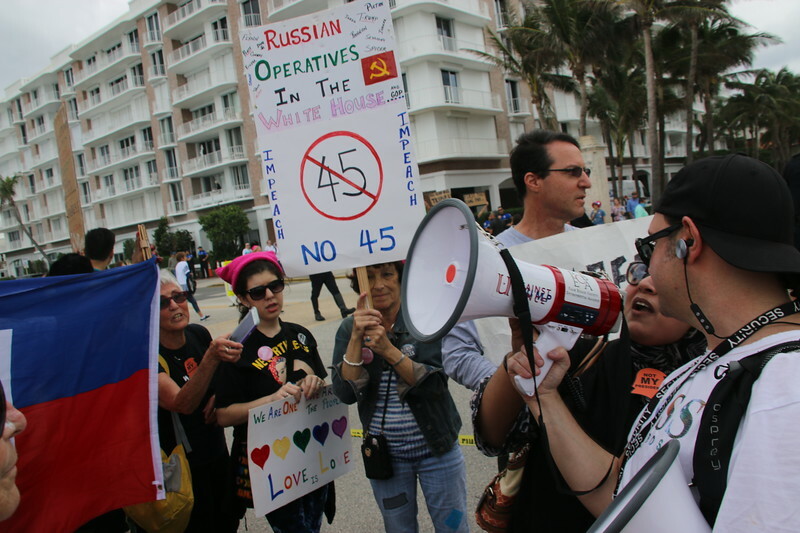 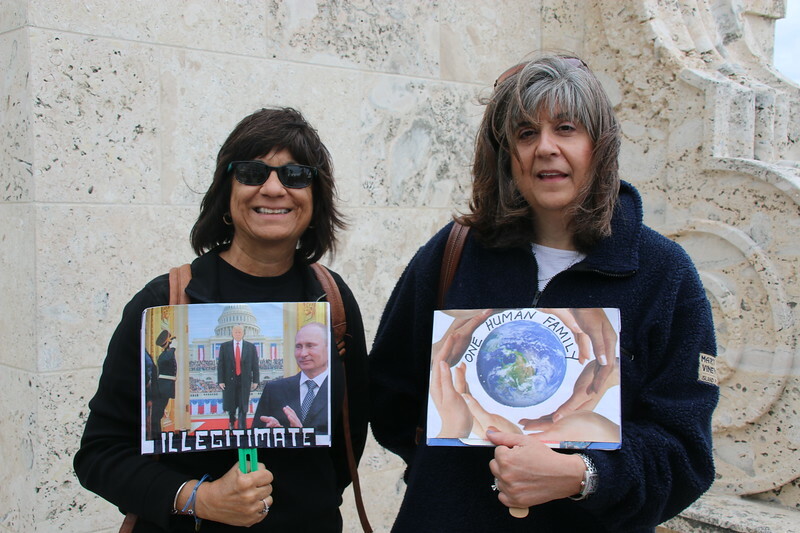 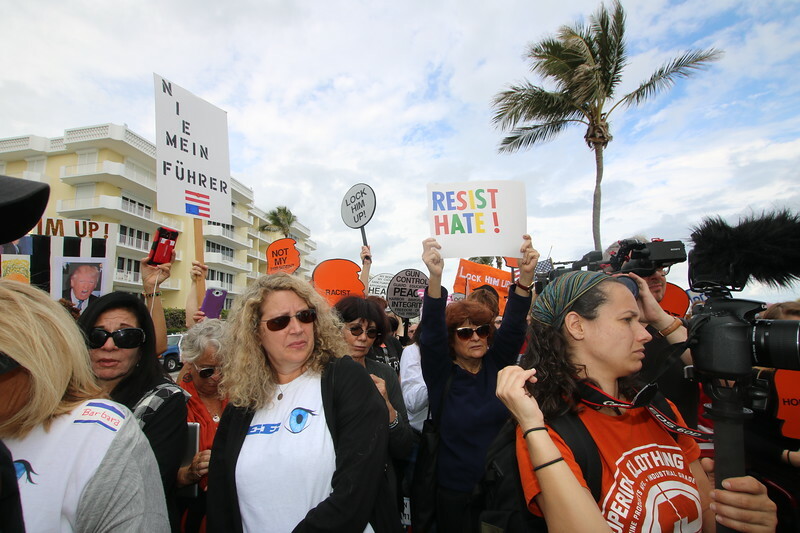 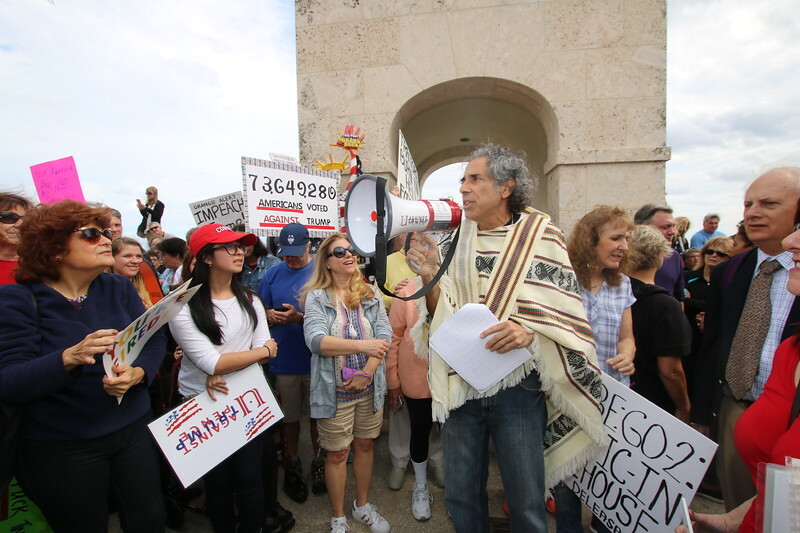 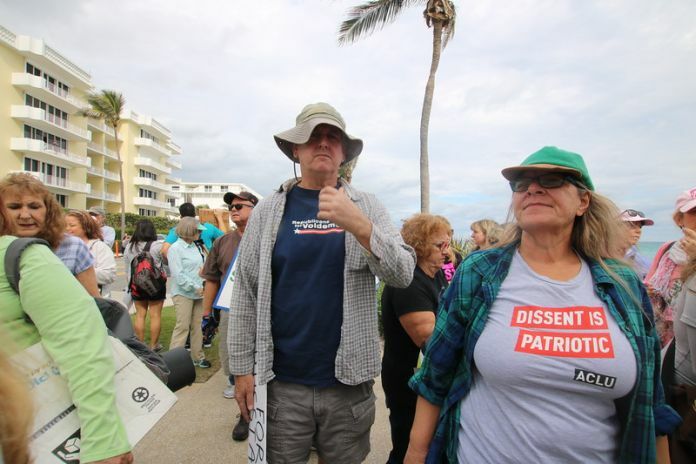 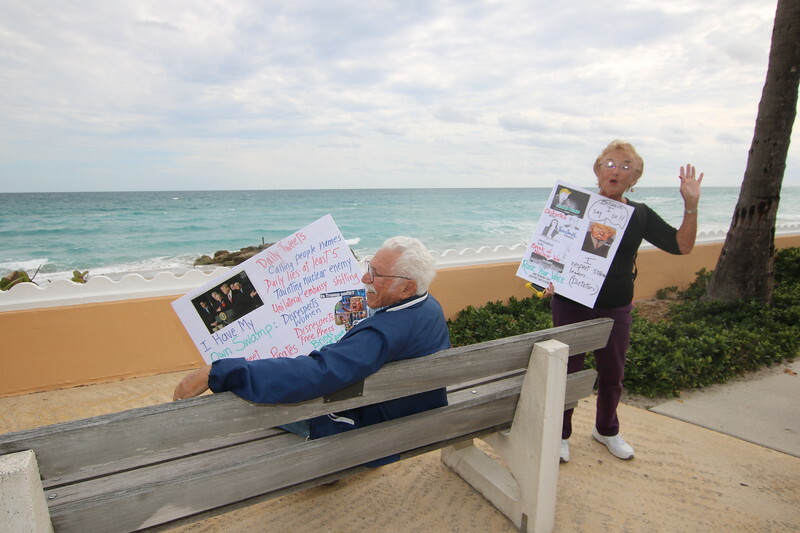 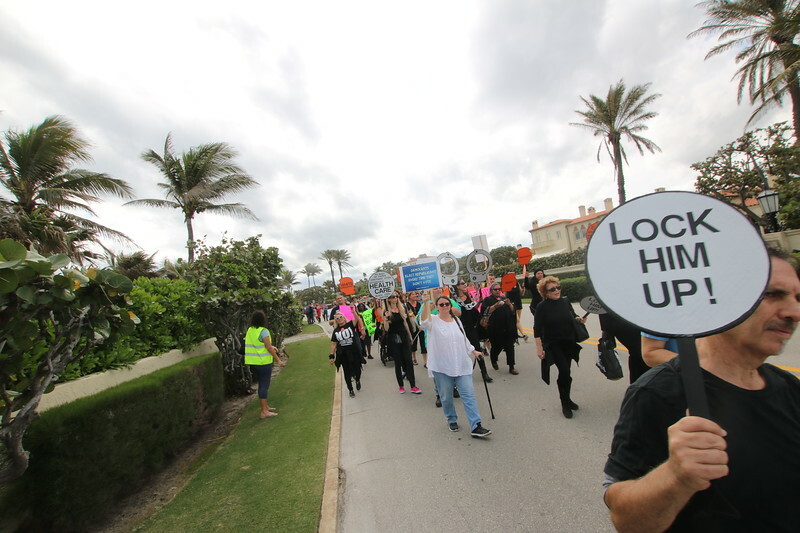 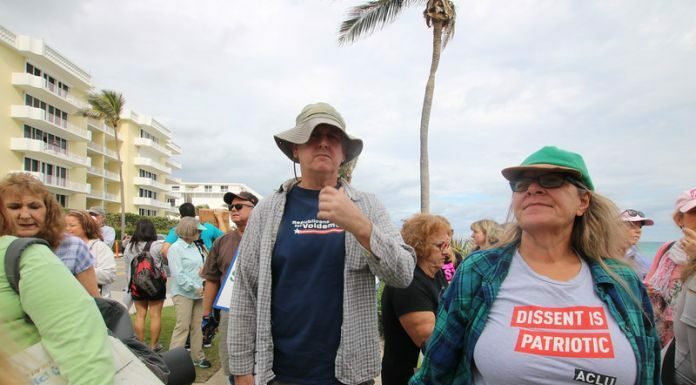 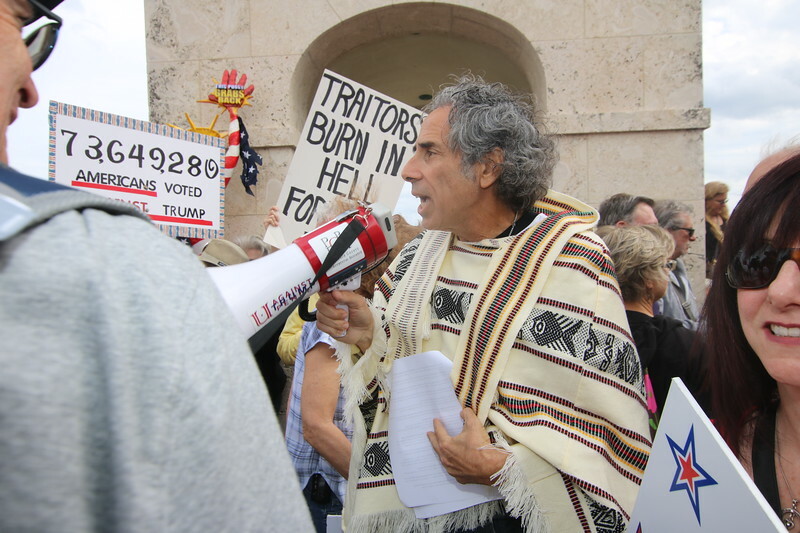 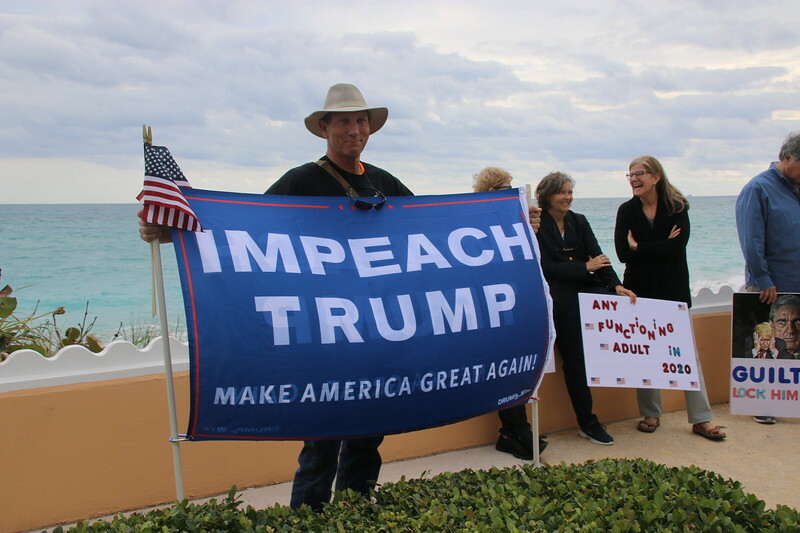 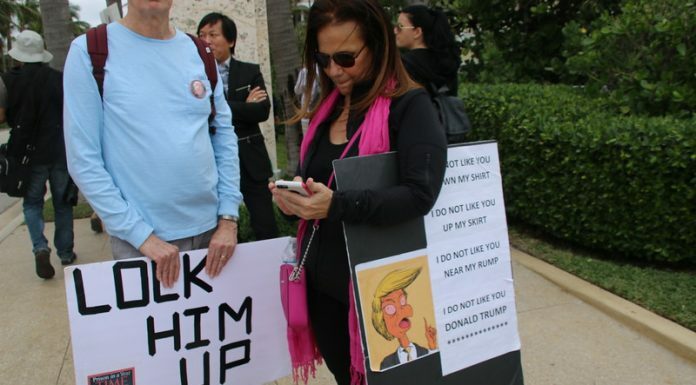 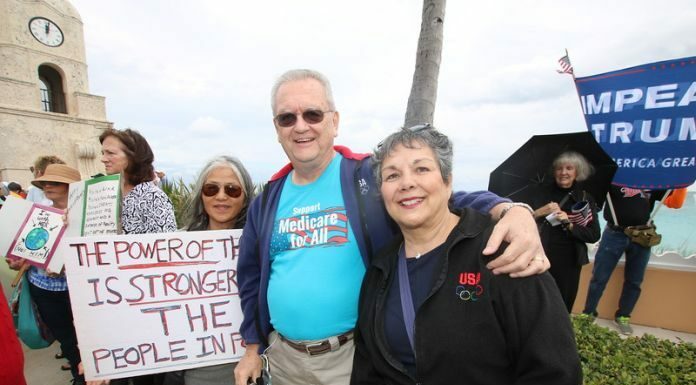 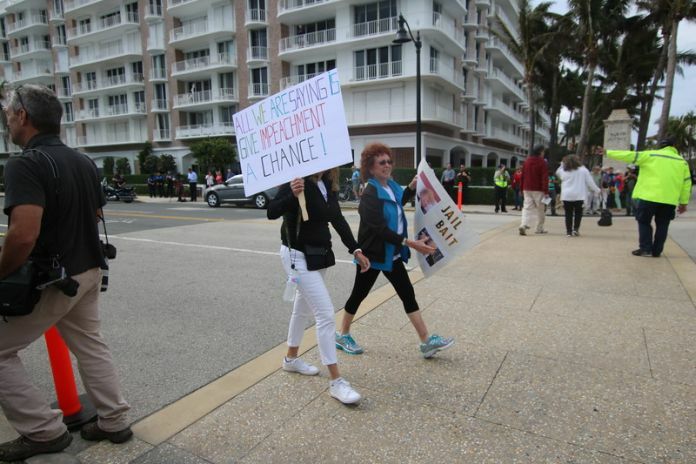 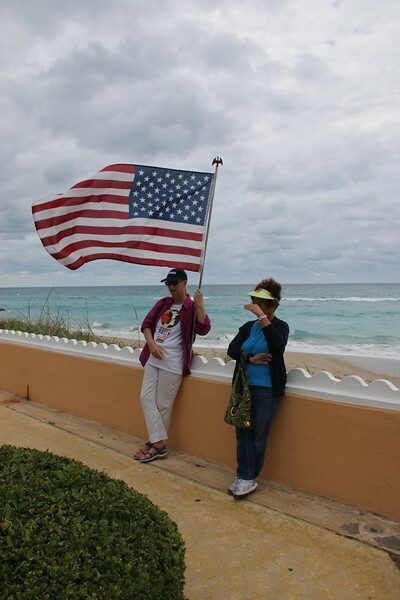 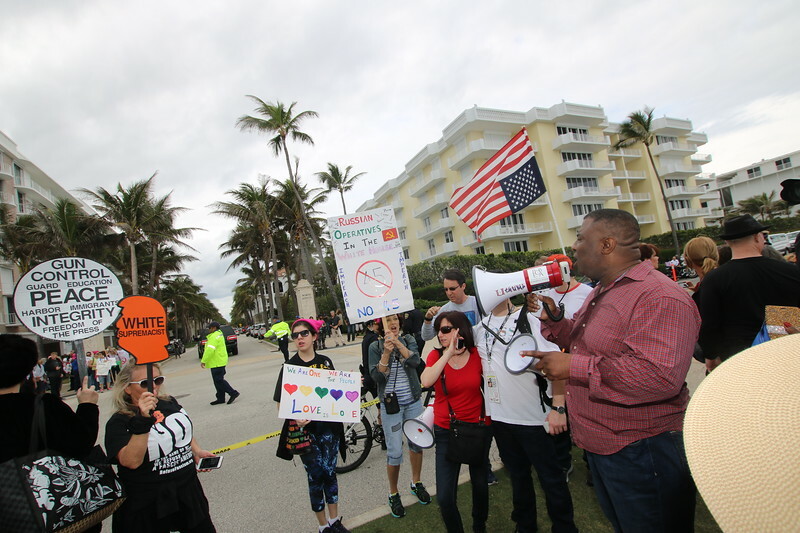 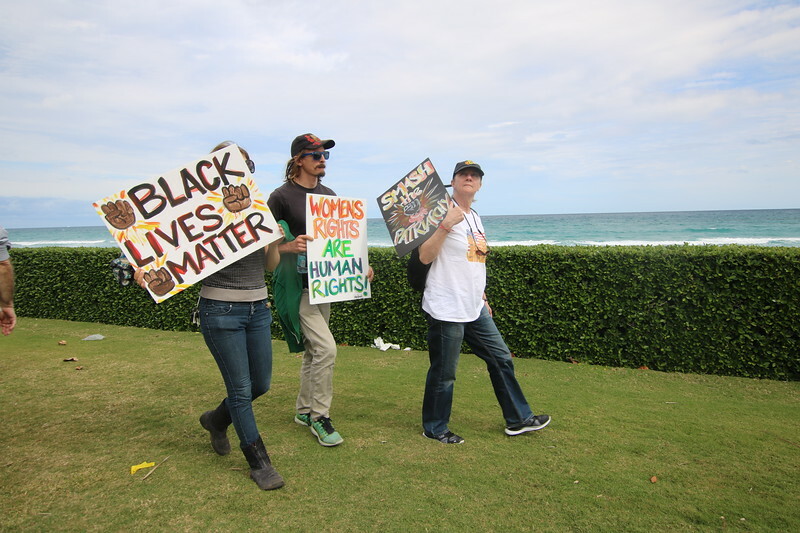 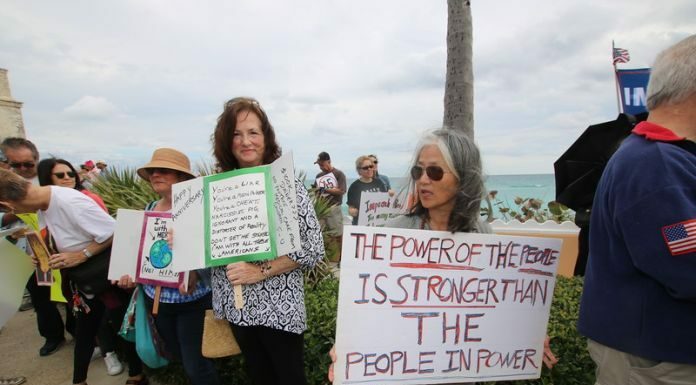 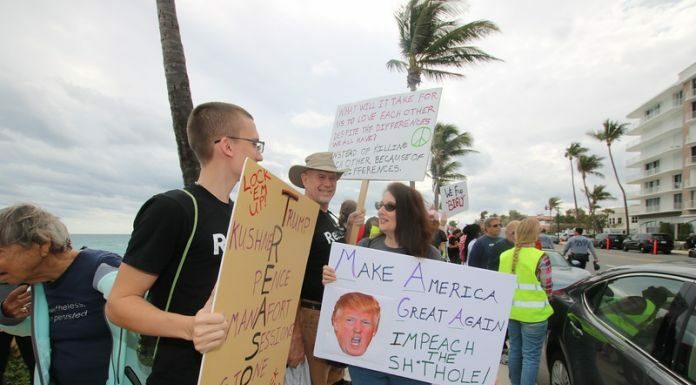 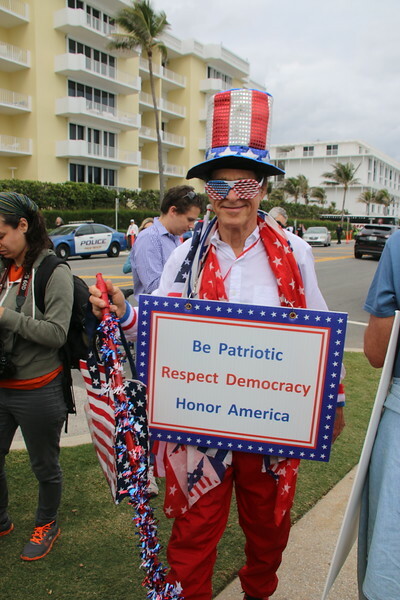 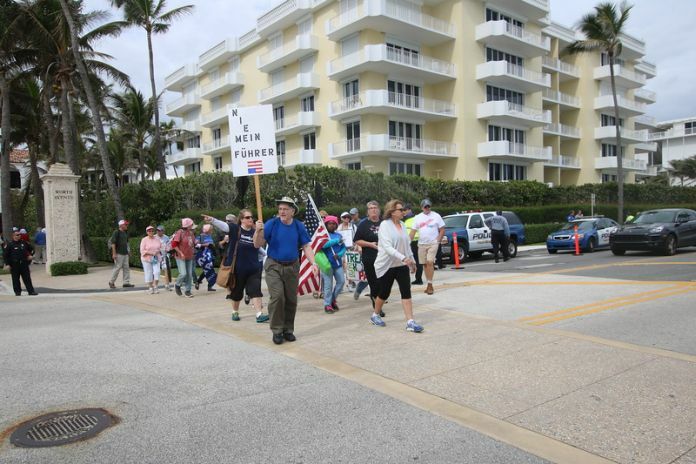 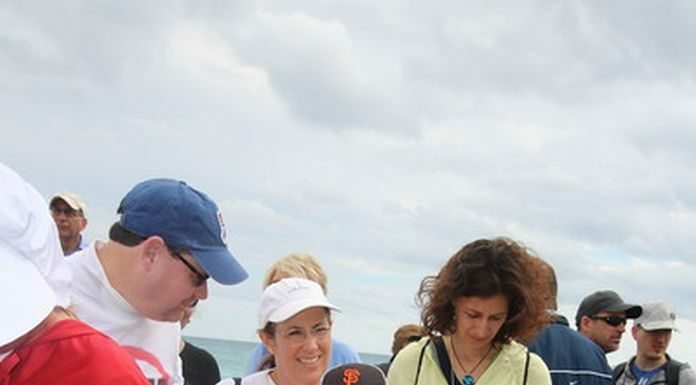 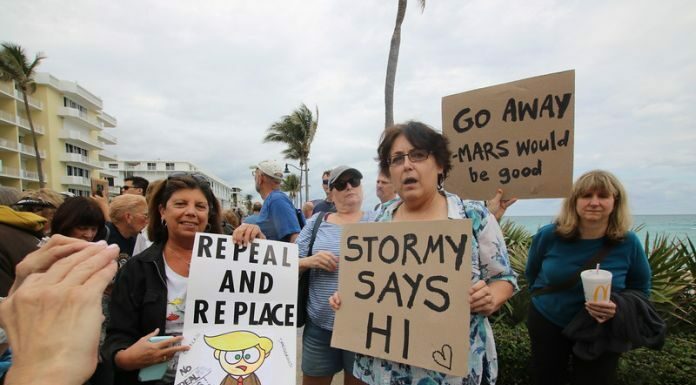 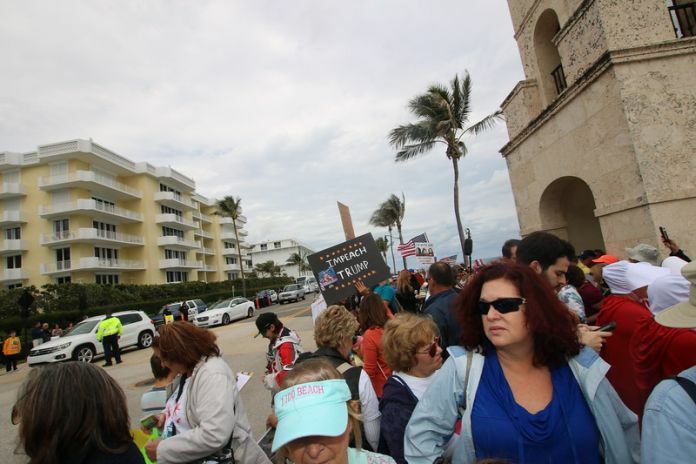 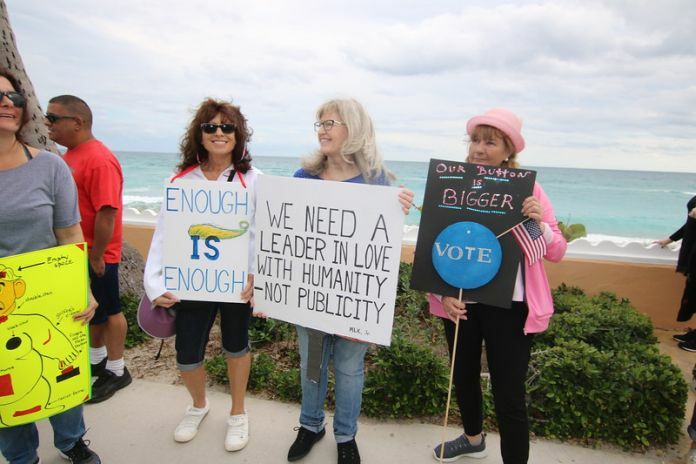 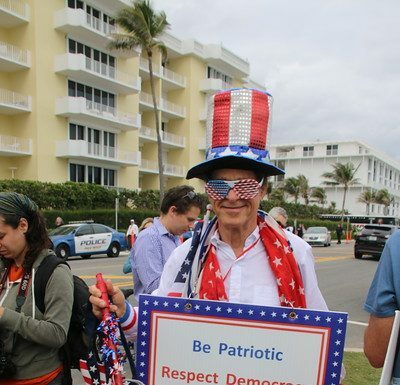 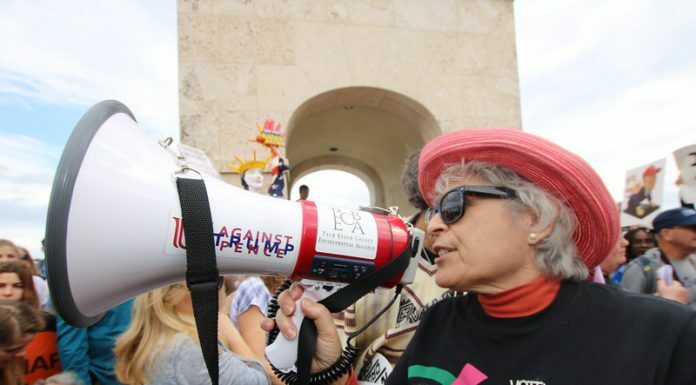 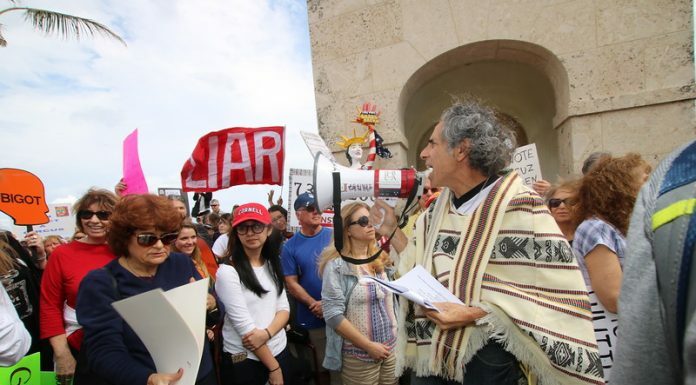 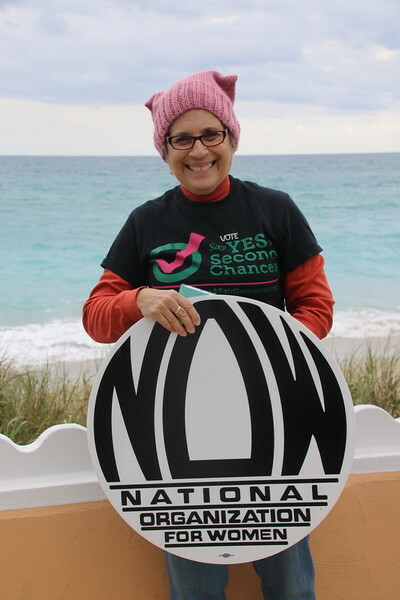 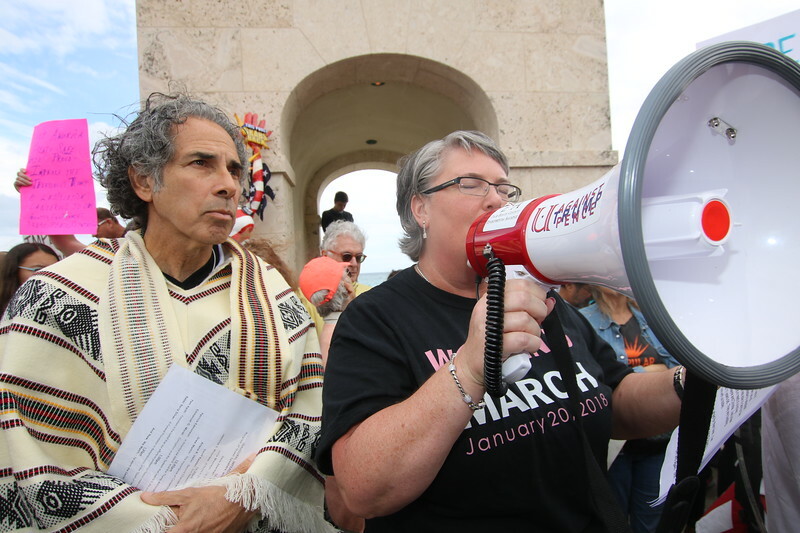 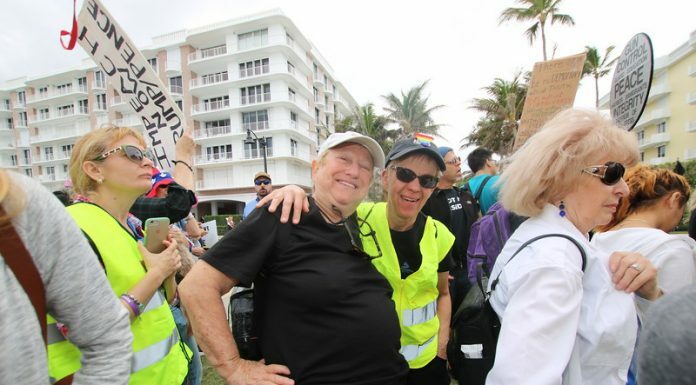 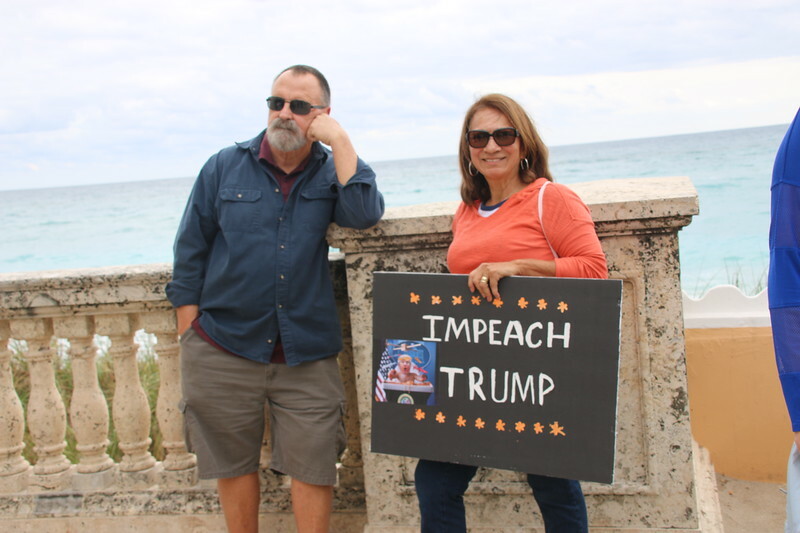 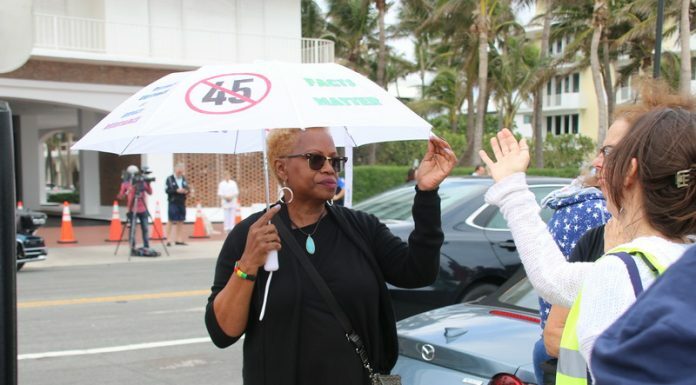 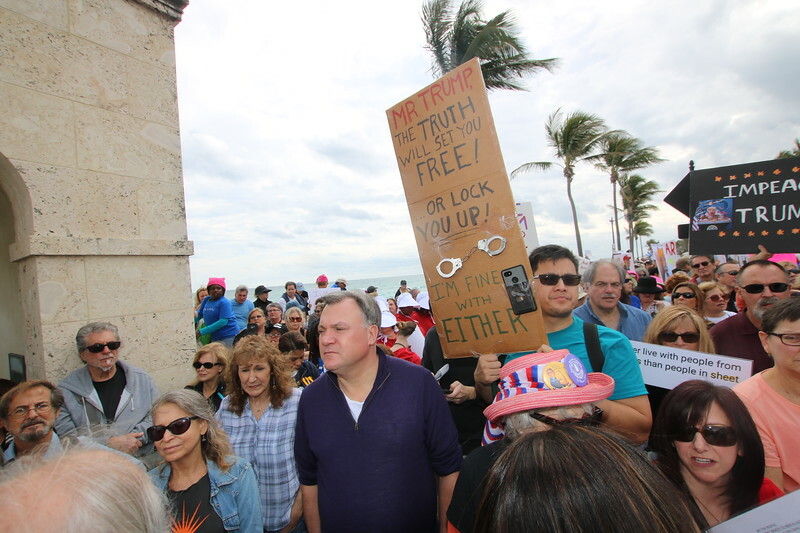 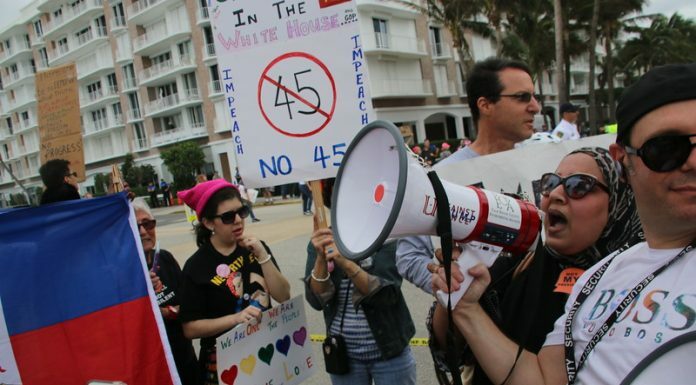 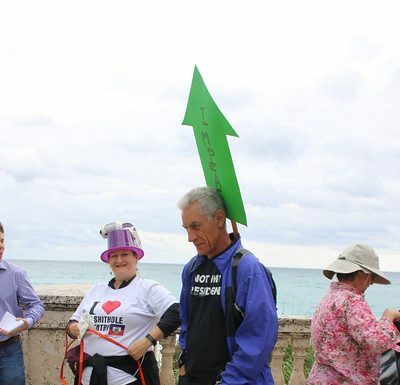 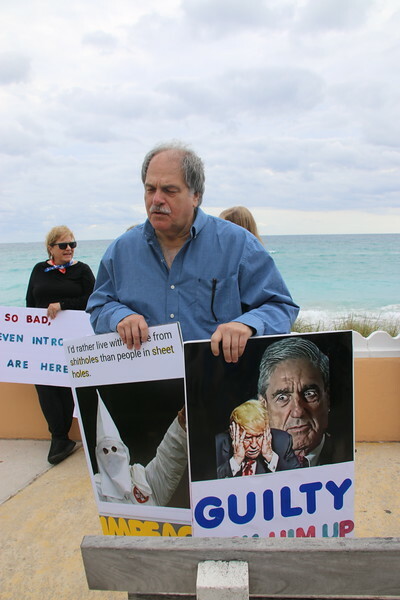 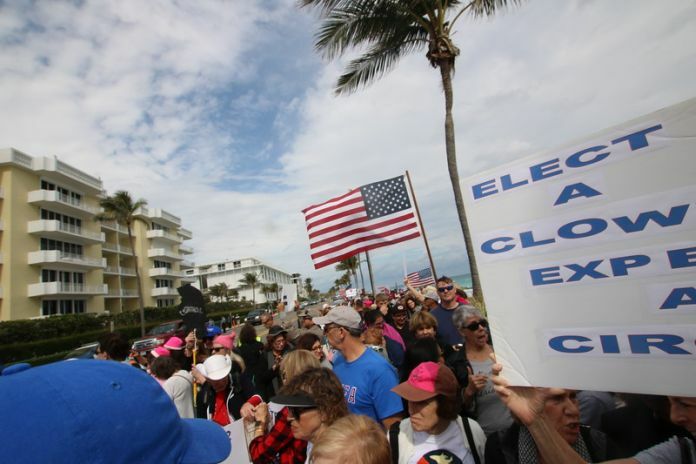 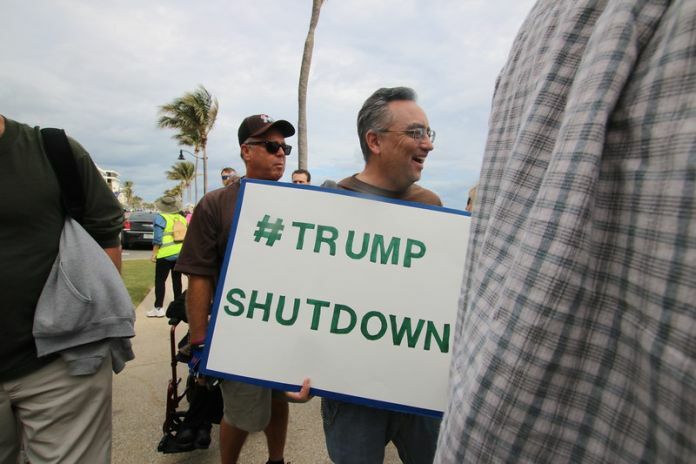 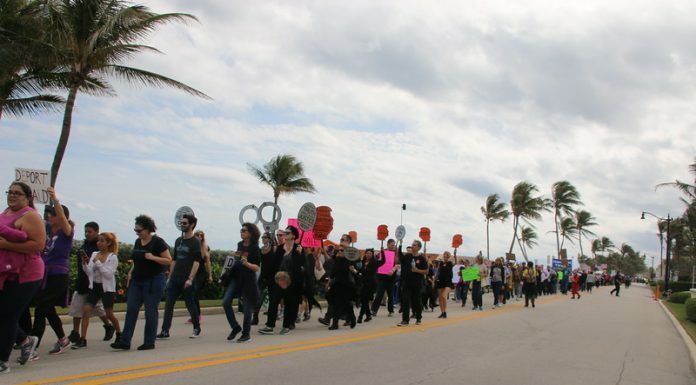 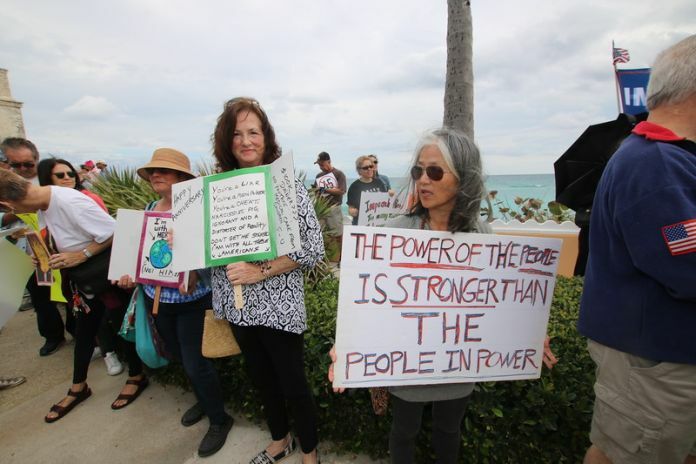 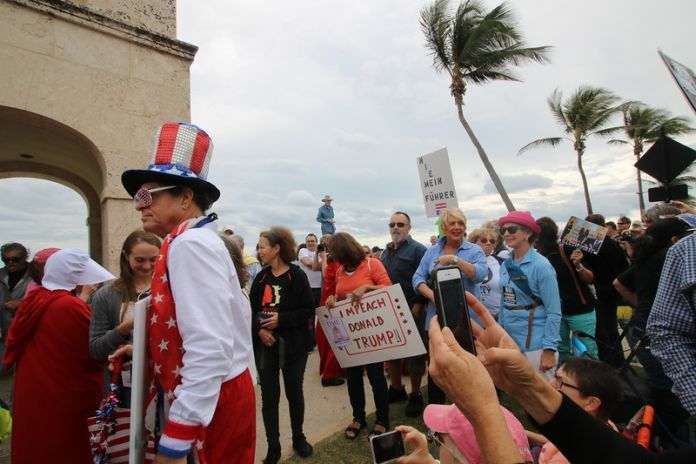 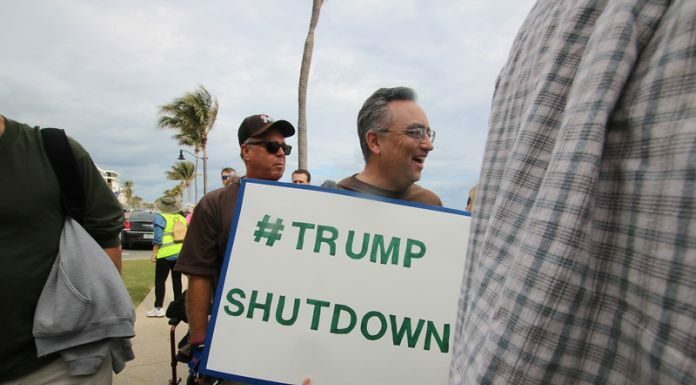 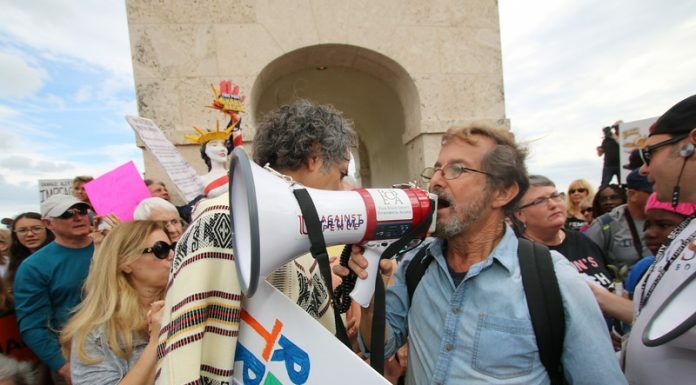 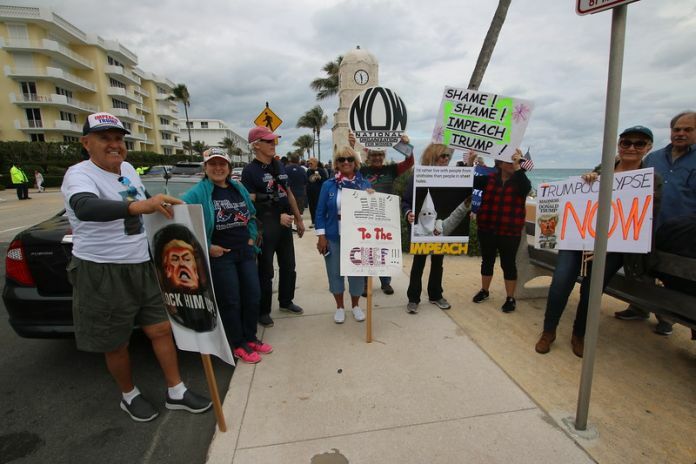 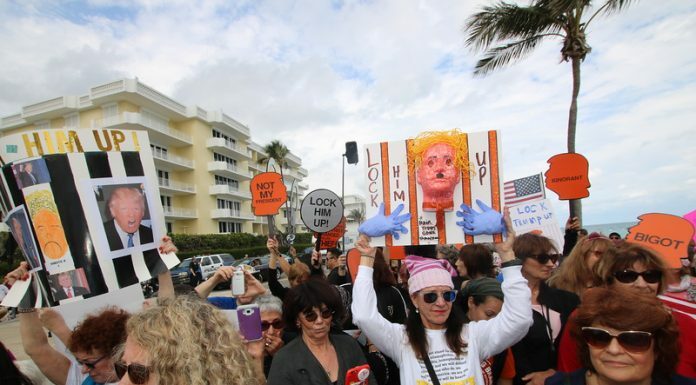 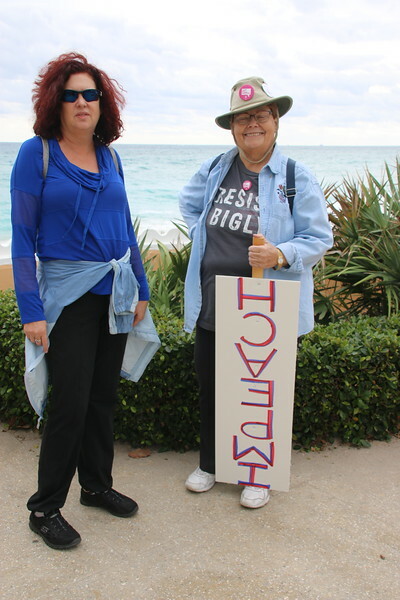 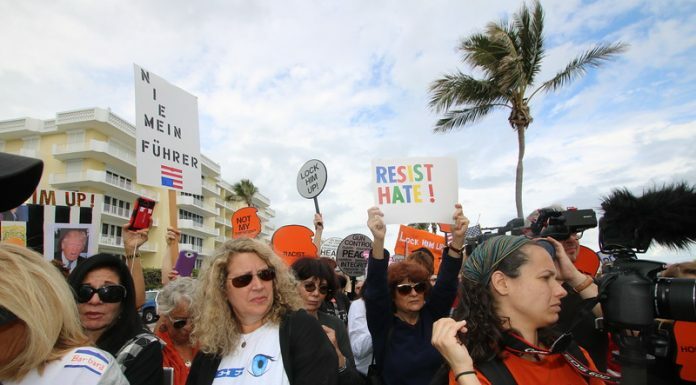 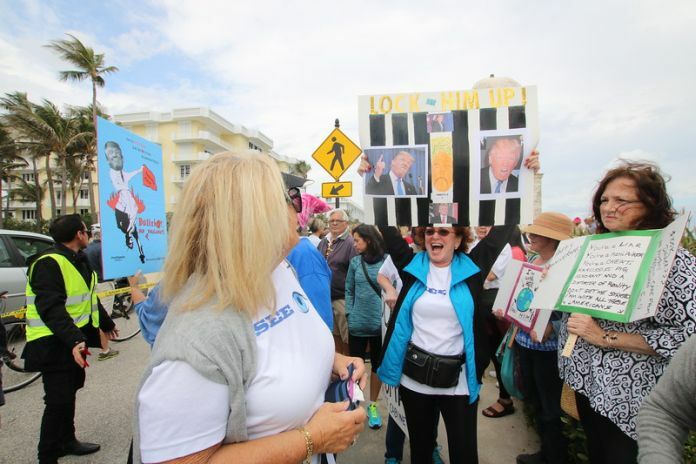 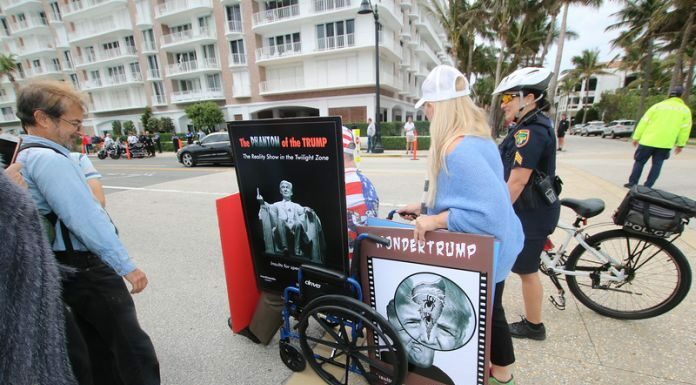 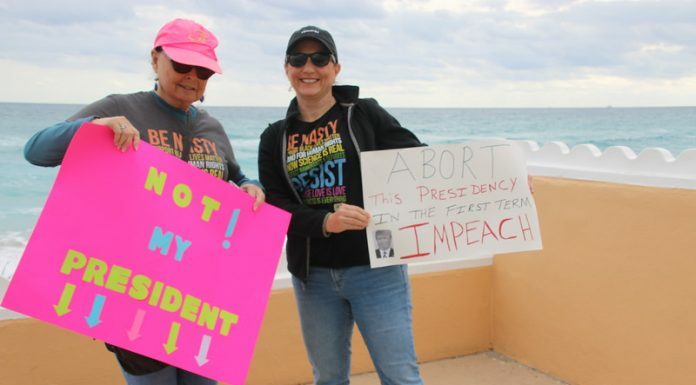 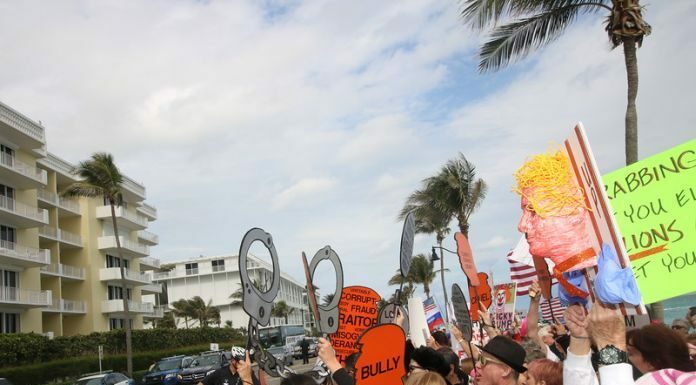 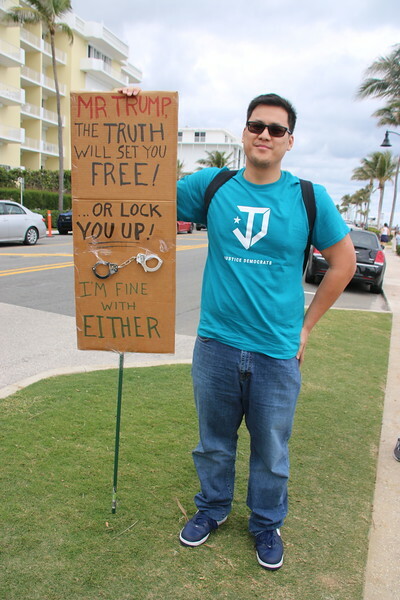 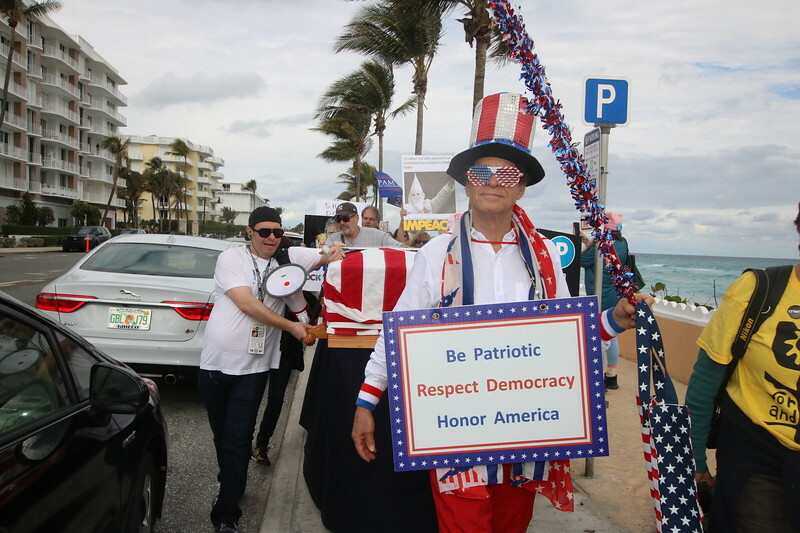 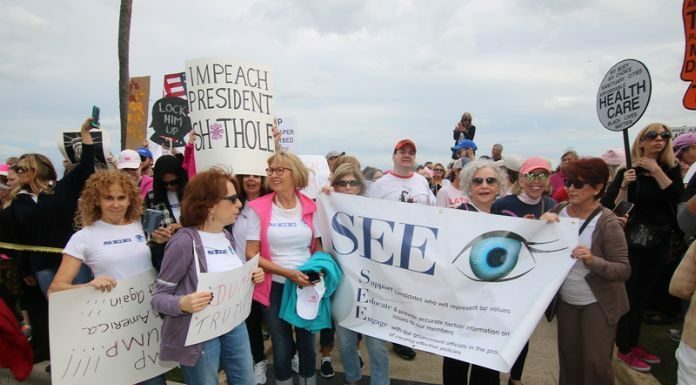 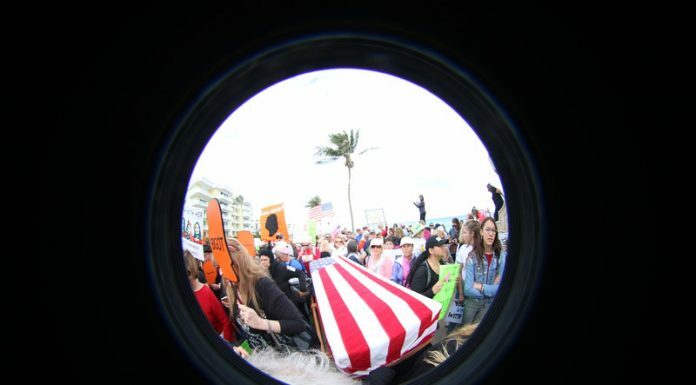 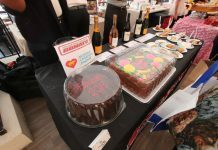 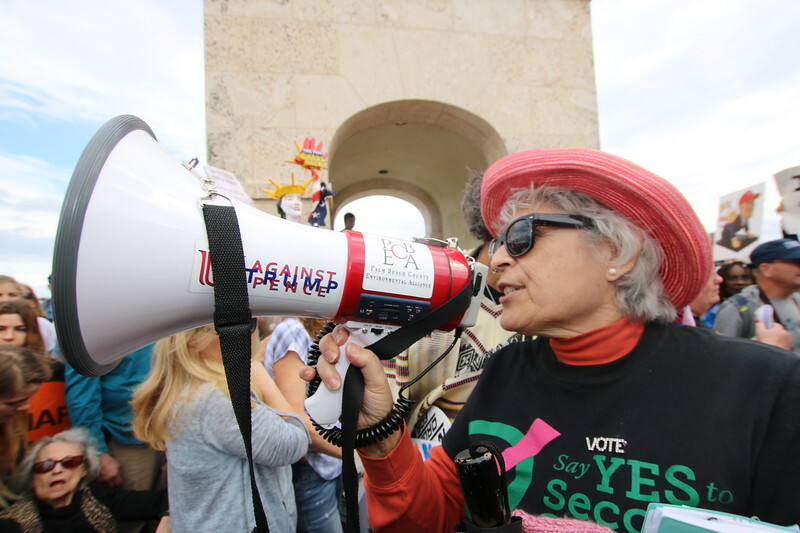 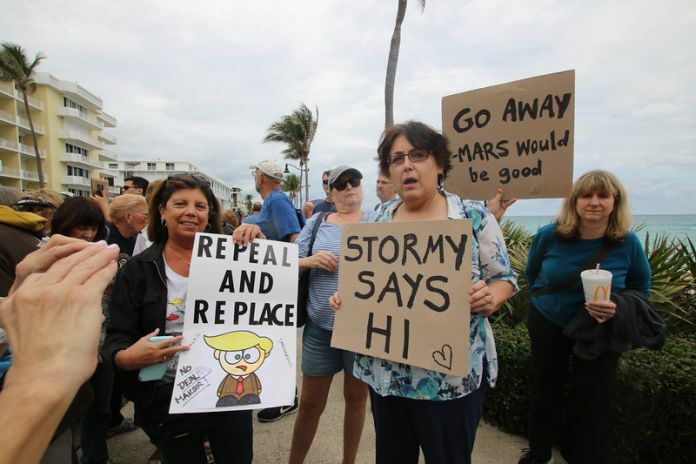 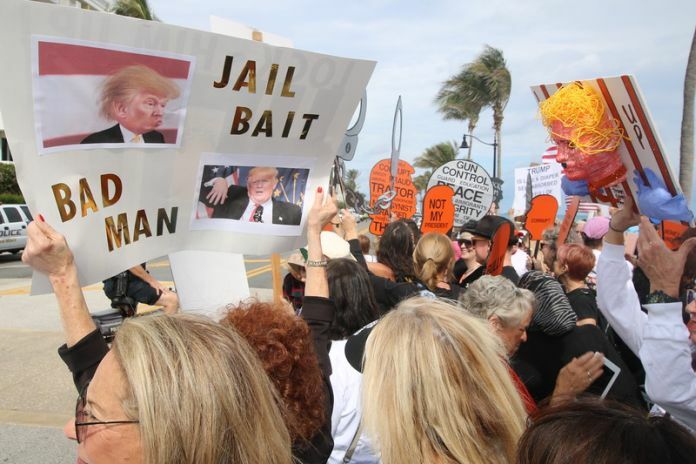 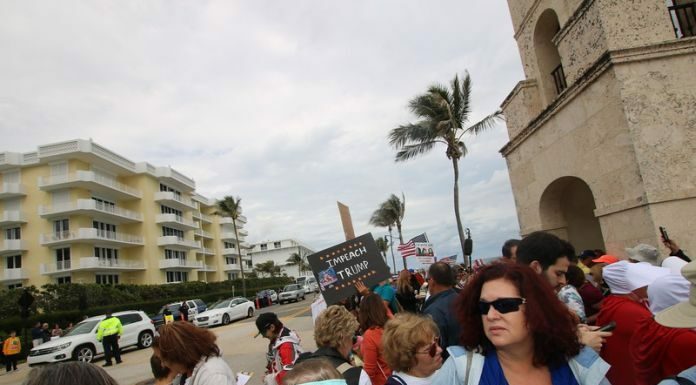 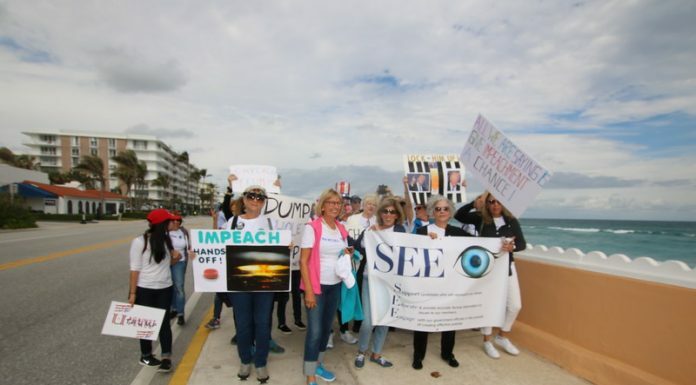 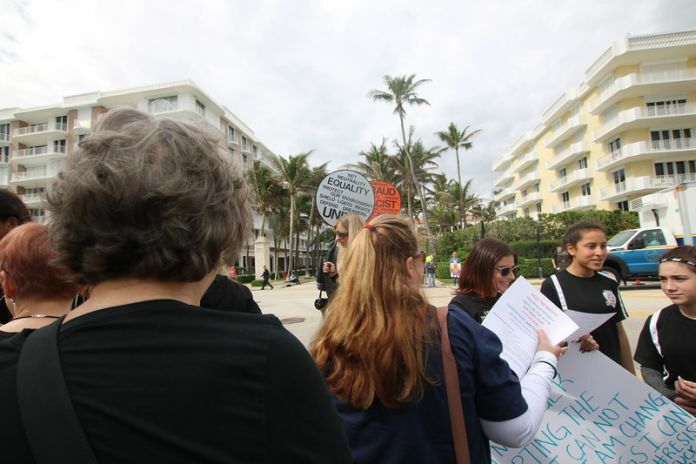 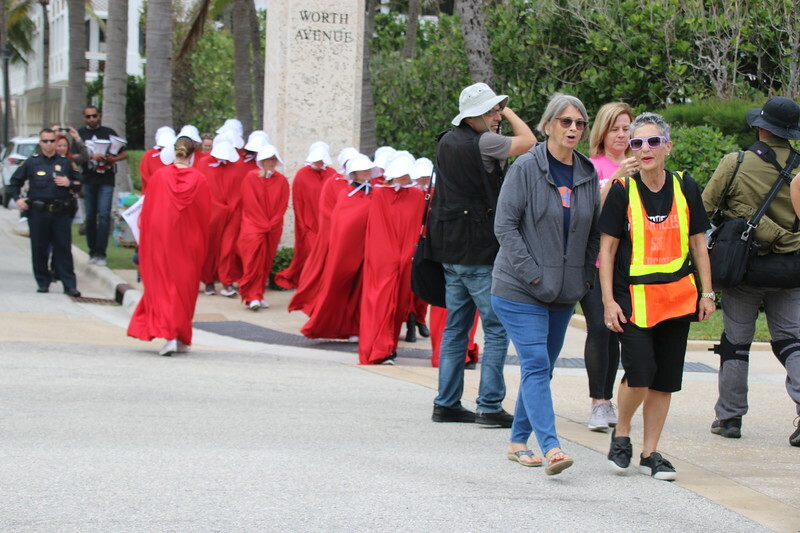 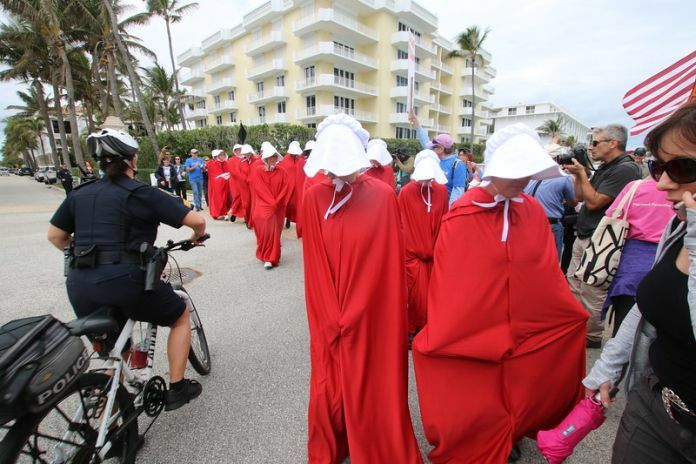 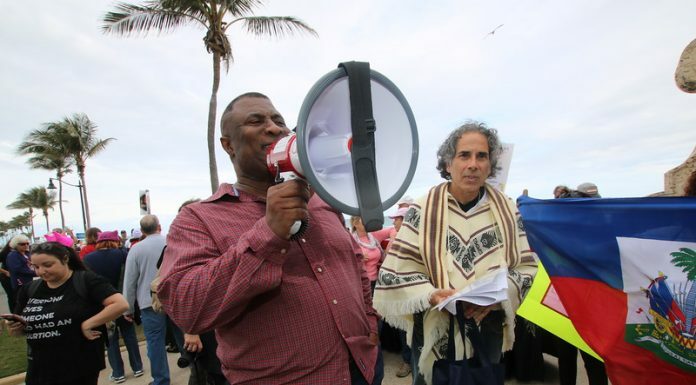 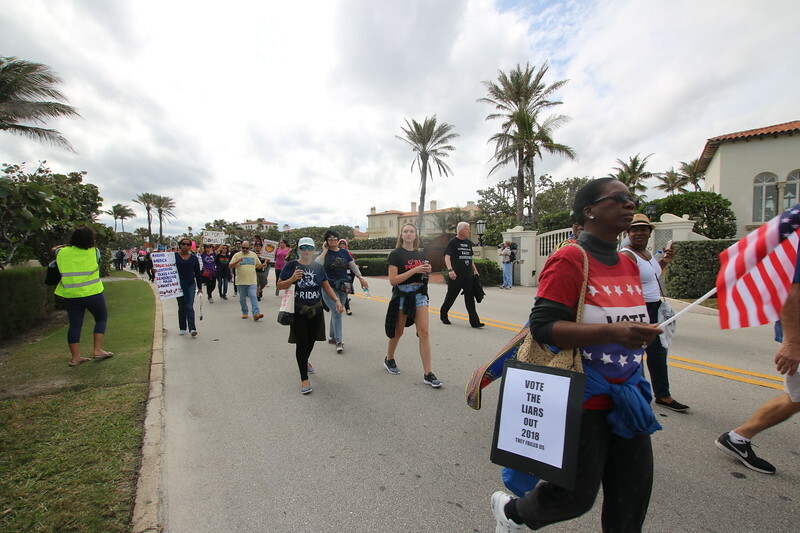 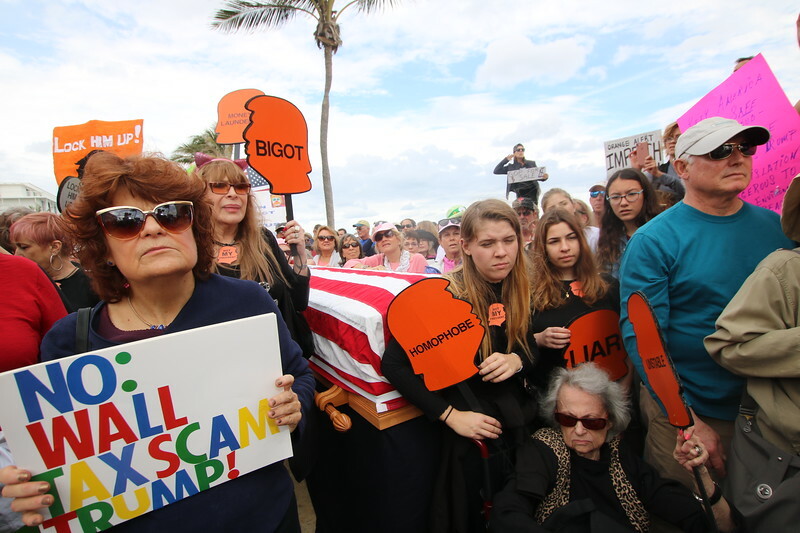 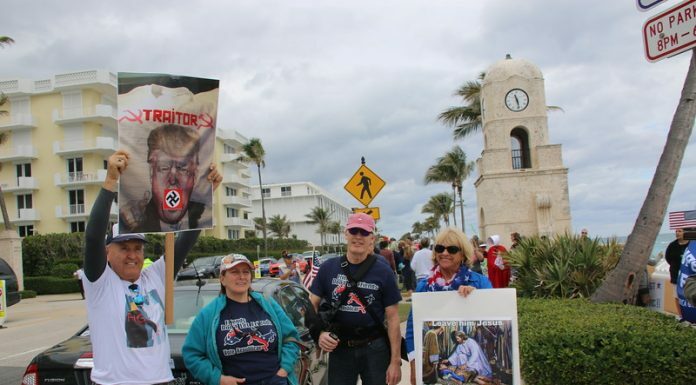 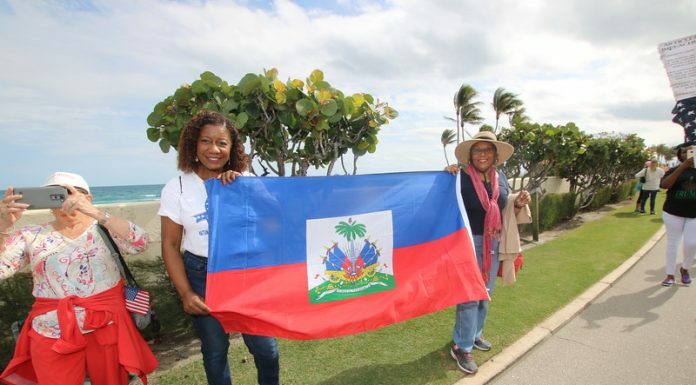 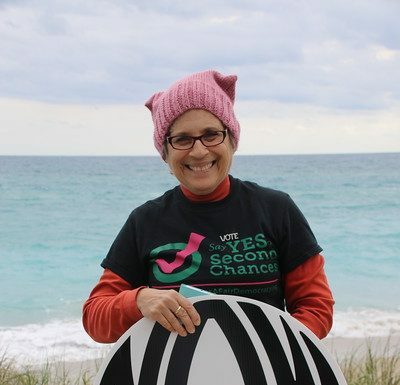 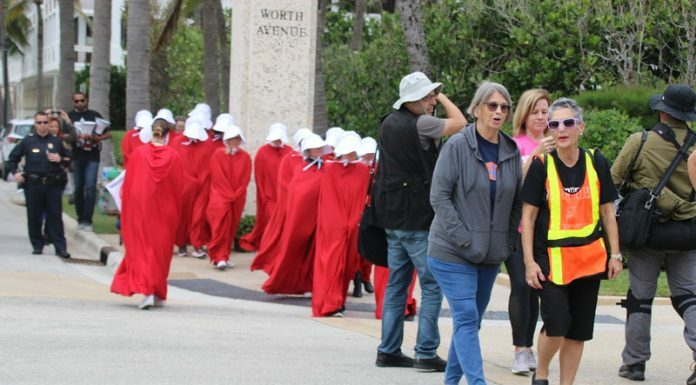 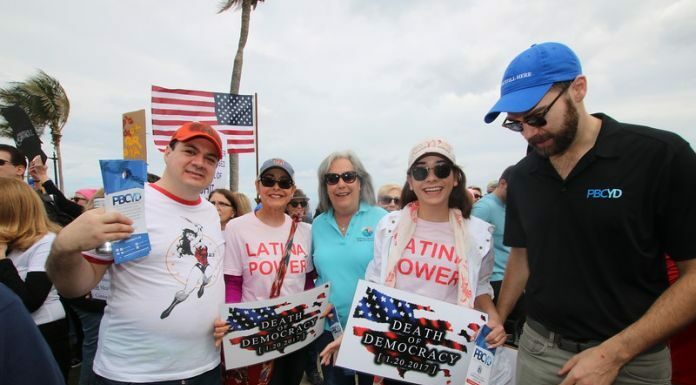 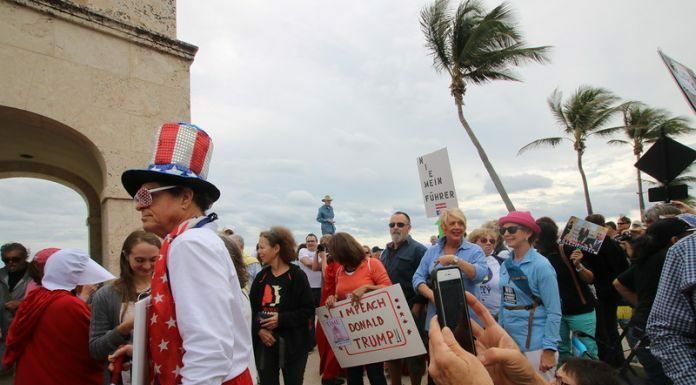 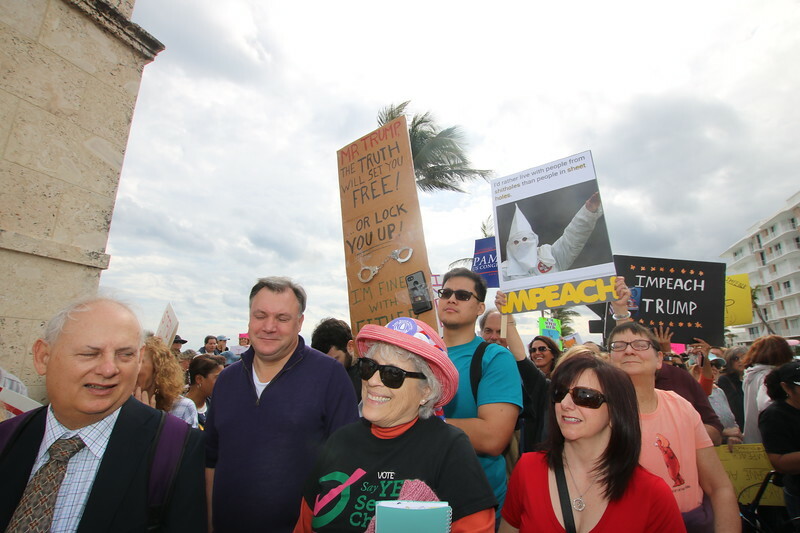 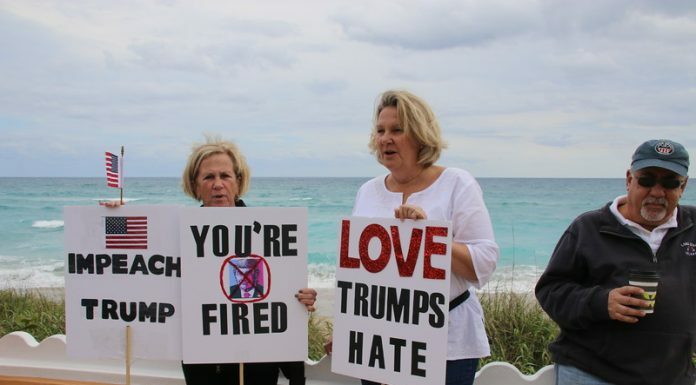 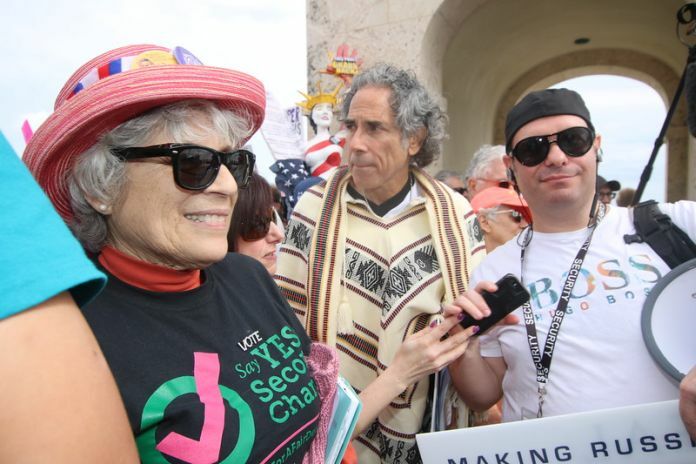 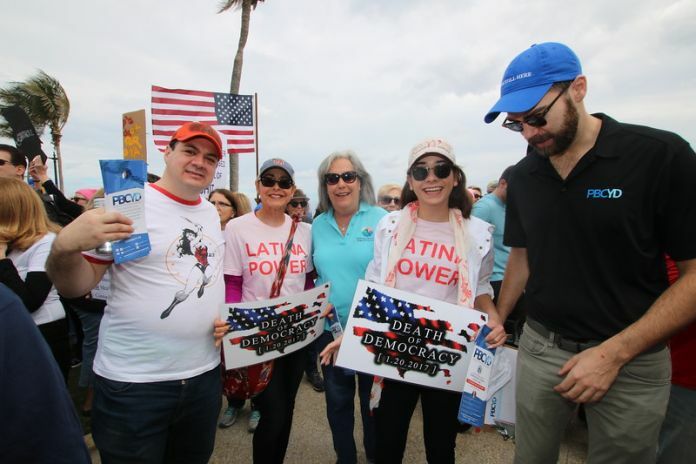 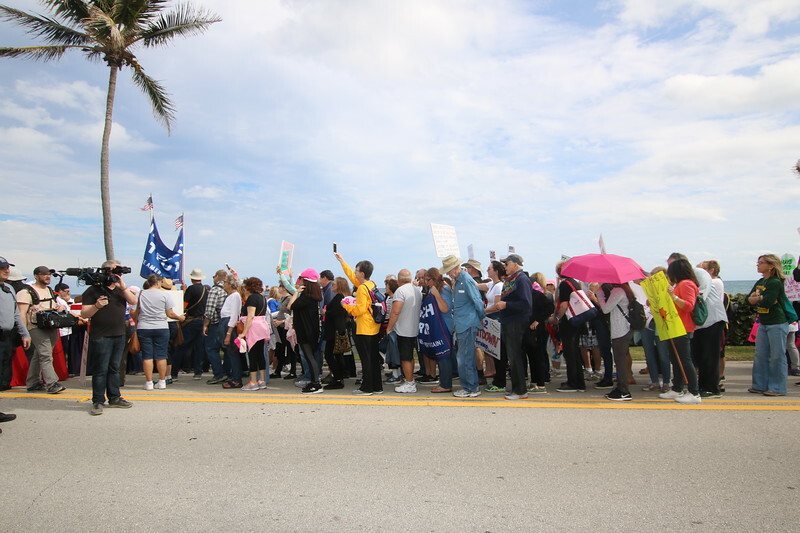 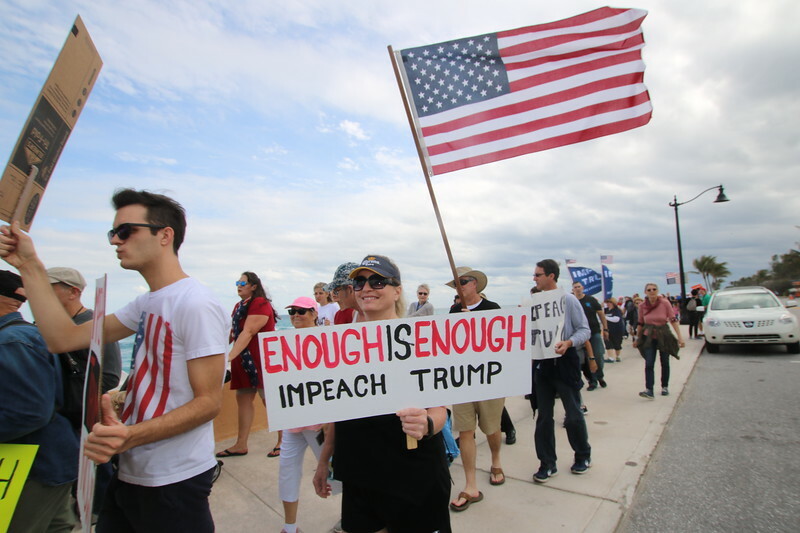 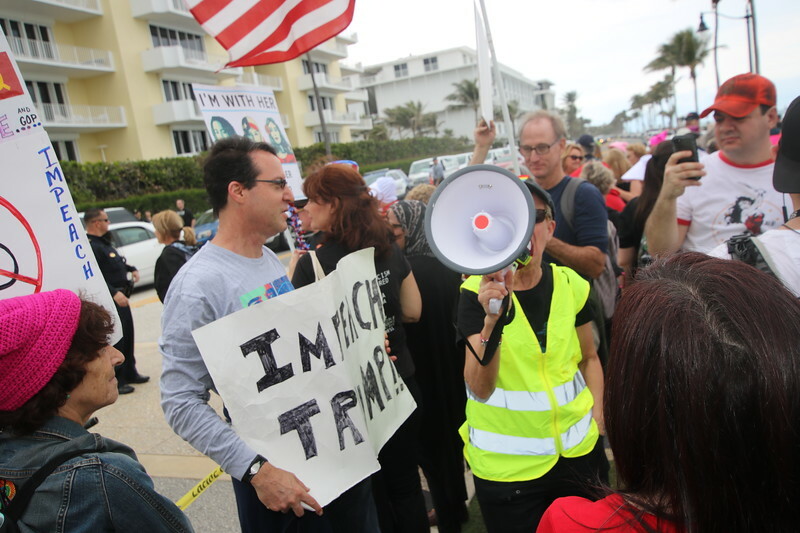 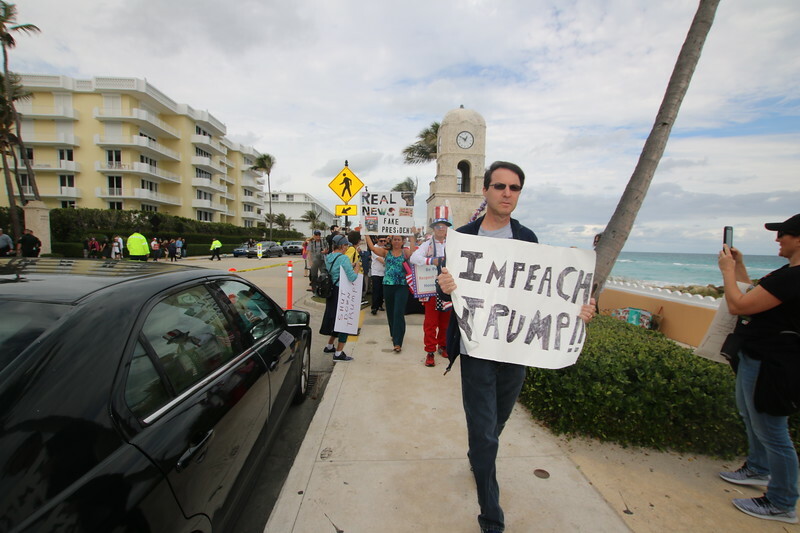 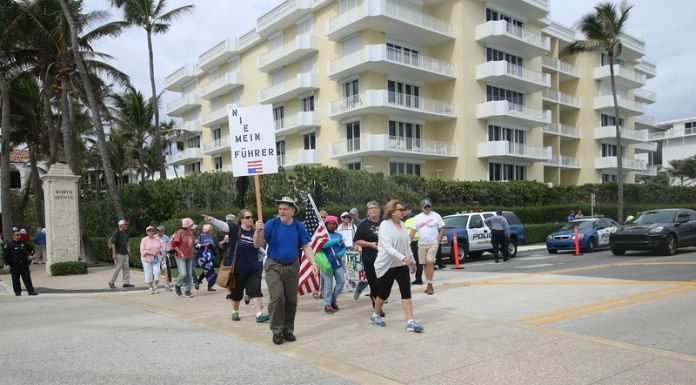 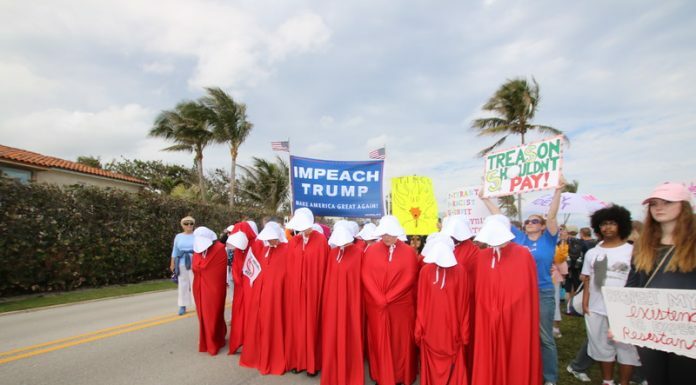 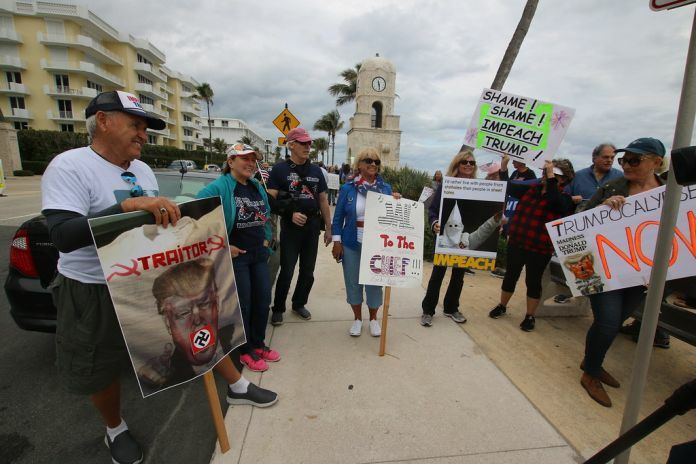 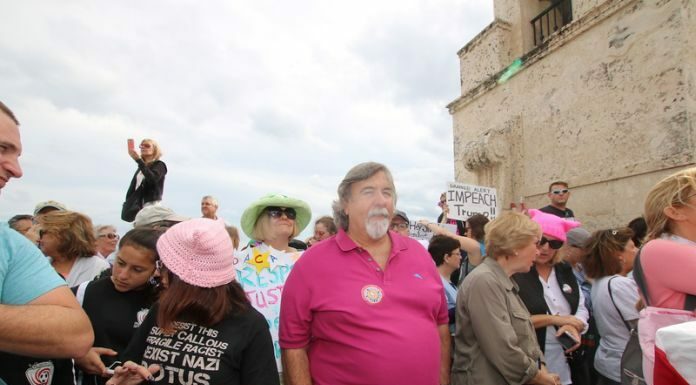 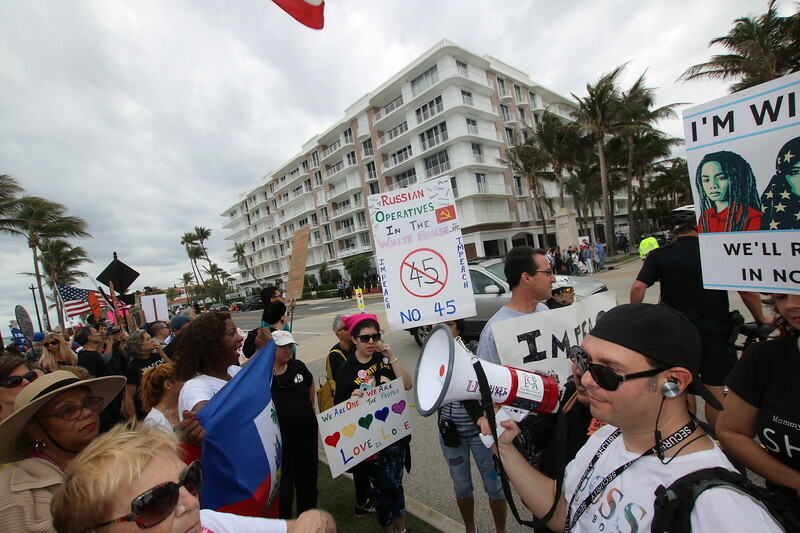 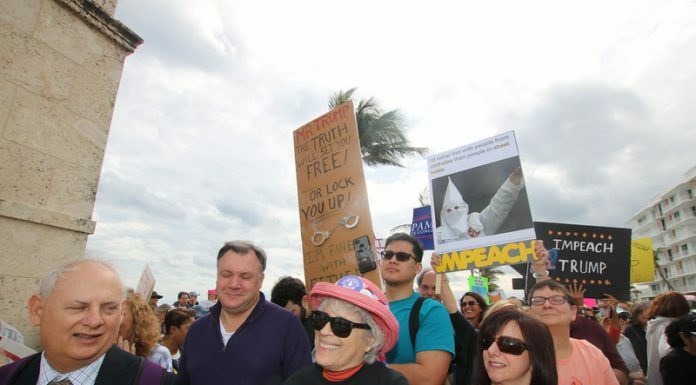 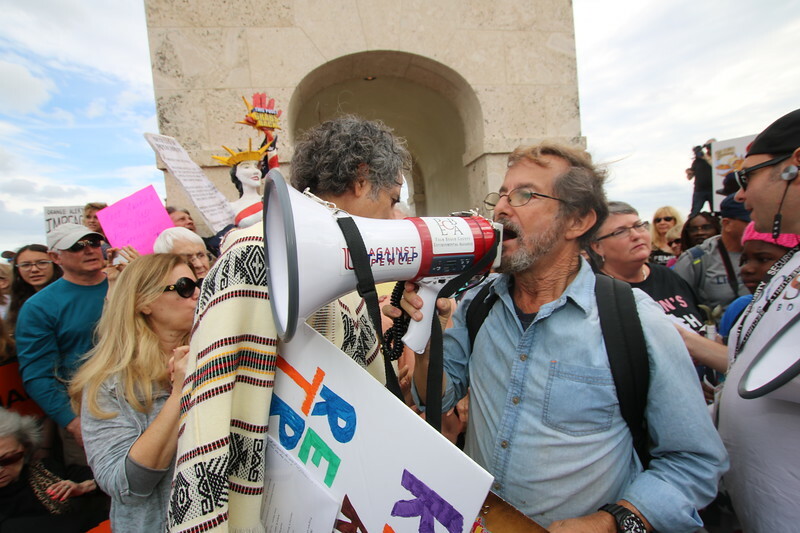 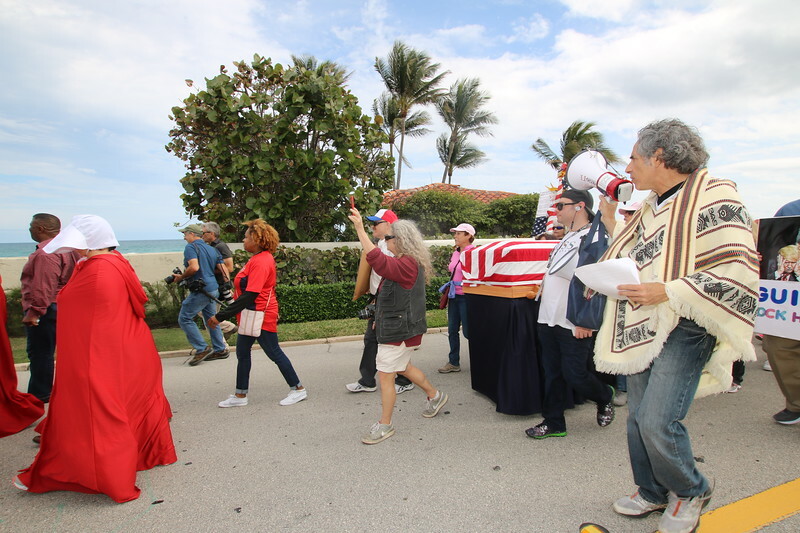 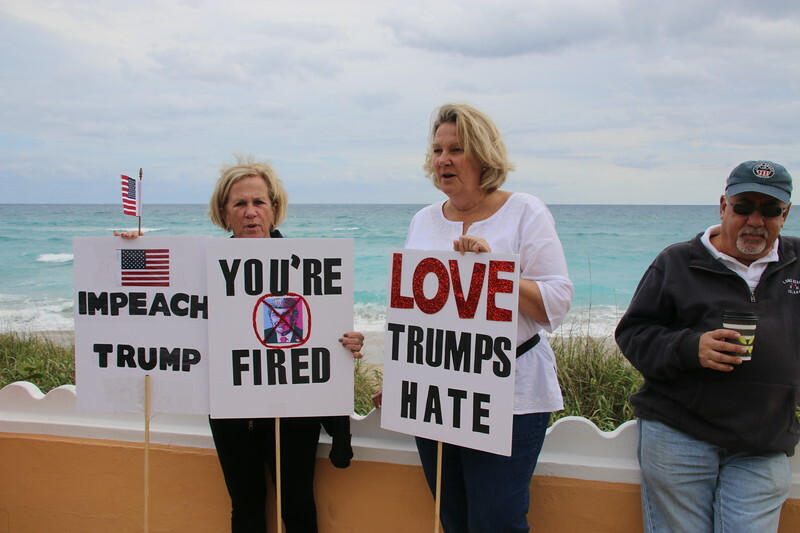 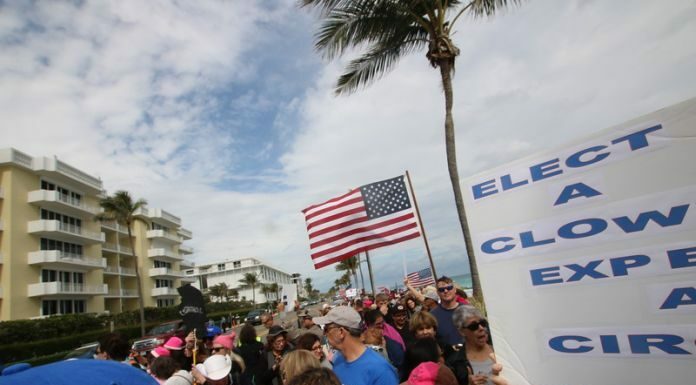 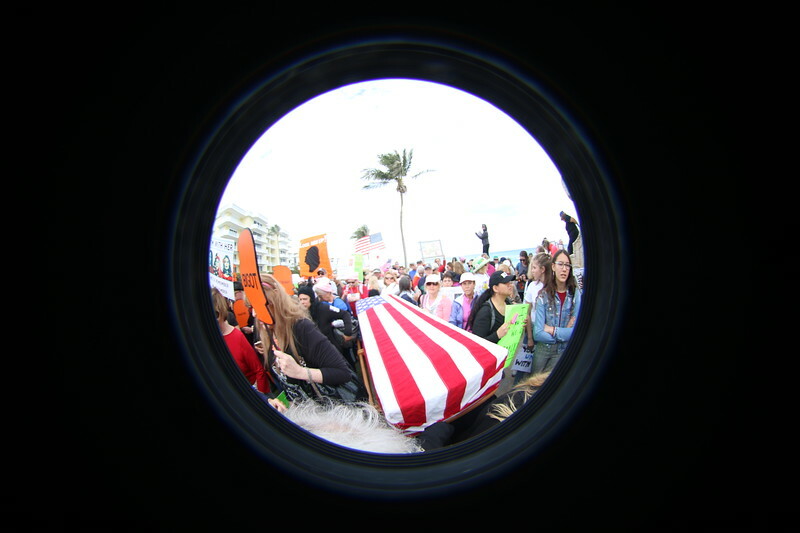 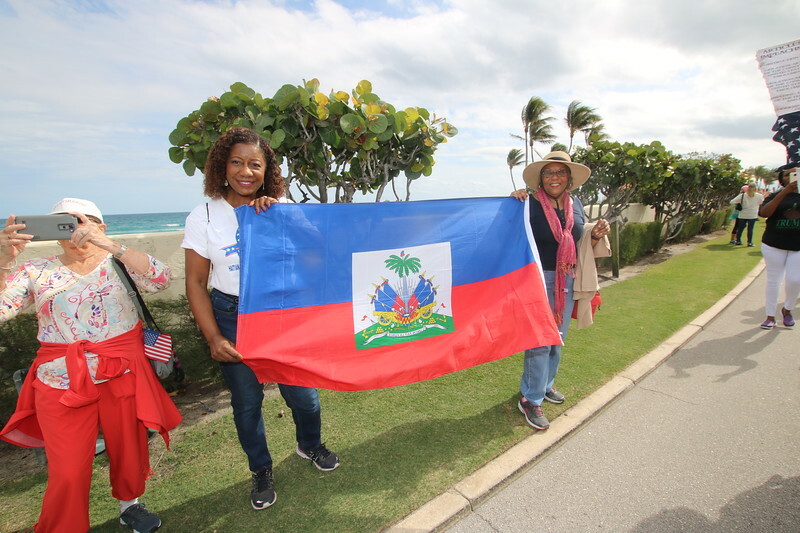 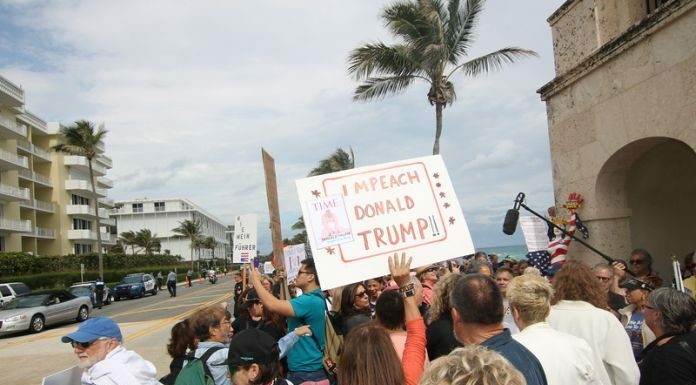 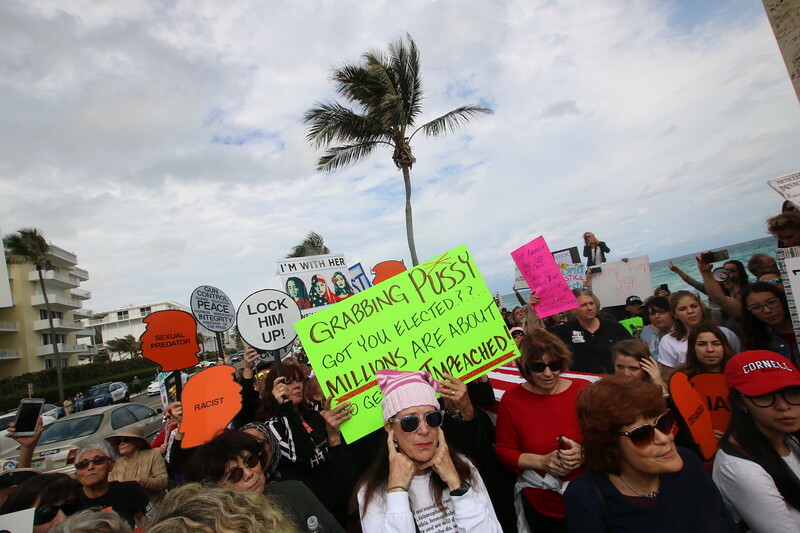 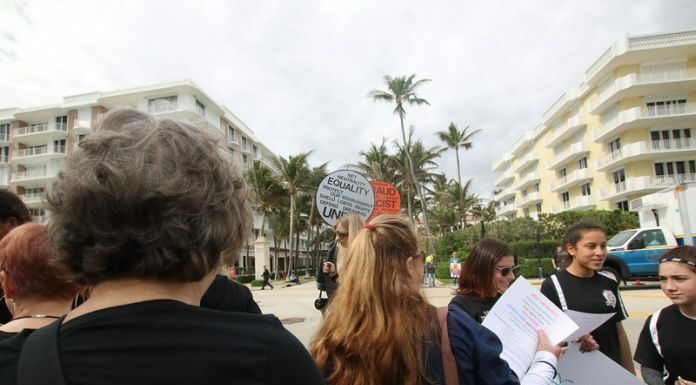 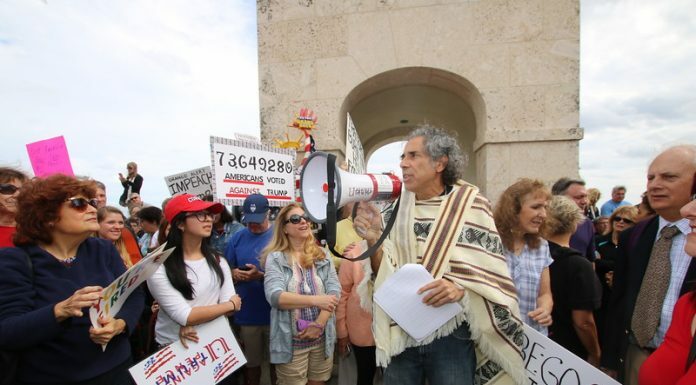 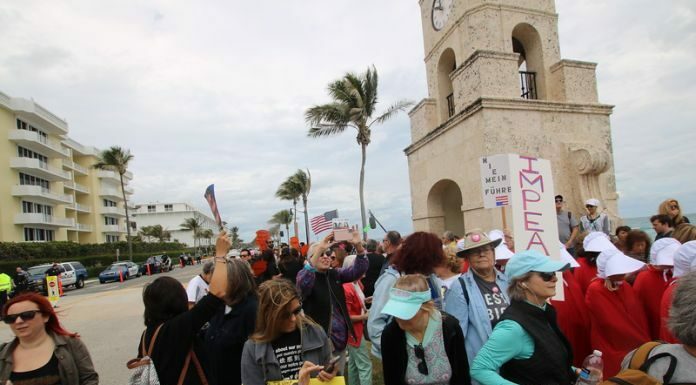 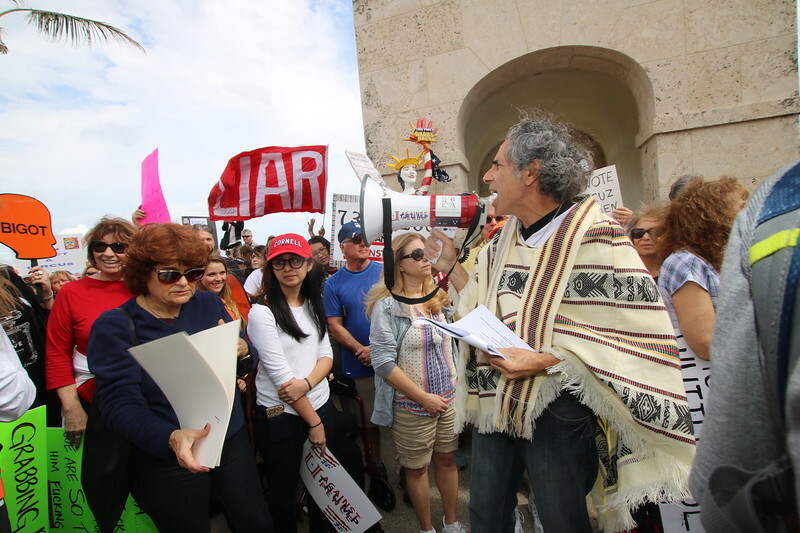 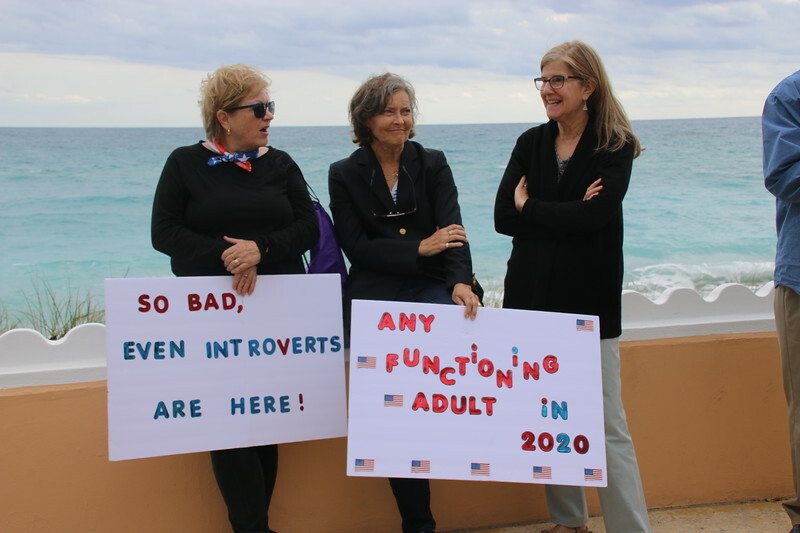 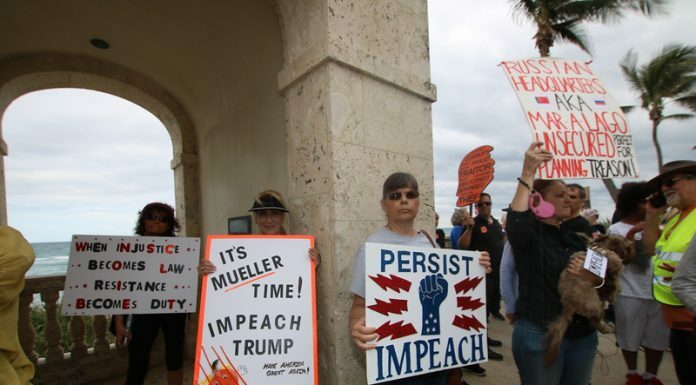 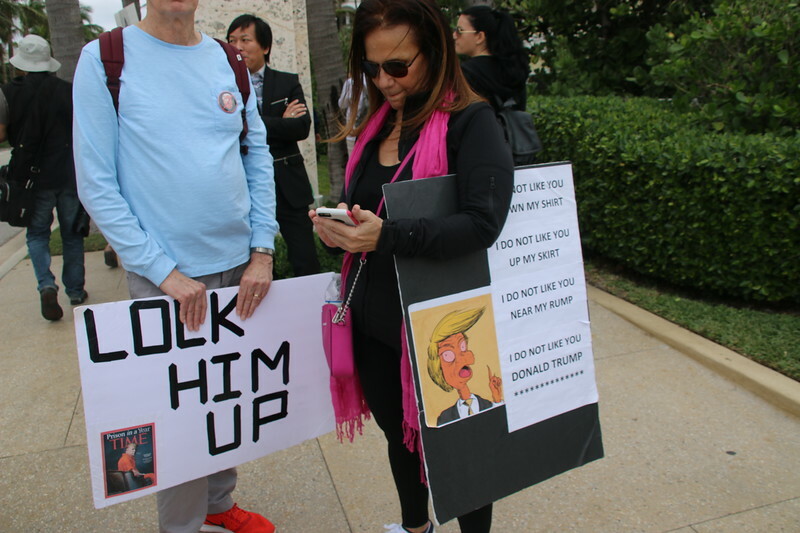 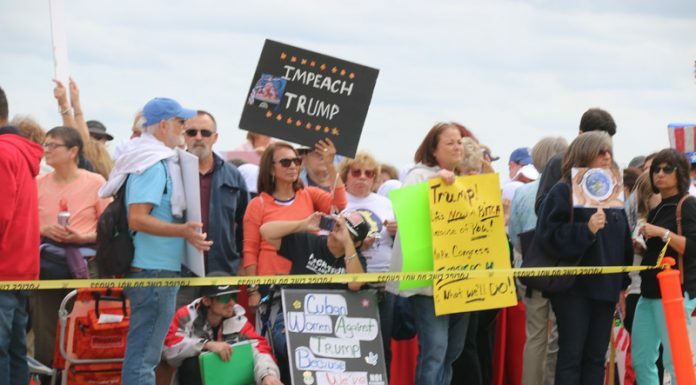 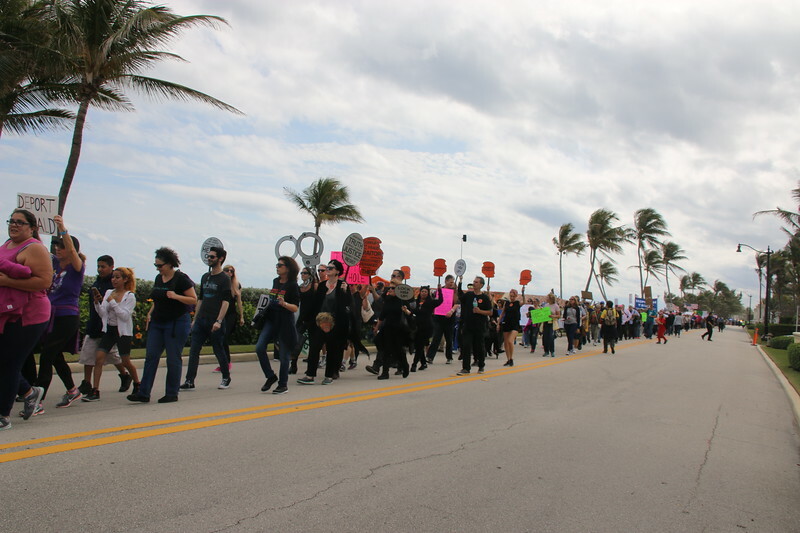 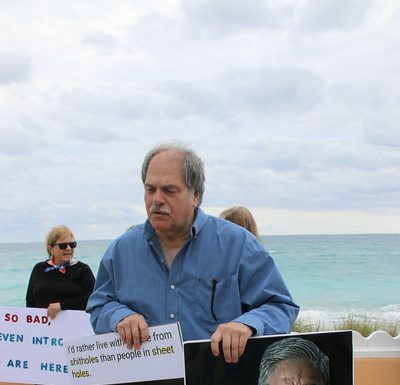 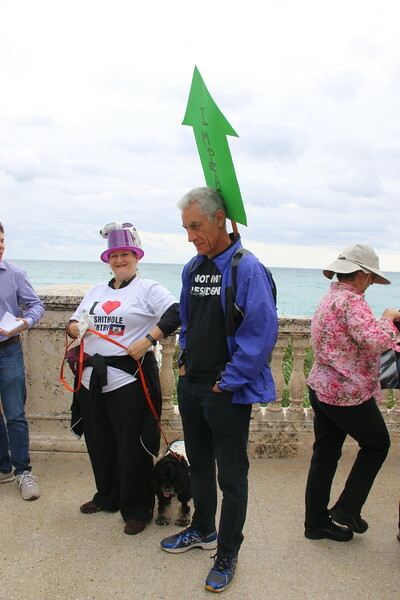 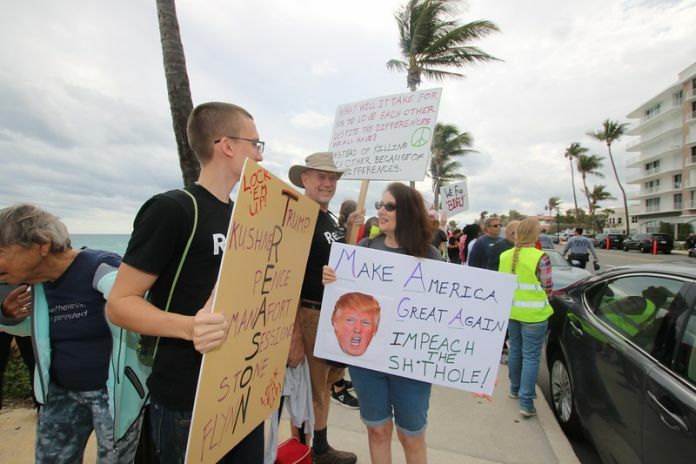 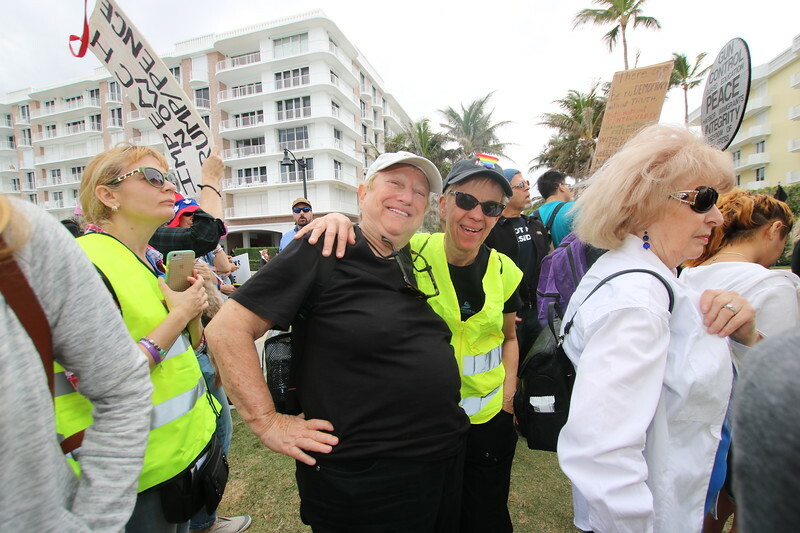 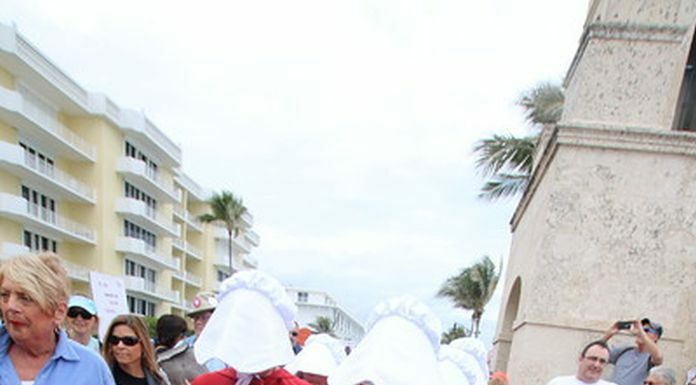 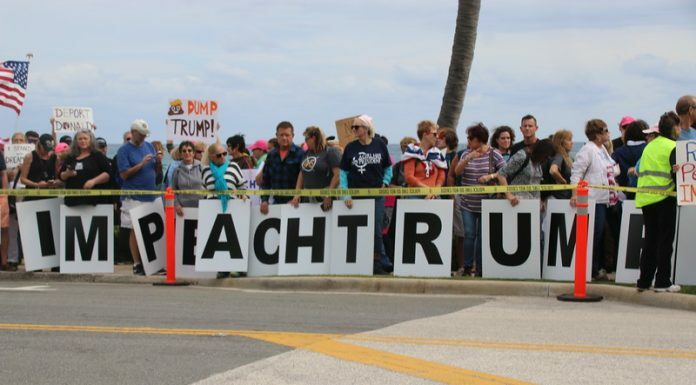 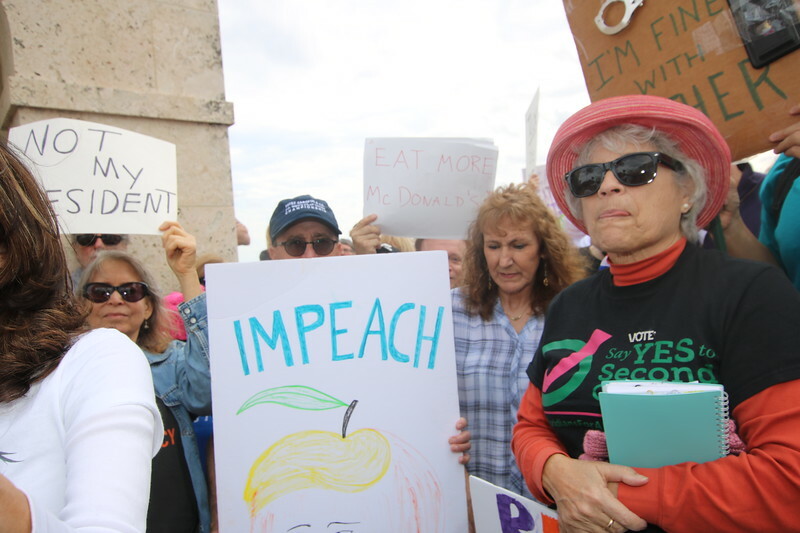 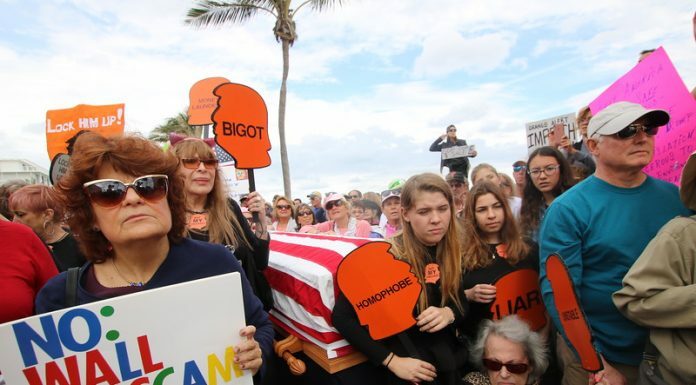 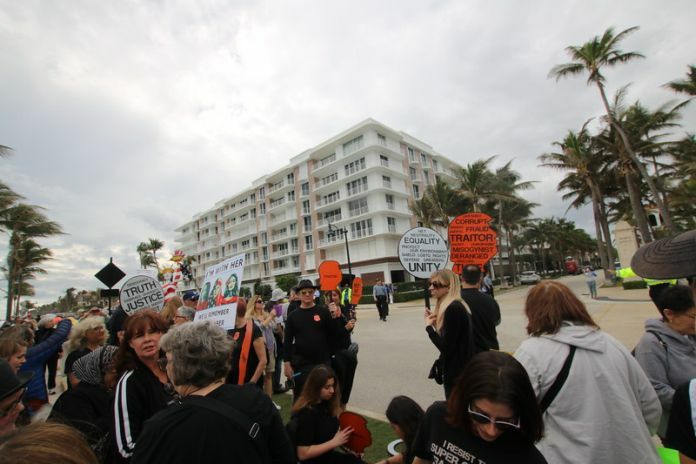 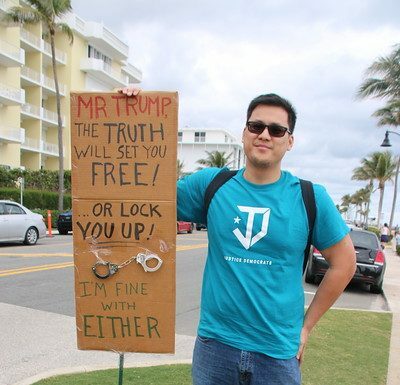 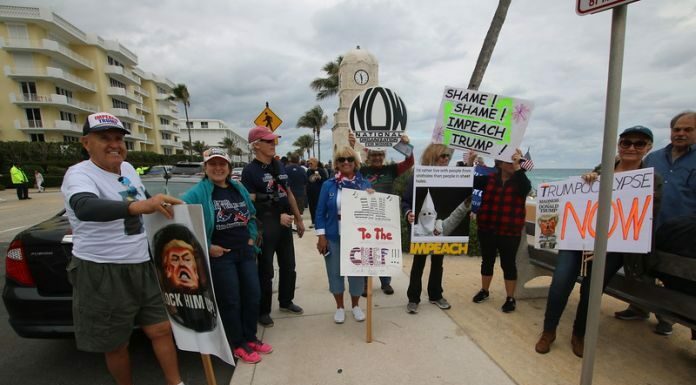 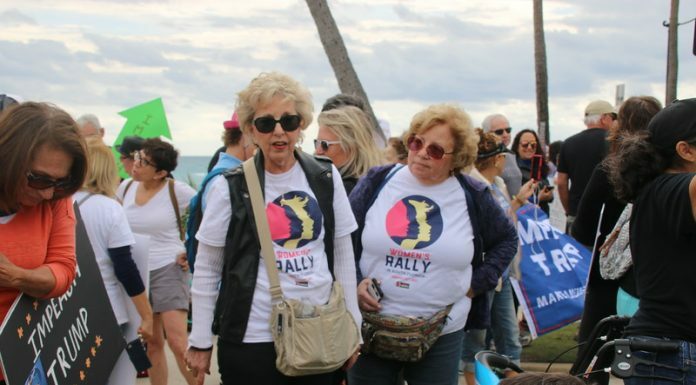 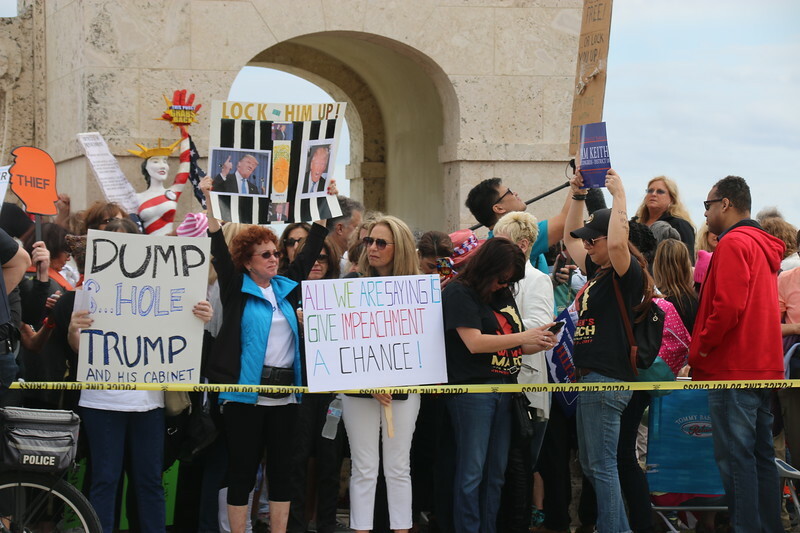 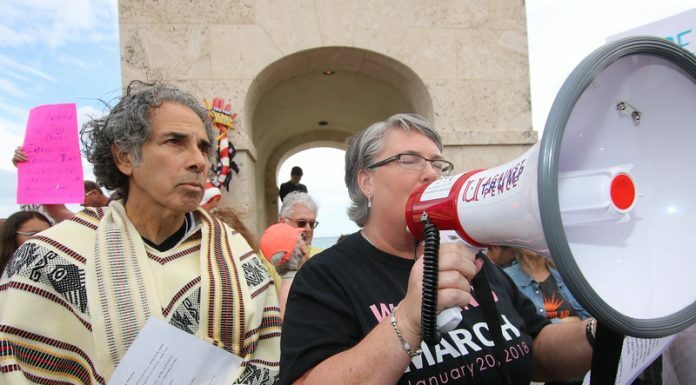 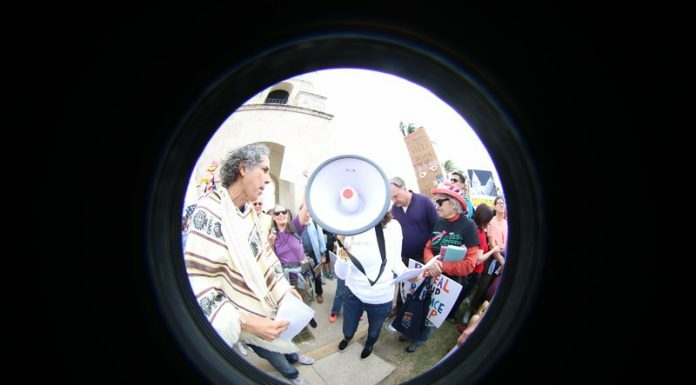 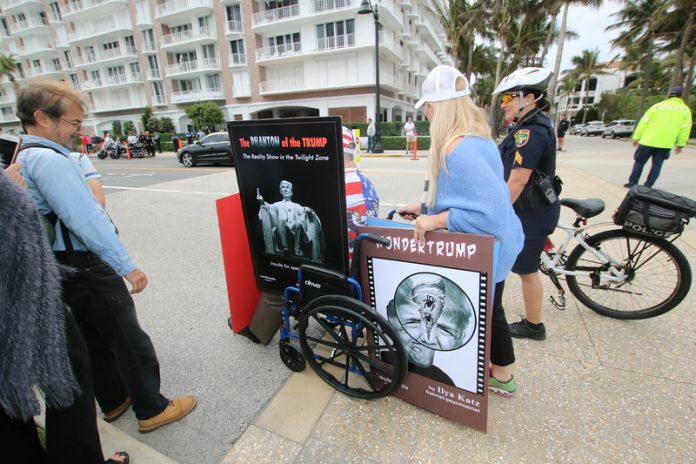 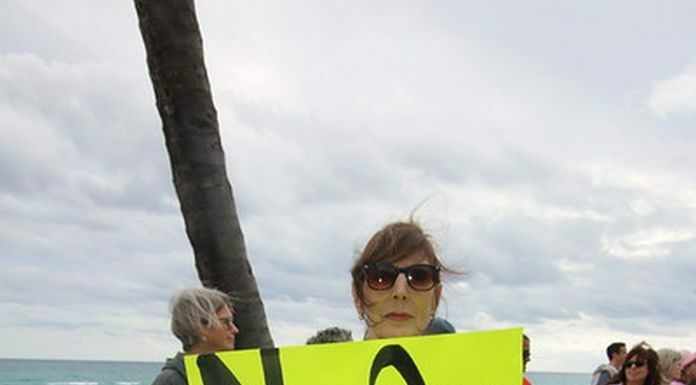 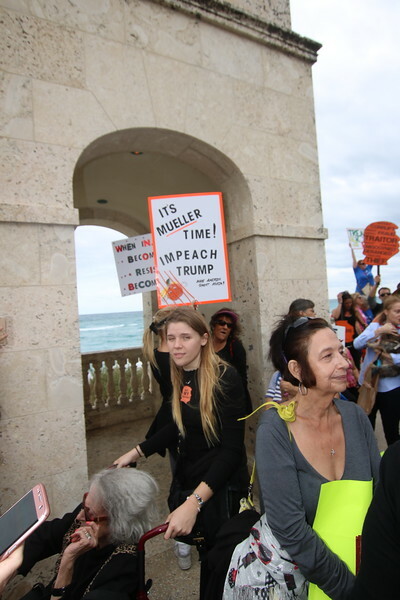 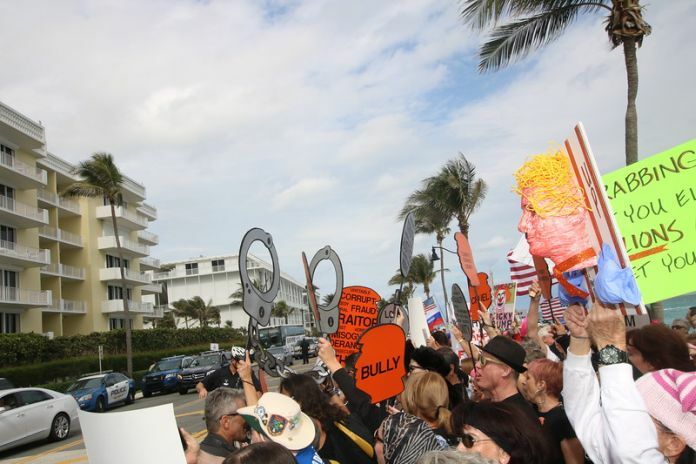 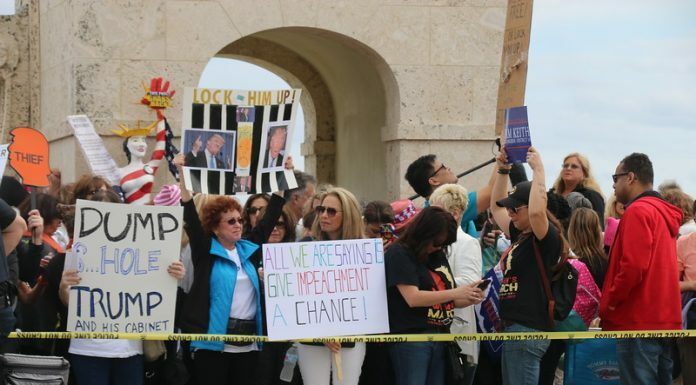 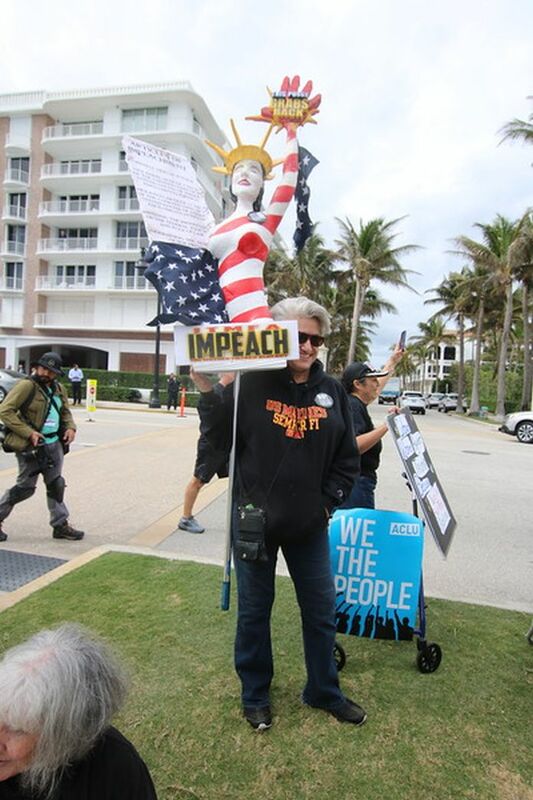 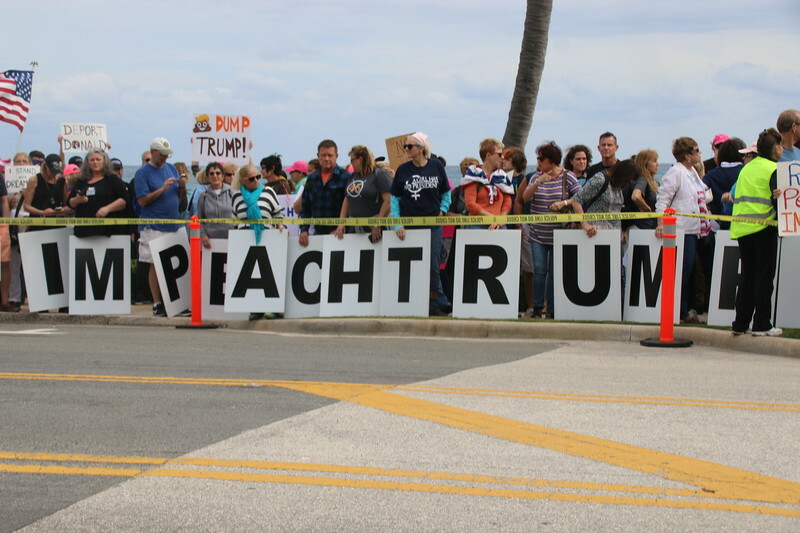 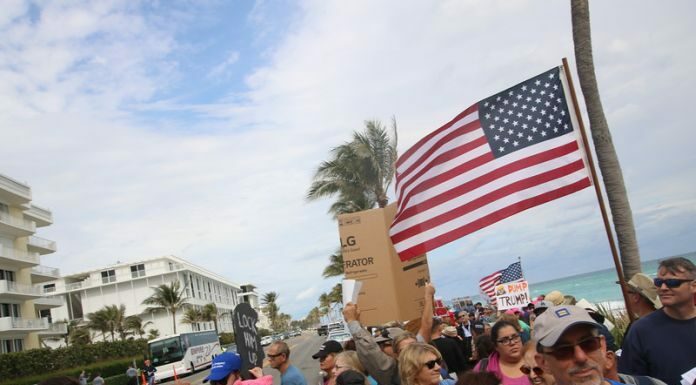 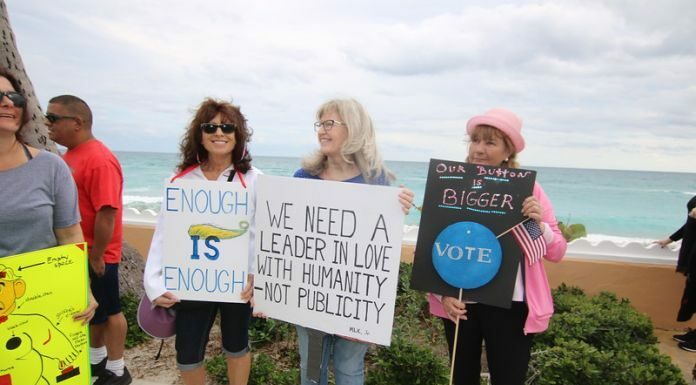 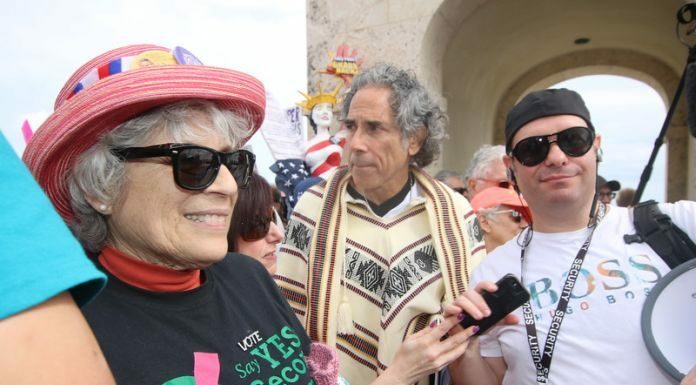 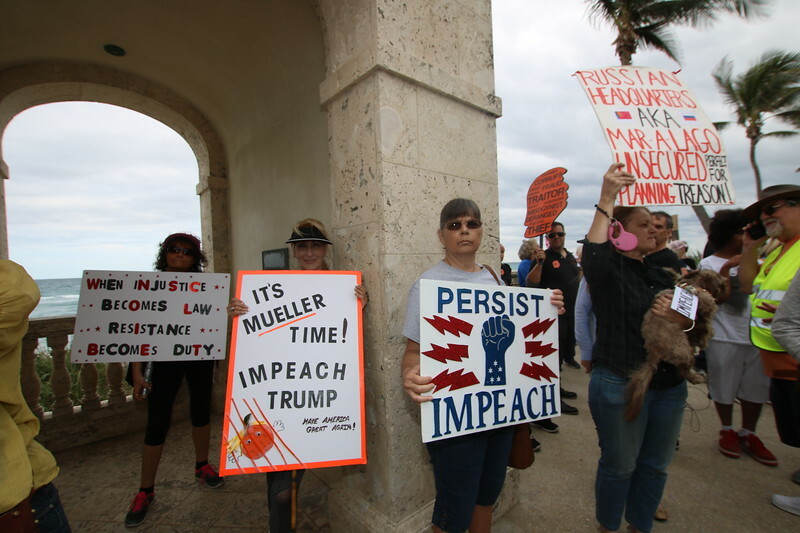 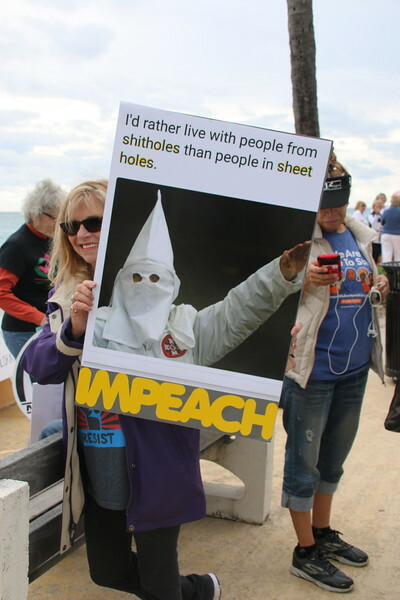 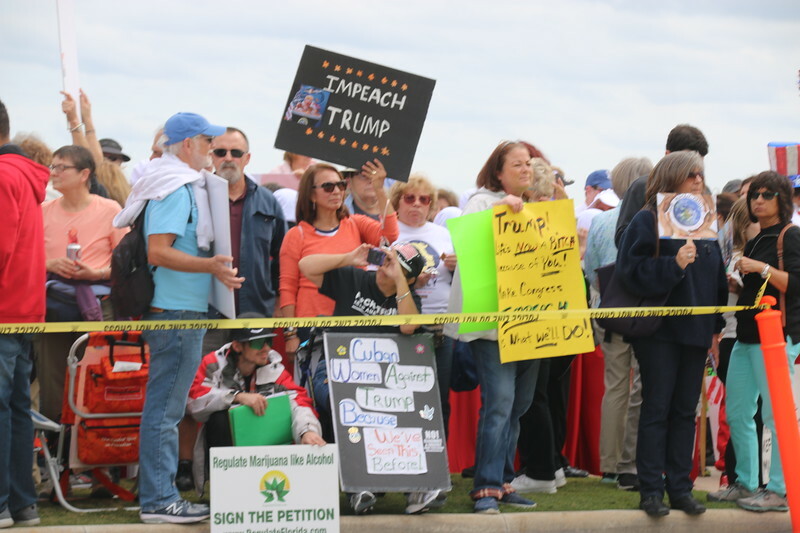 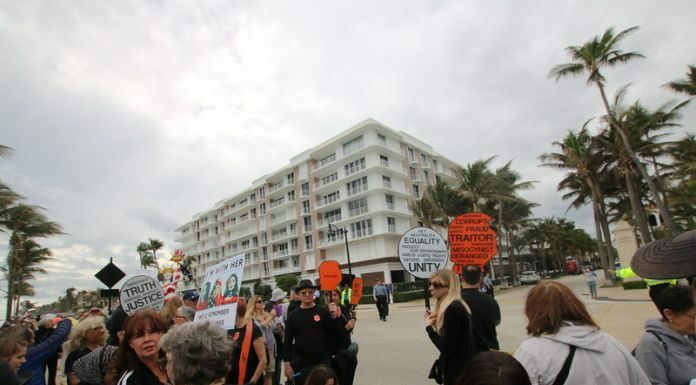 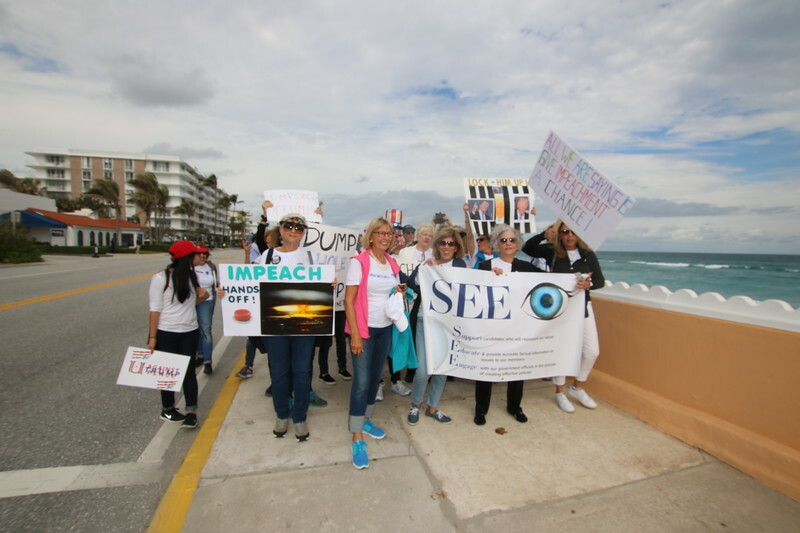 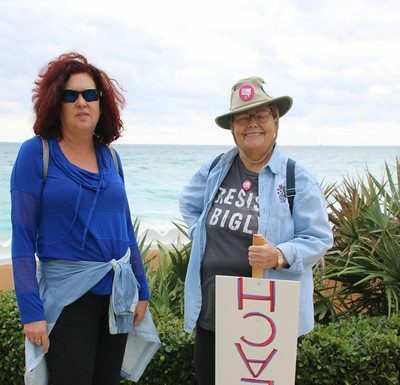 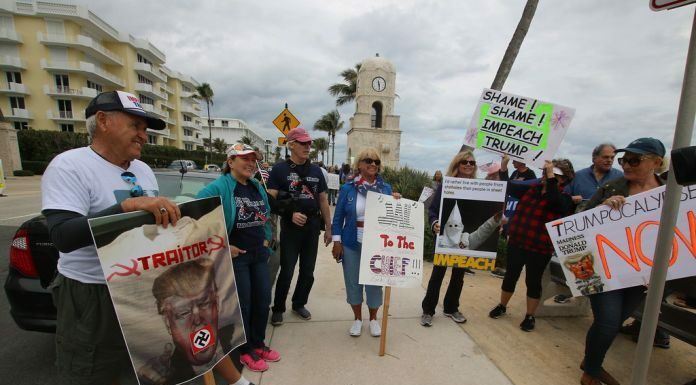 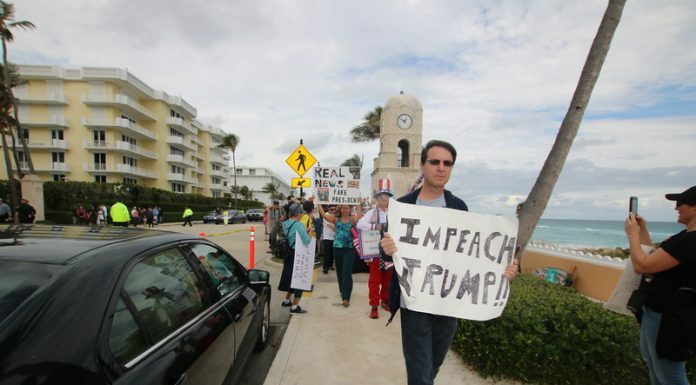 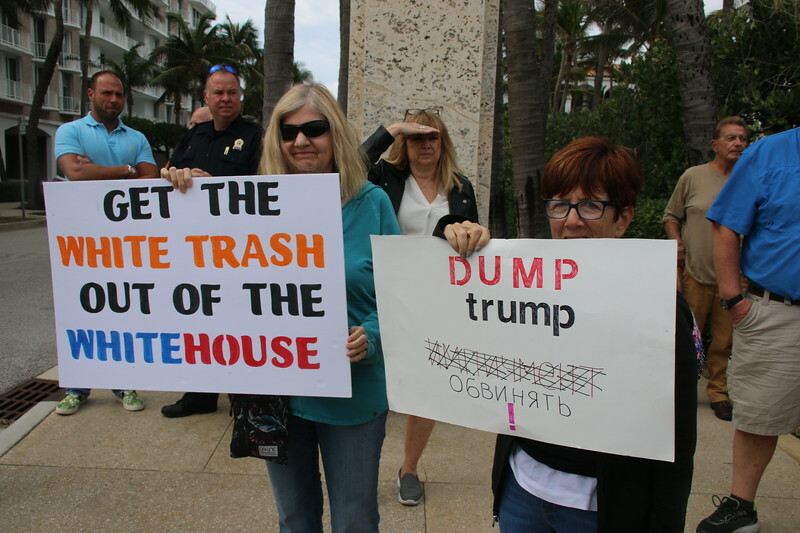 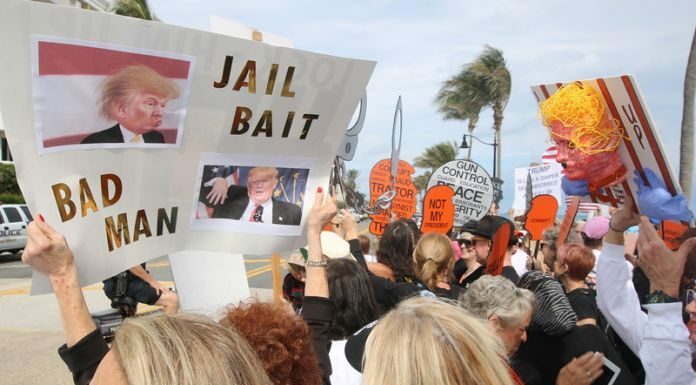 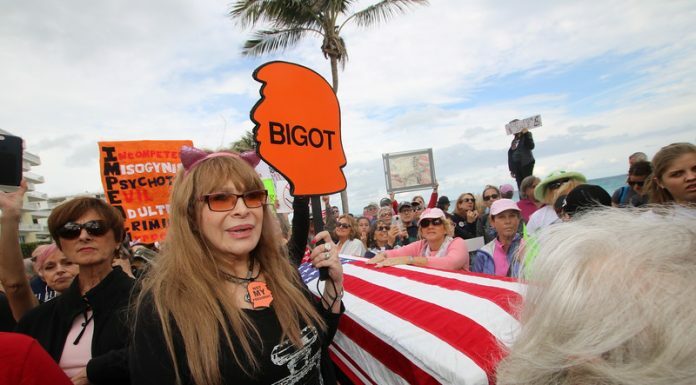 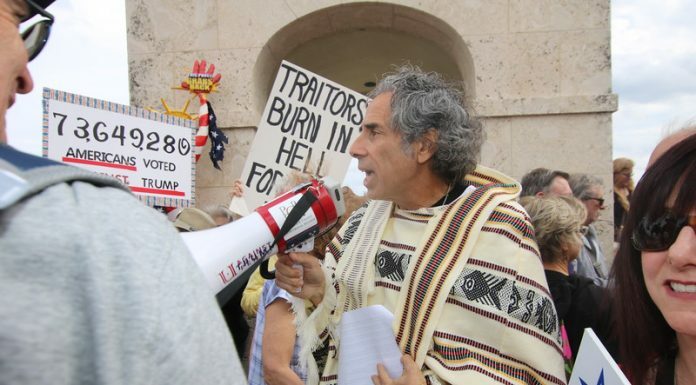 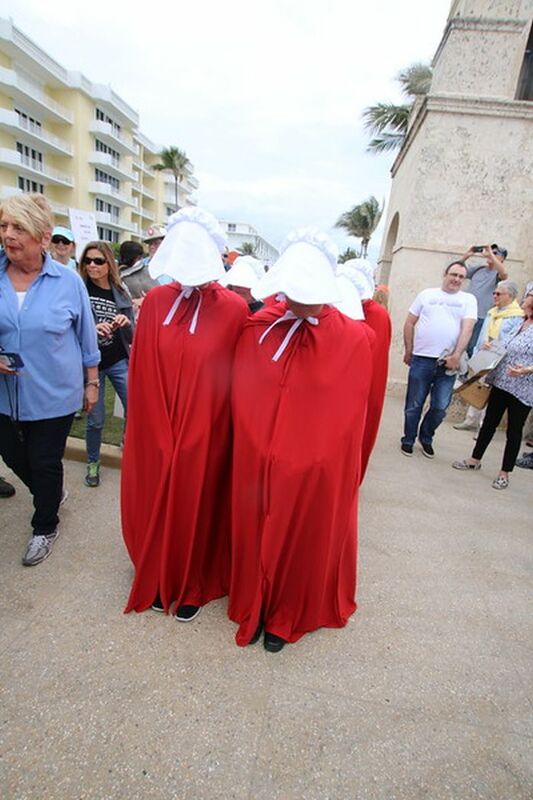 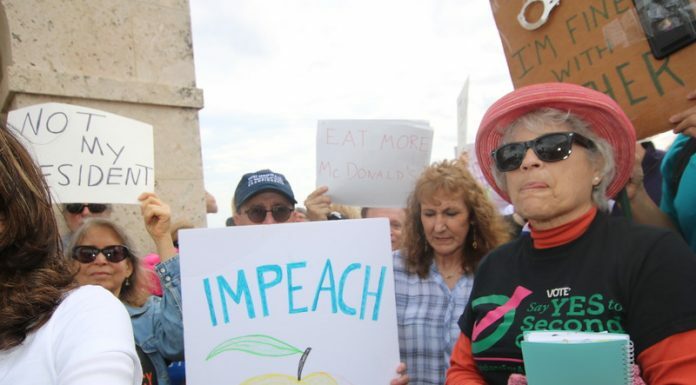 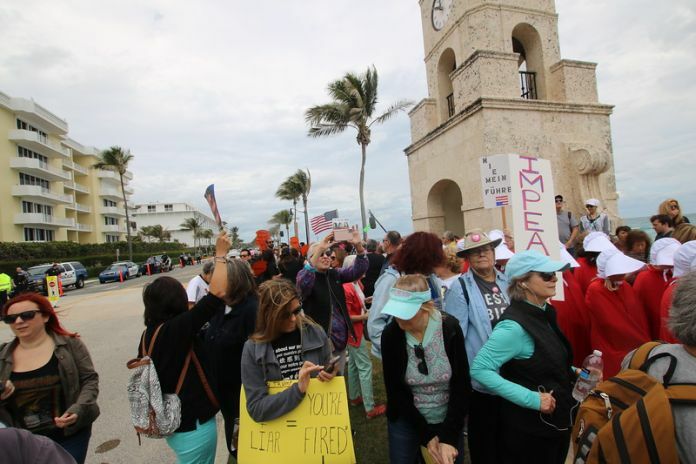 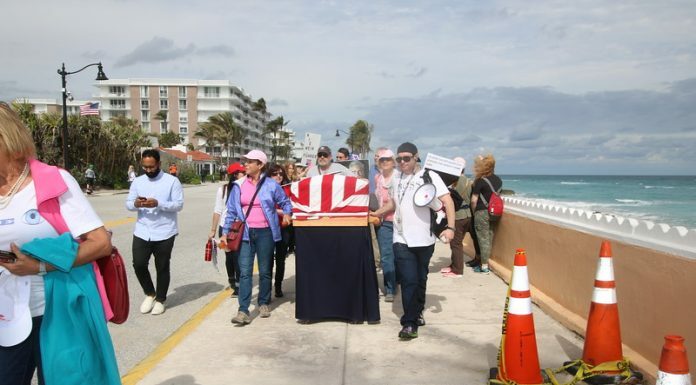 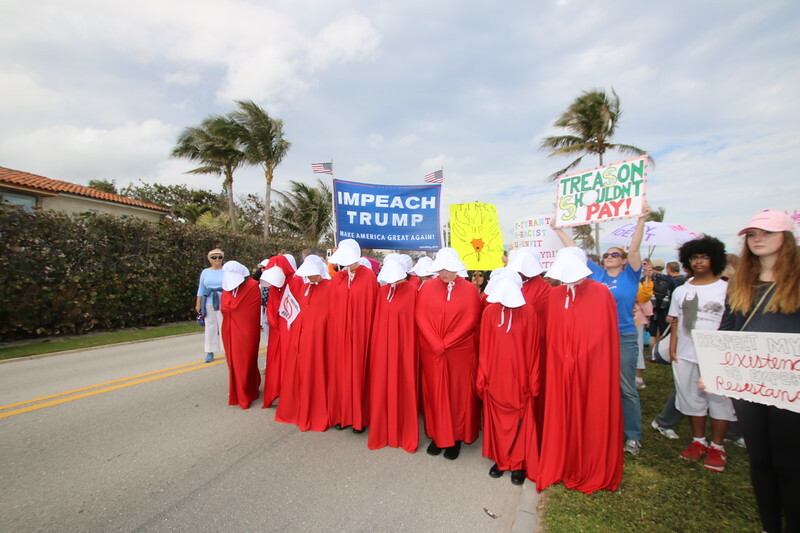 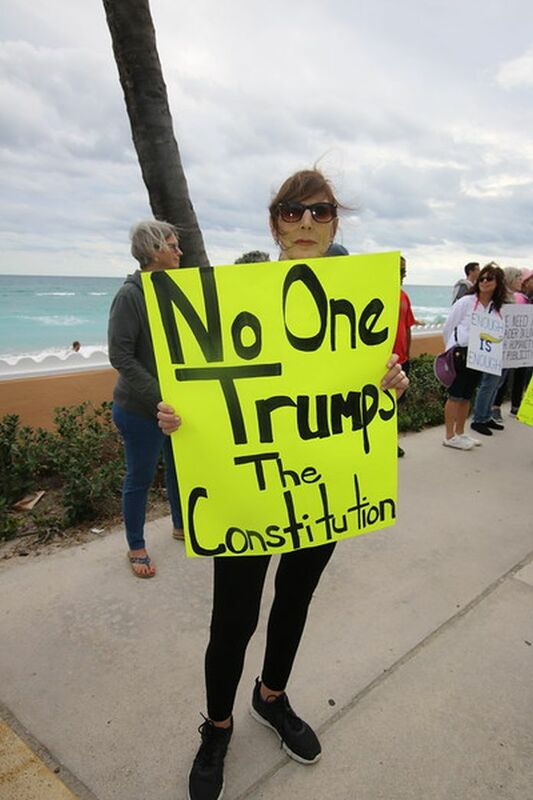 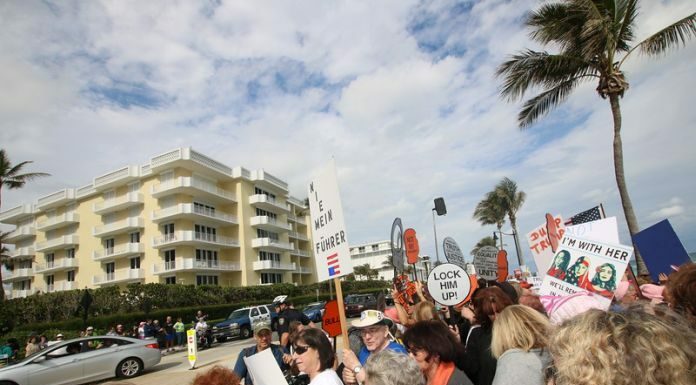 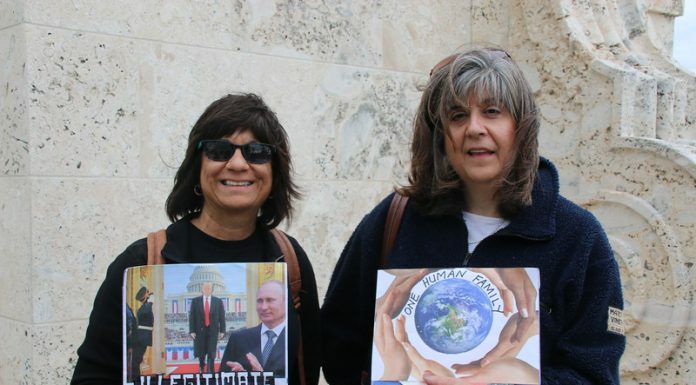 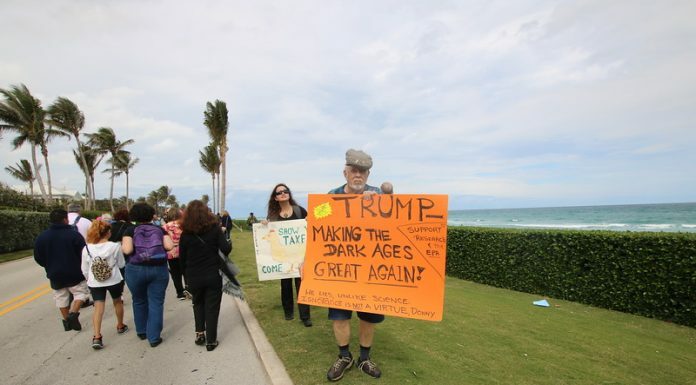 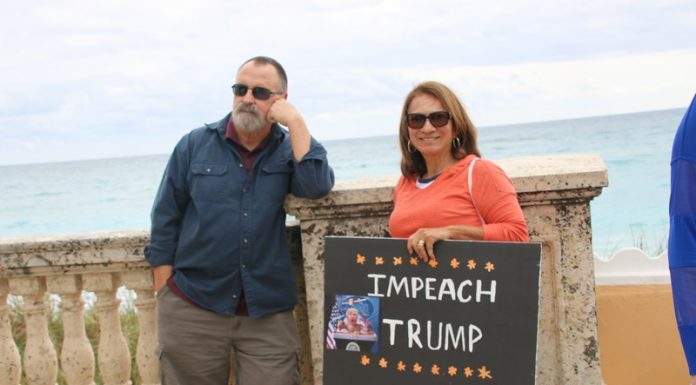 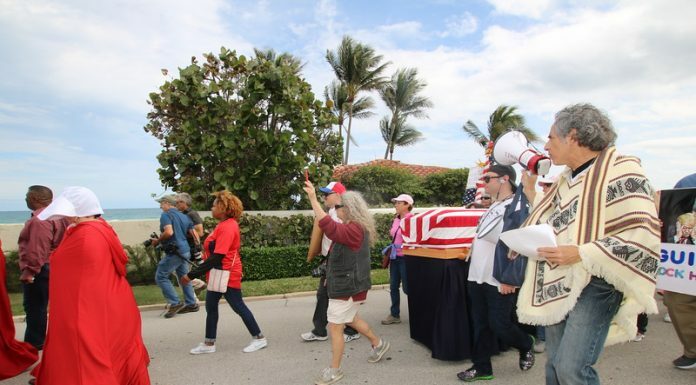 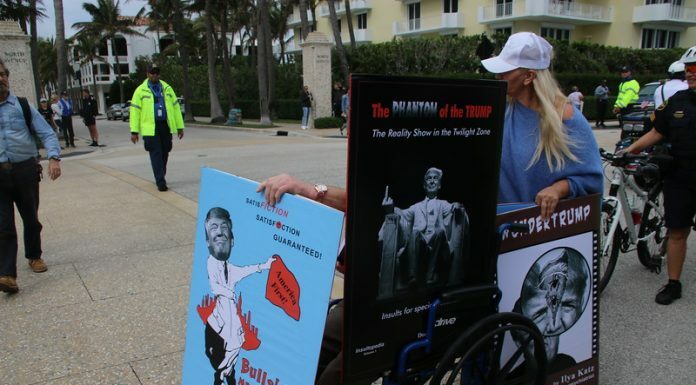 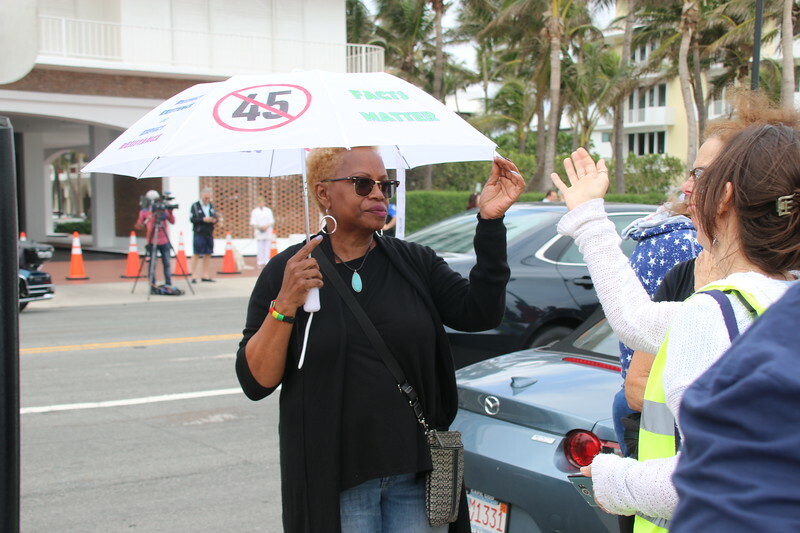 The People’s Inaugural Impeachment March was held on Saturday, January 20, in Palm Beach, beginning at the clock tower on S. Ocean Blvd., and ending at Mar a Lago, and returning to the clock tower. 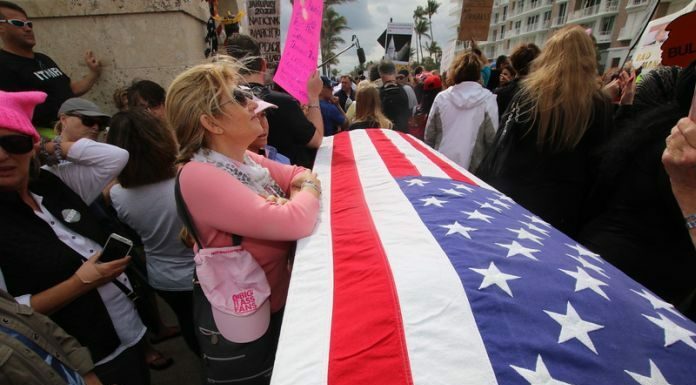 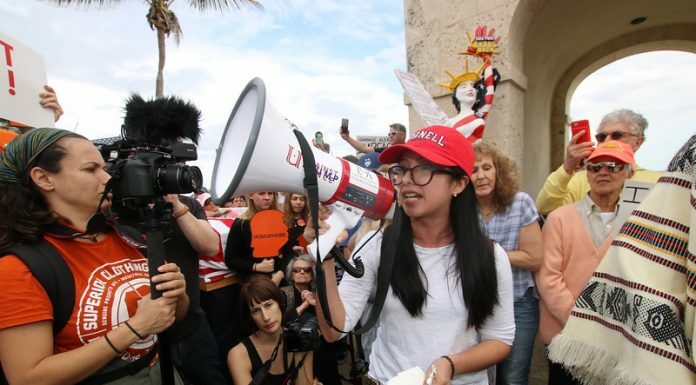 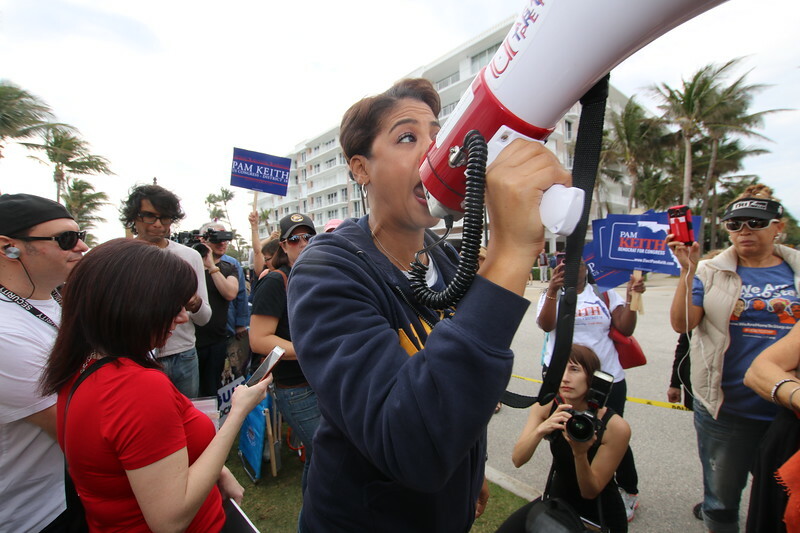 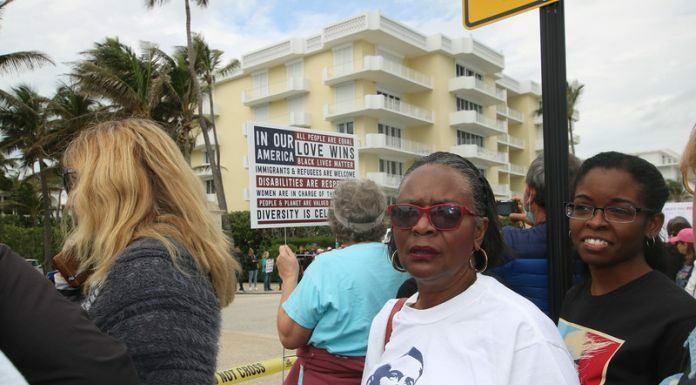 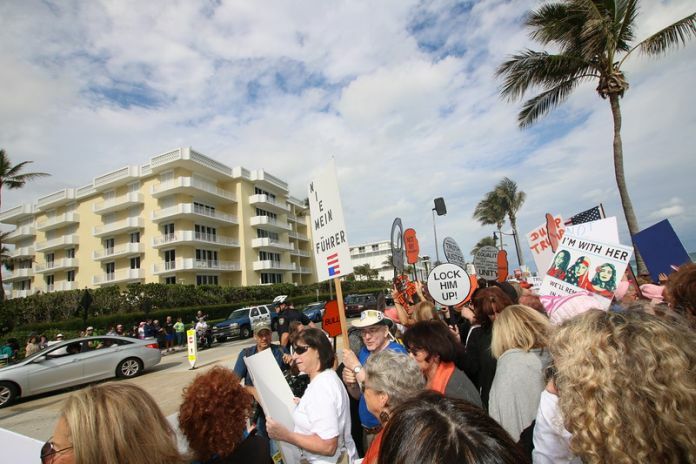 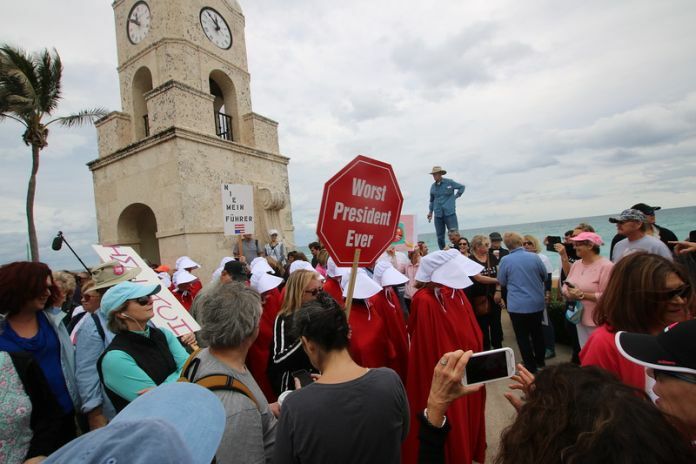 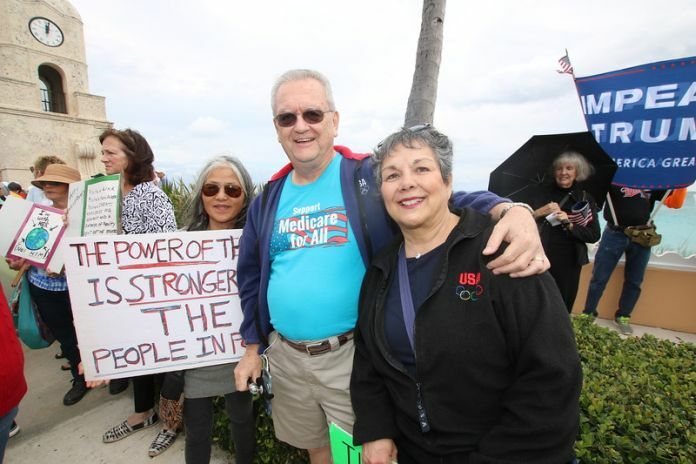 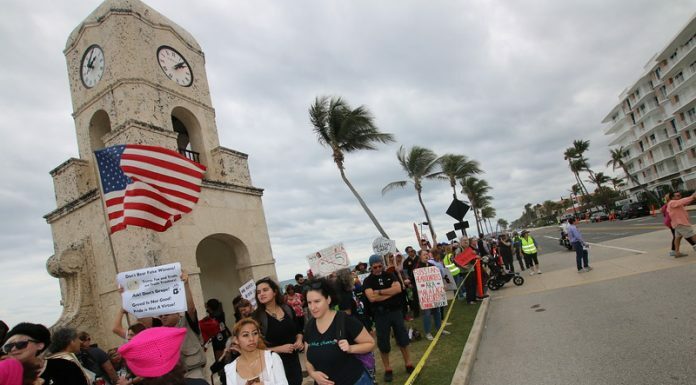 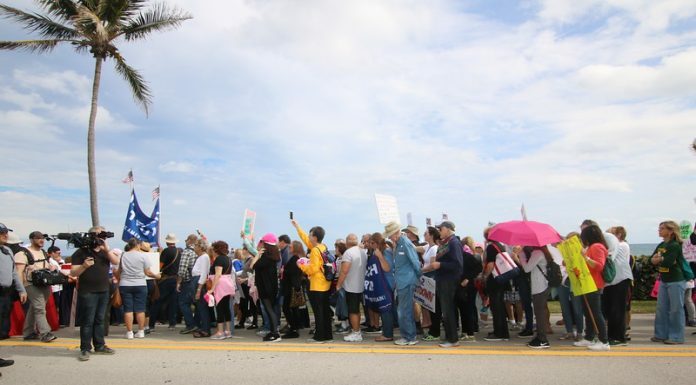 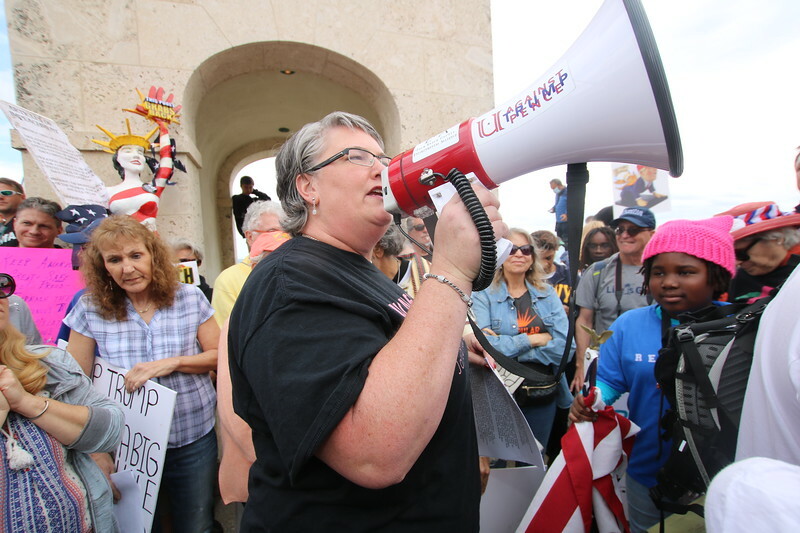 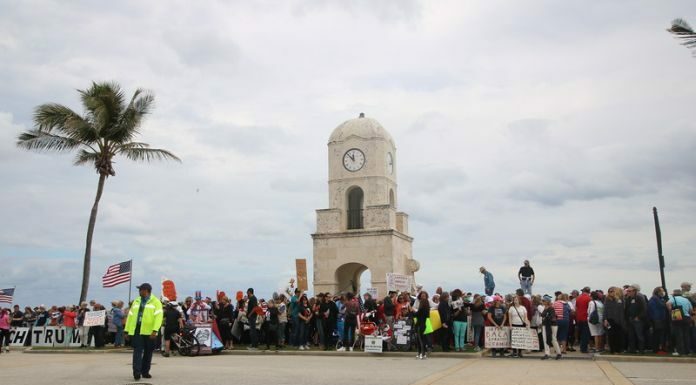 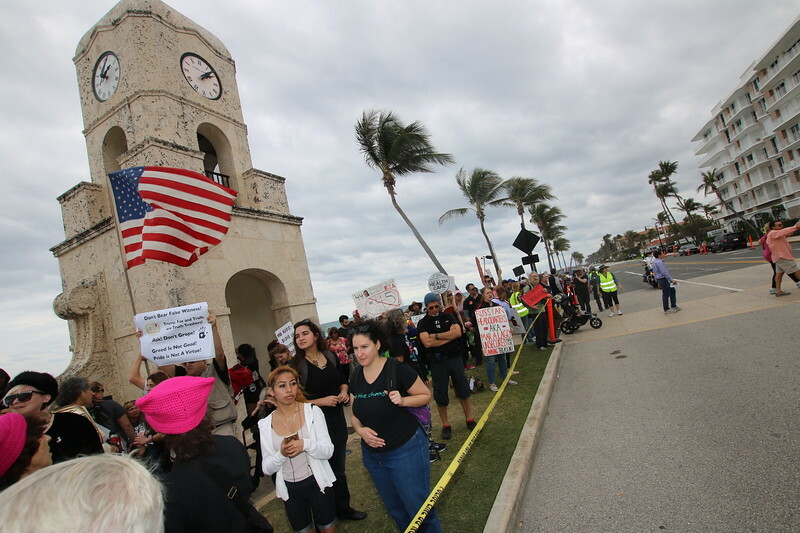 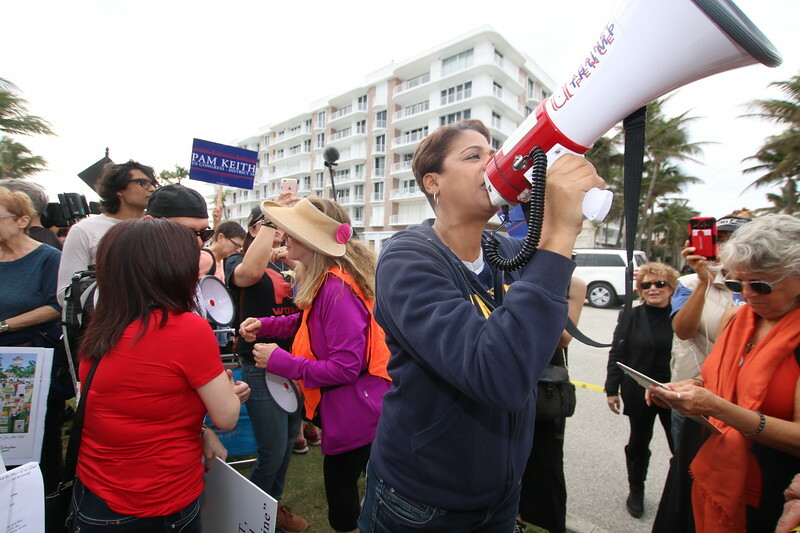 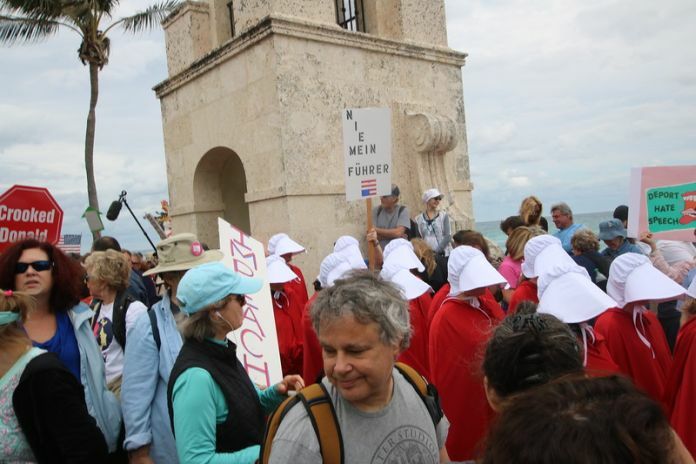 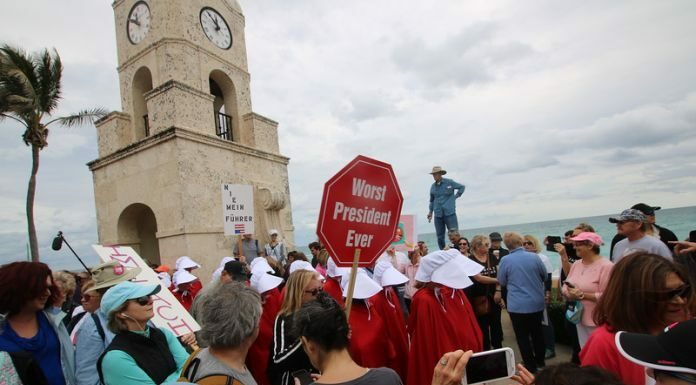 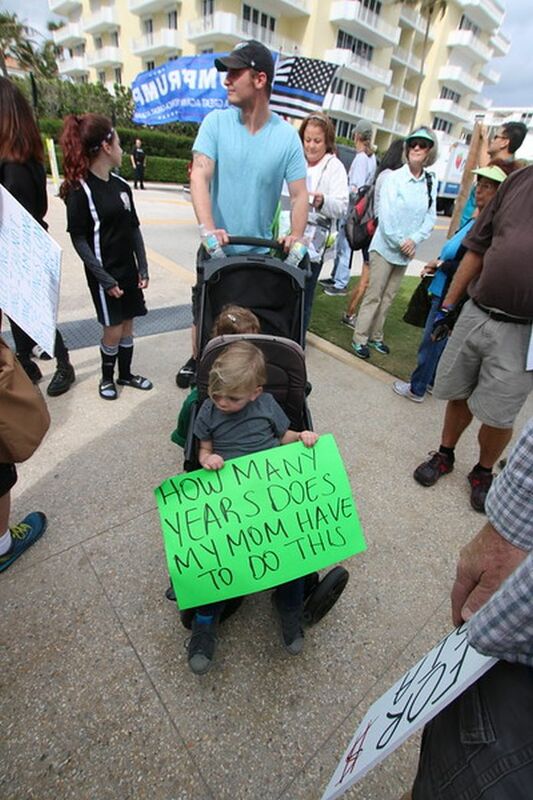 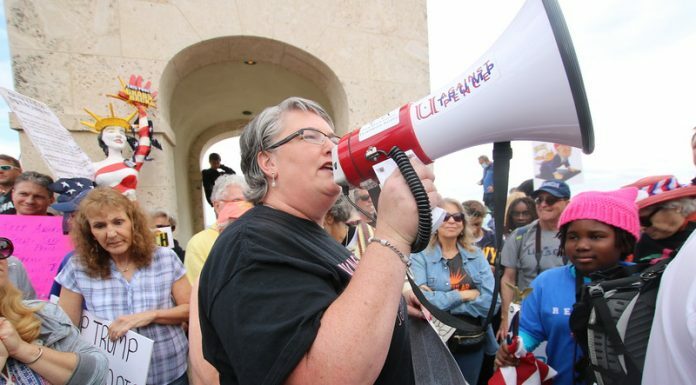 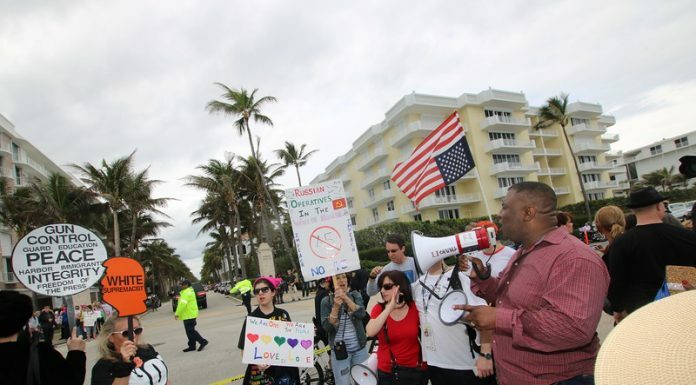 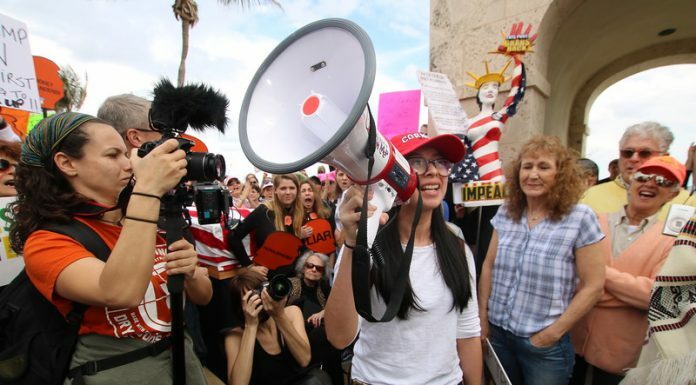 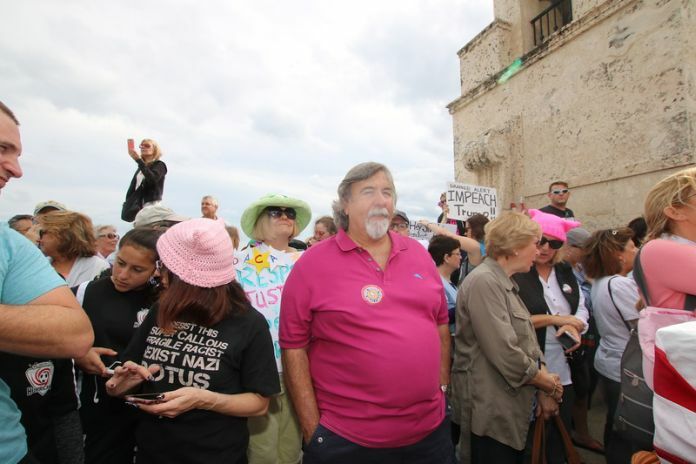 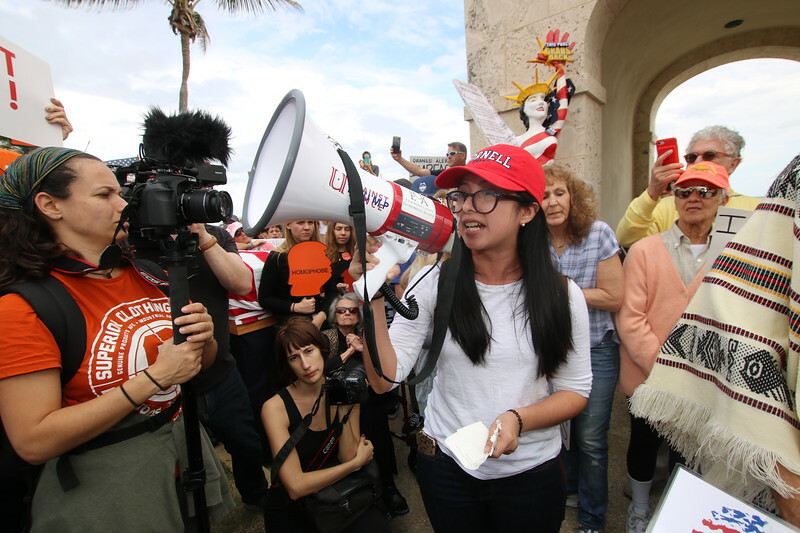 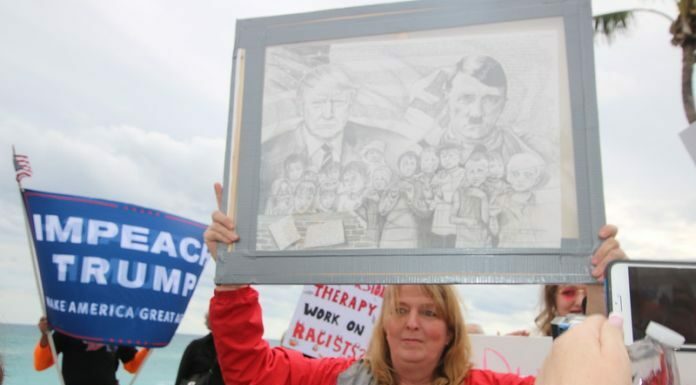 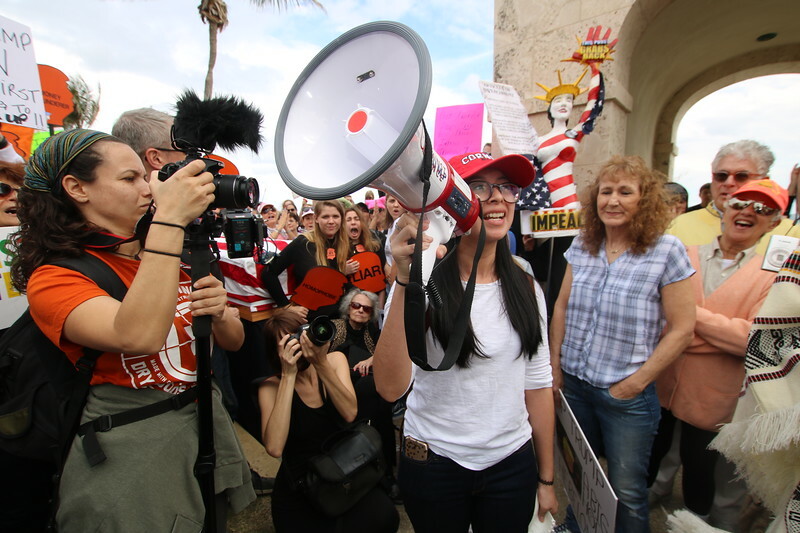 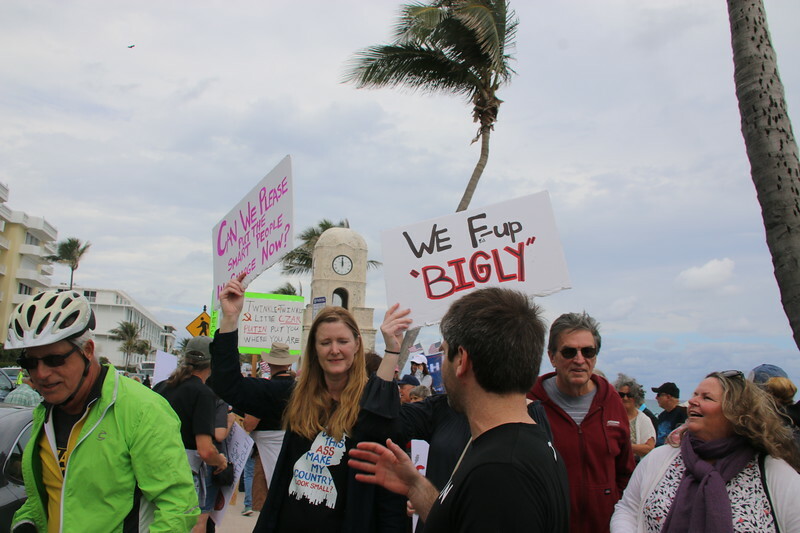 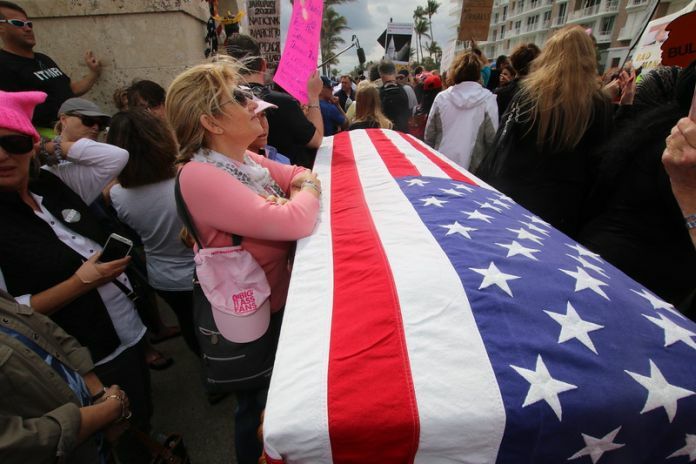 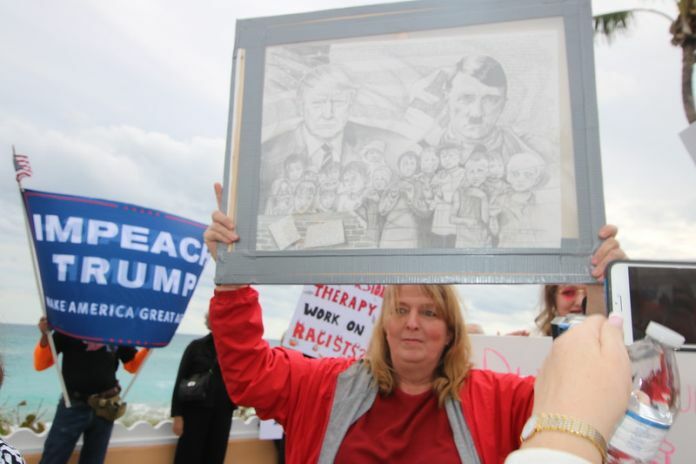 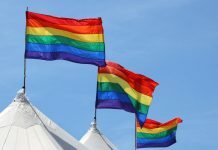 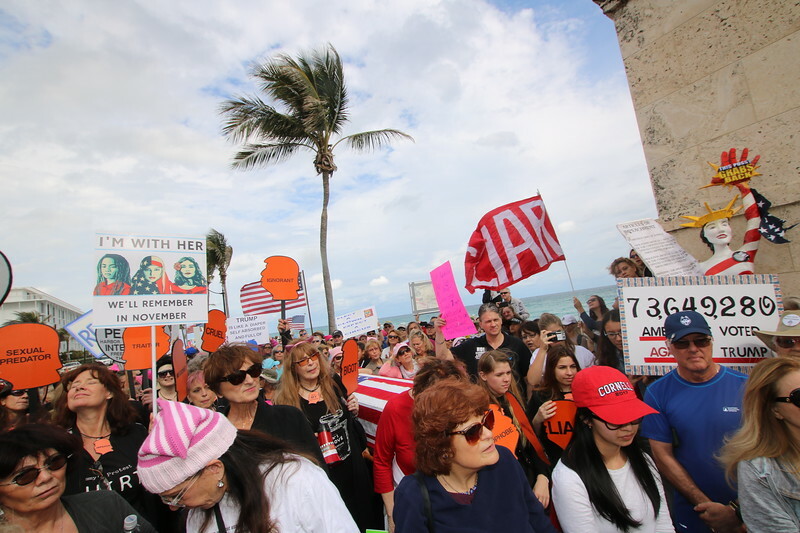 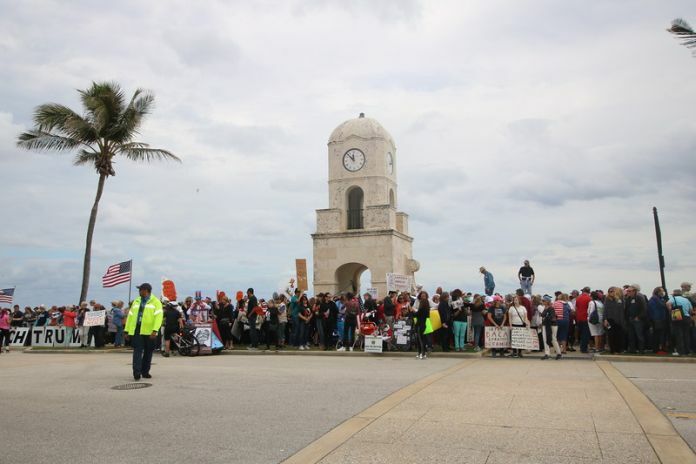 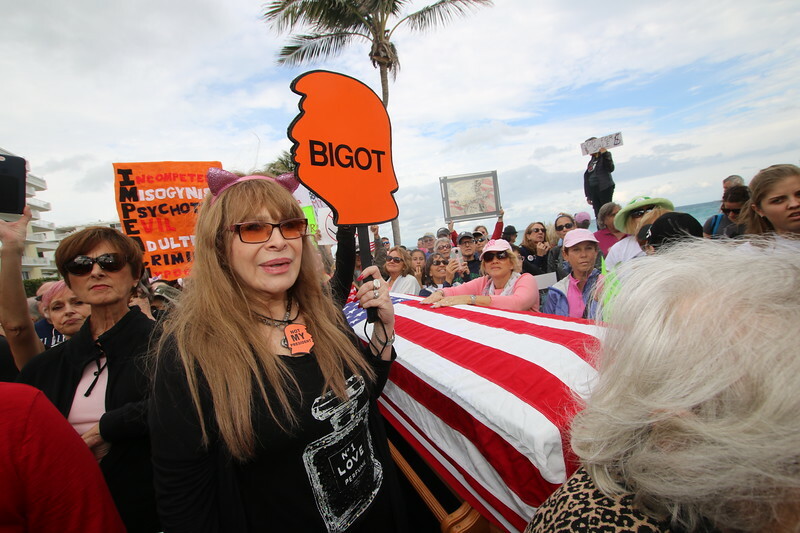 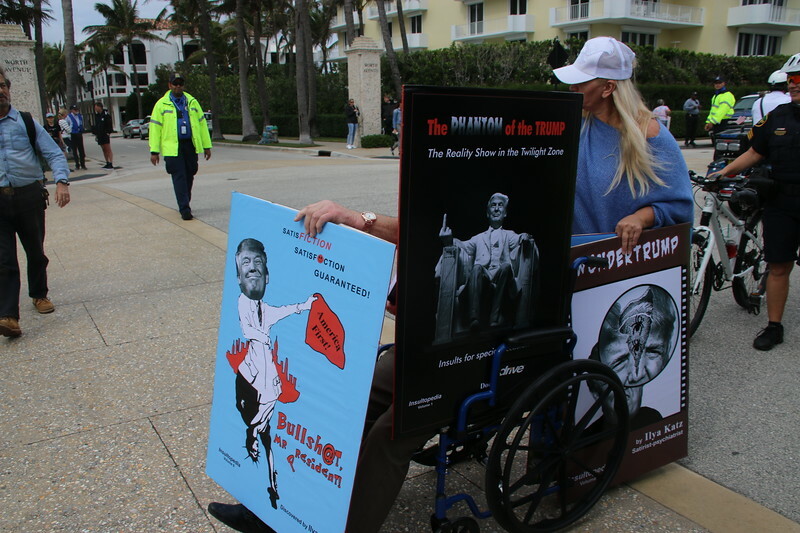 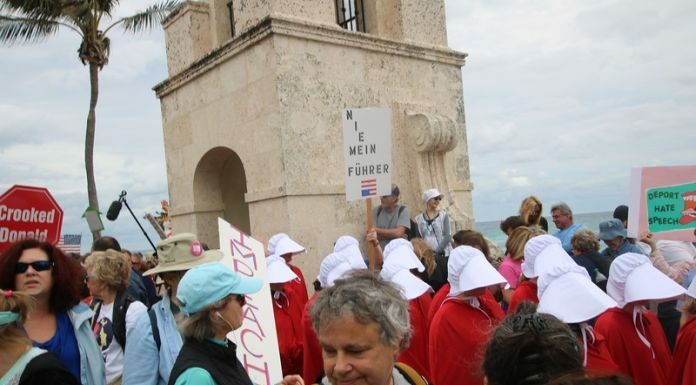 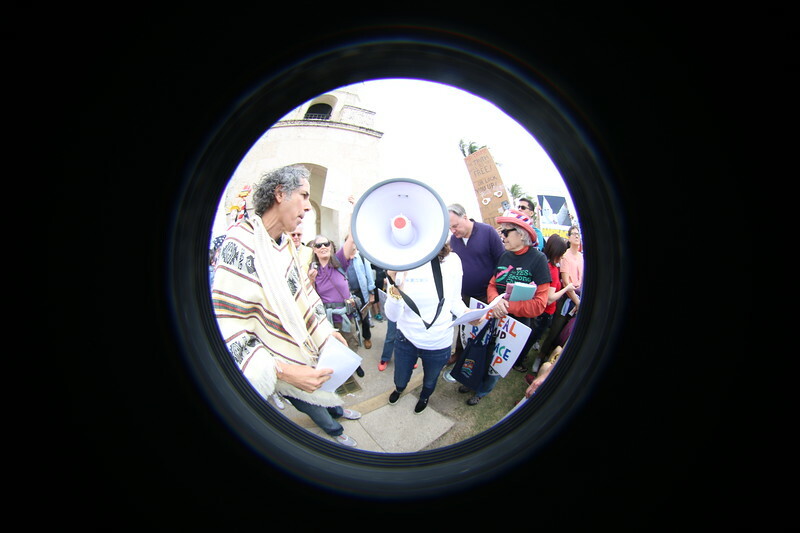 Hundreds of people marched to Mar a Lago, but the speeches took place at the clock tower. 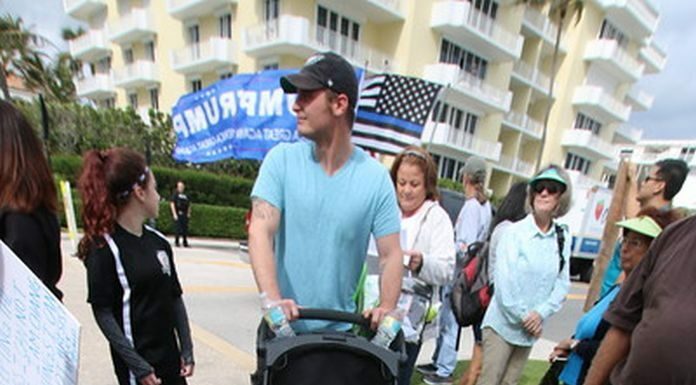 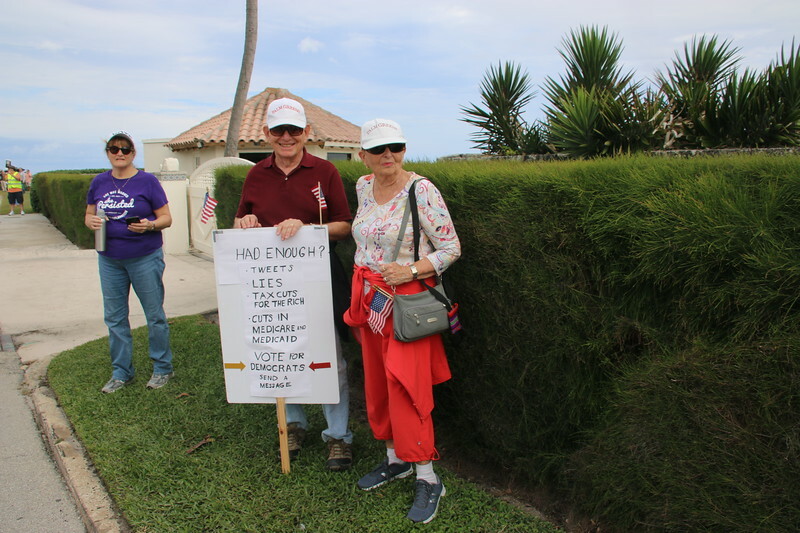 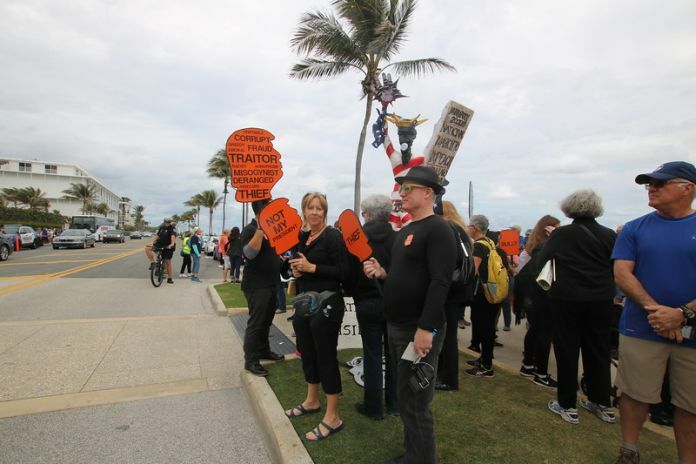 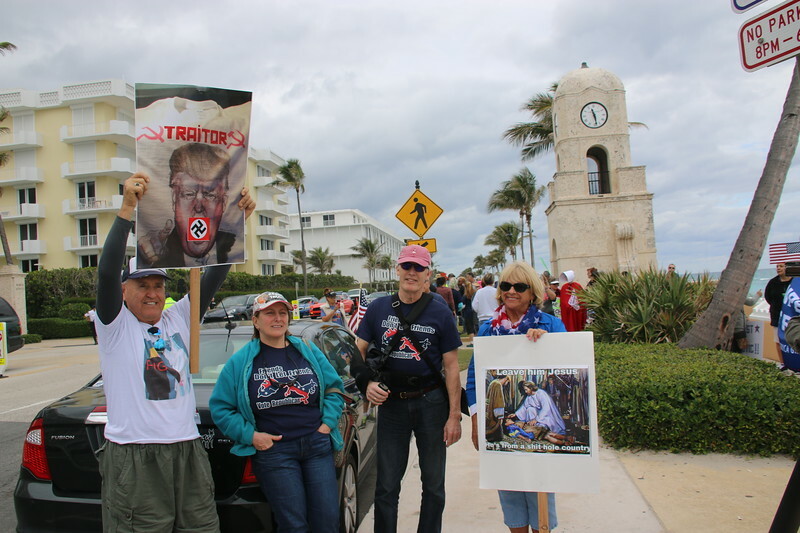 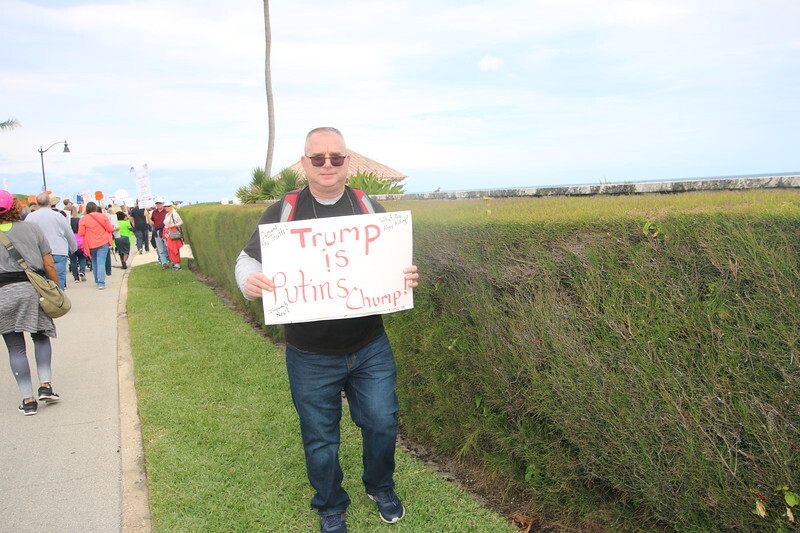 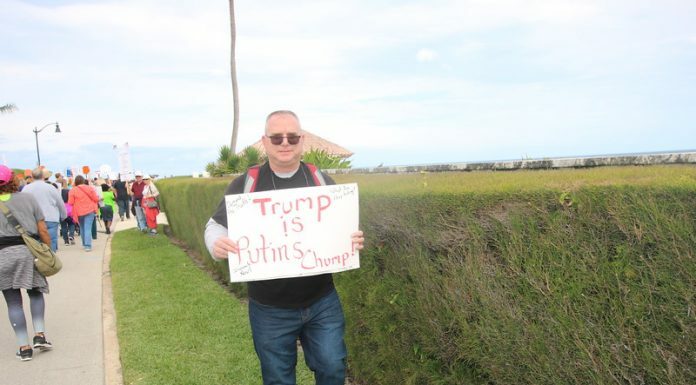 Trump supporters also visited the march along Ocean Blvd, in several vehicles with Trump banners. 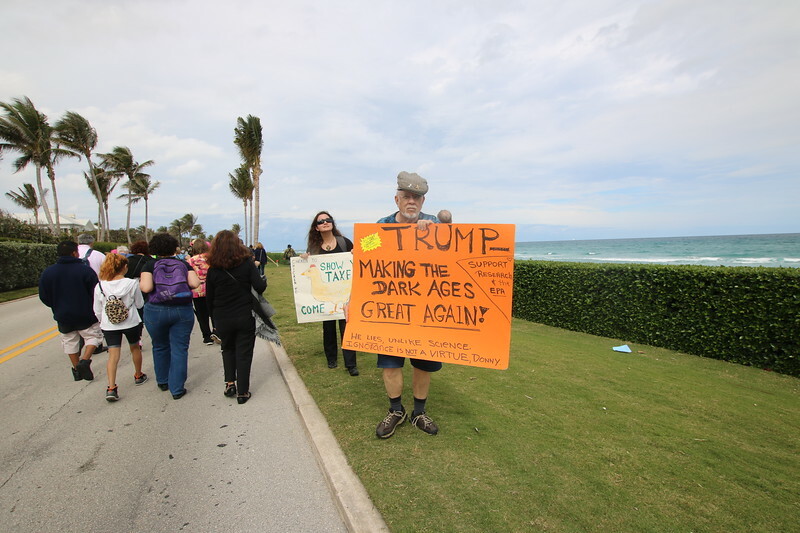 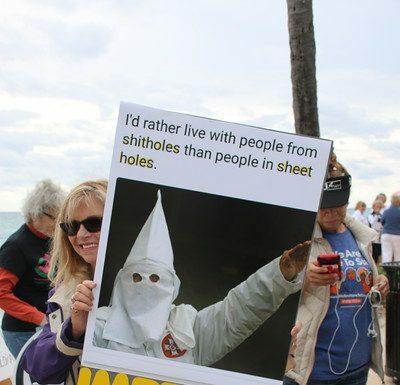 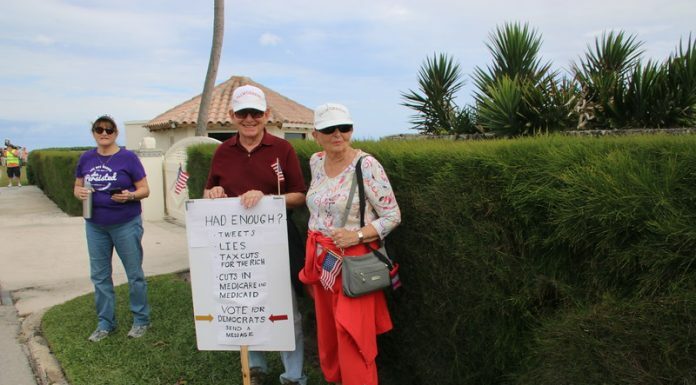 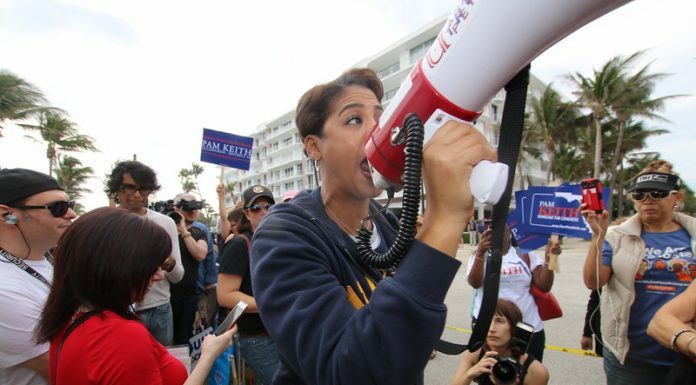 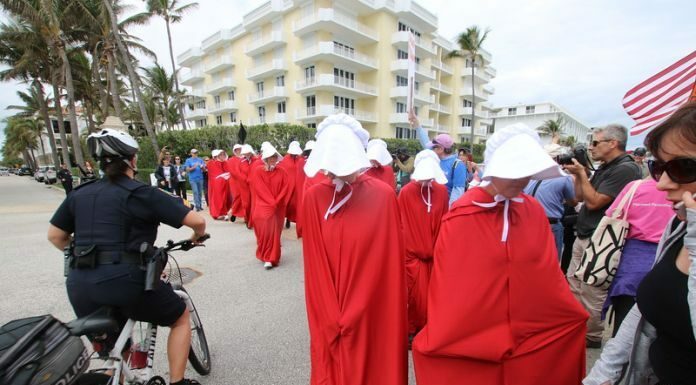 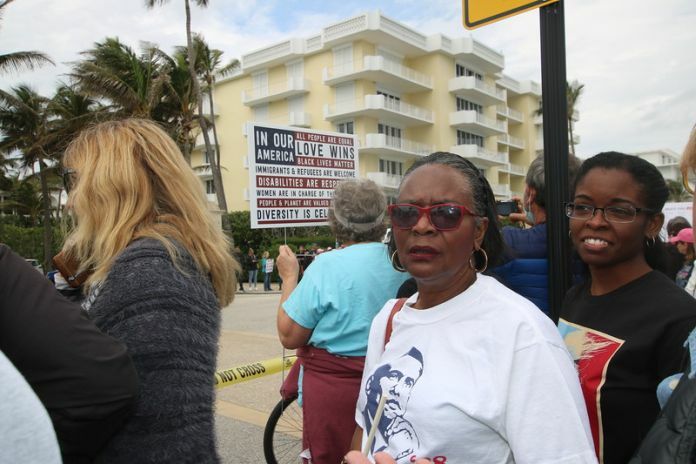 Trump supporters took part at events in West Palm Beach and also Palm Beach later that day.